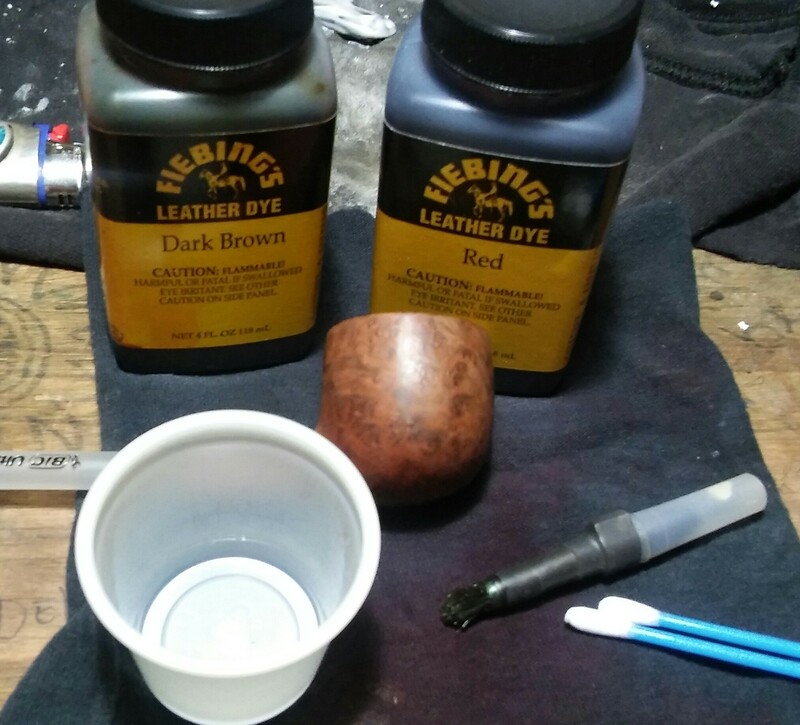 Recently I received a question on my supplies. 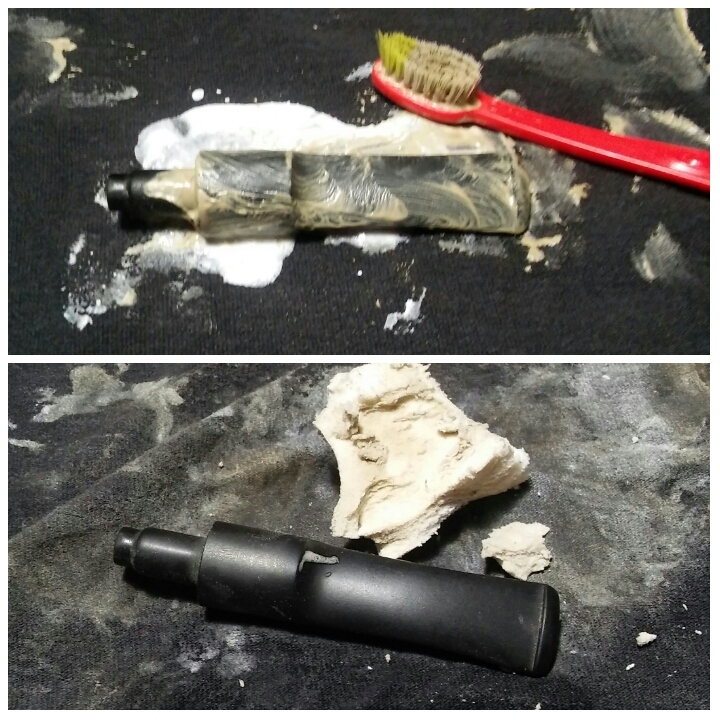 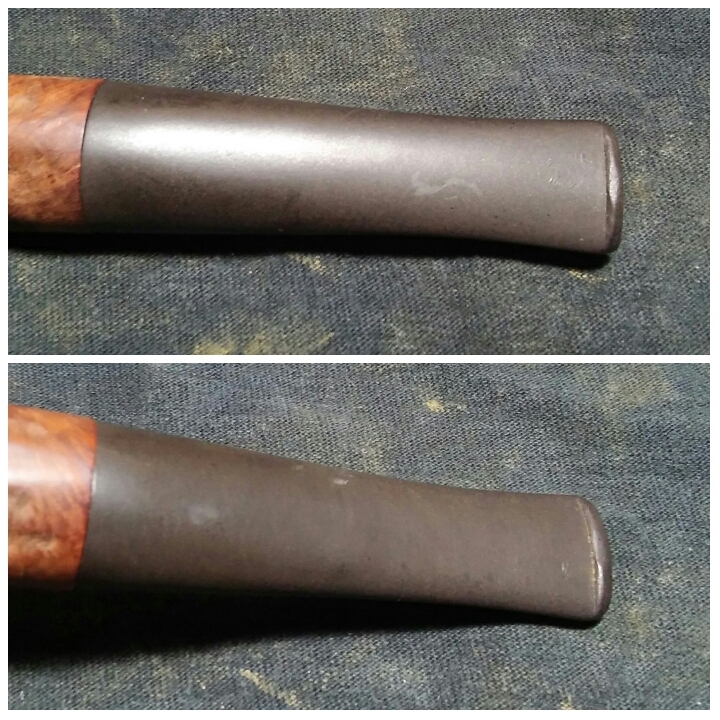 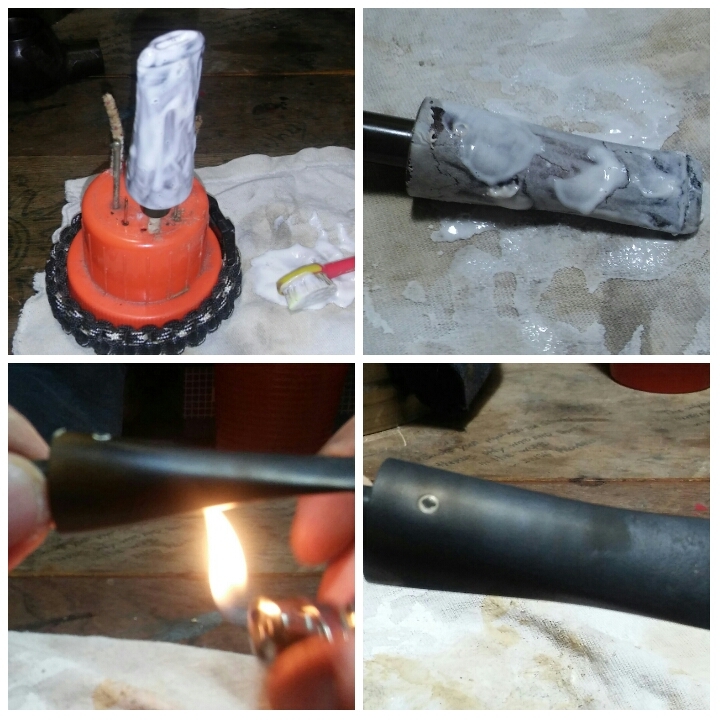 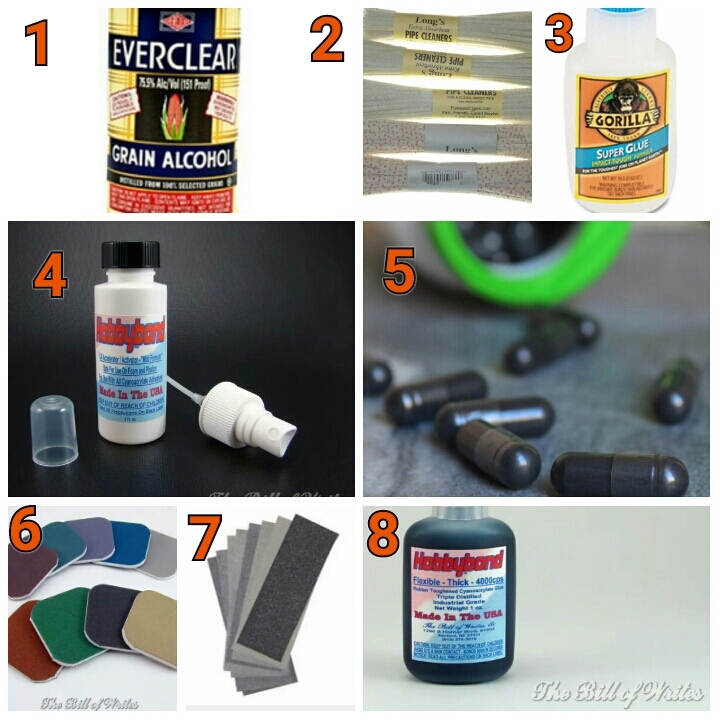 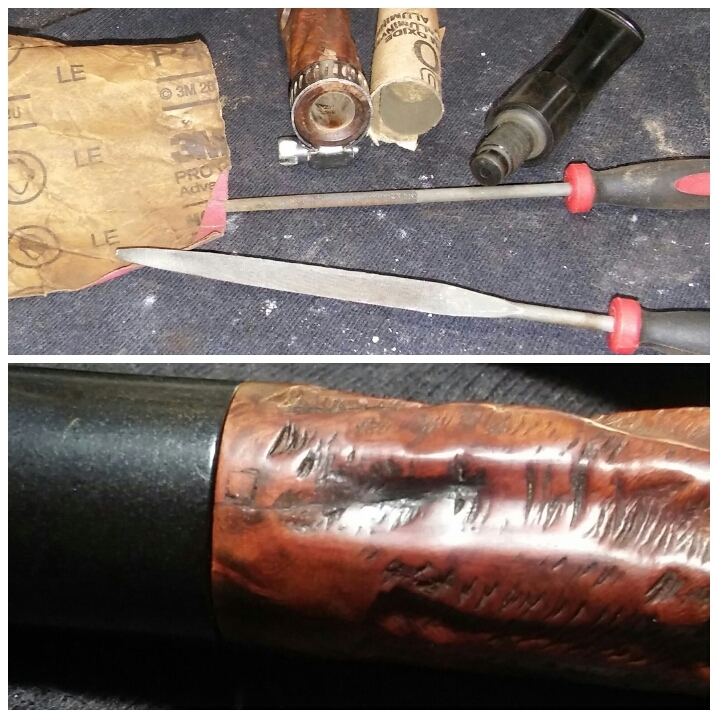 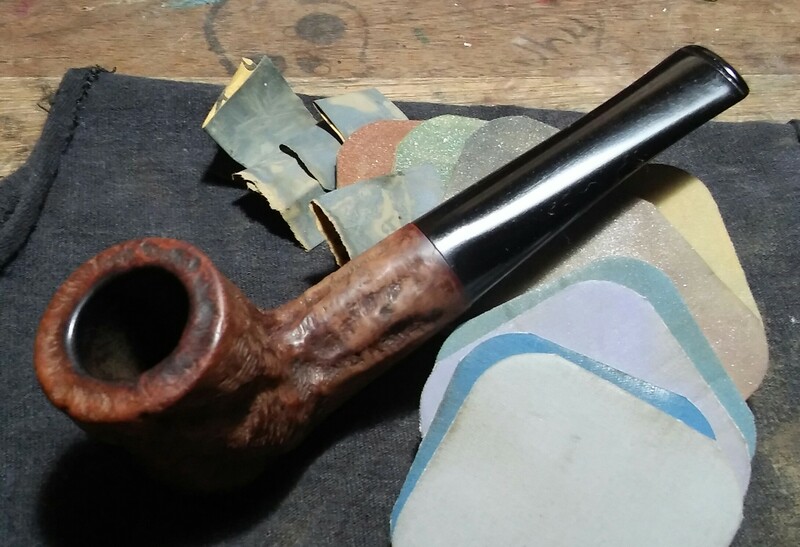 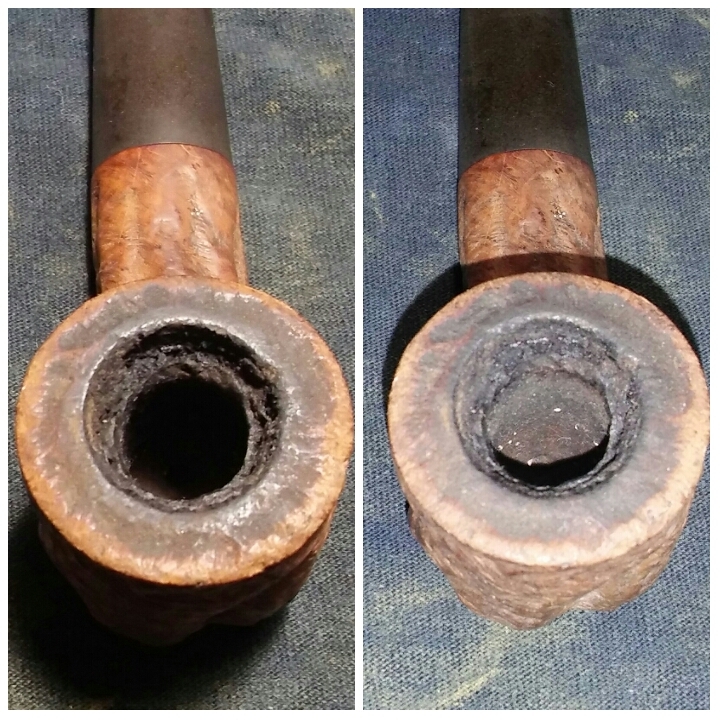 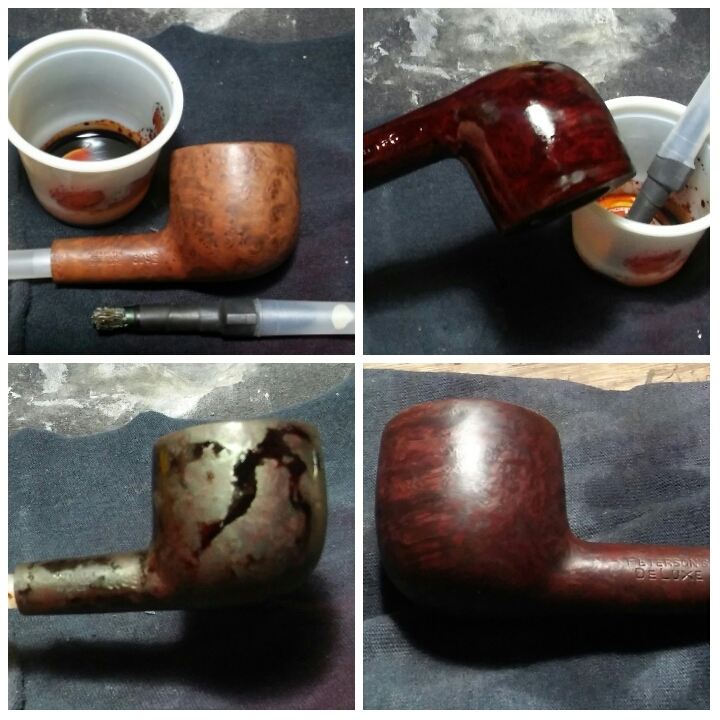 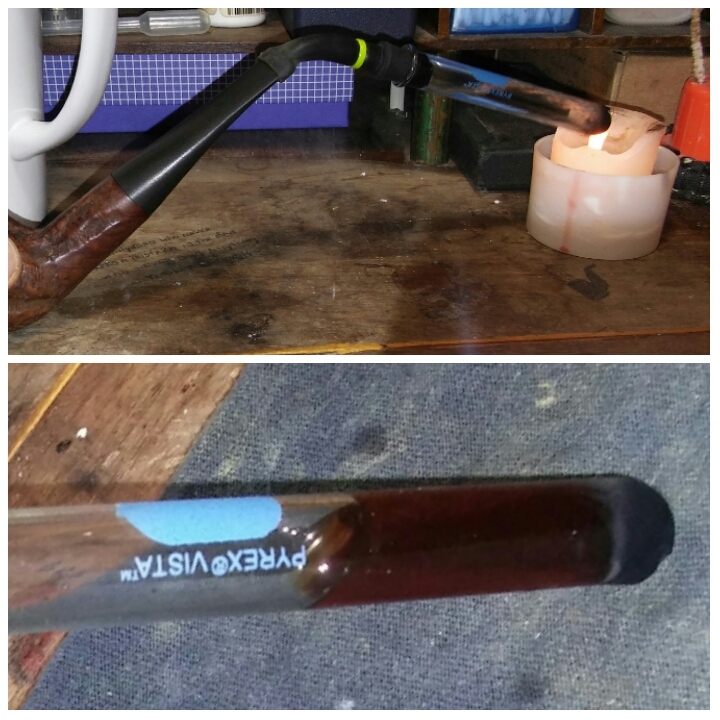 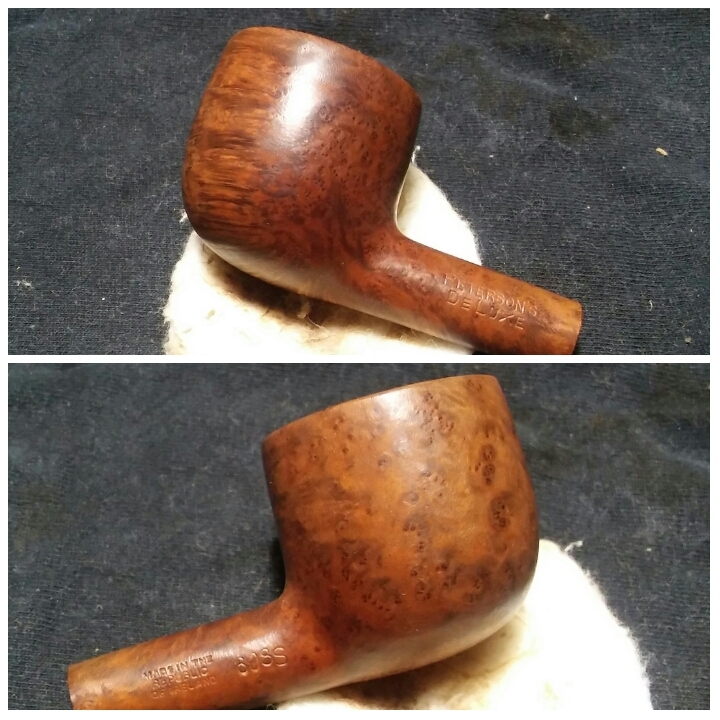 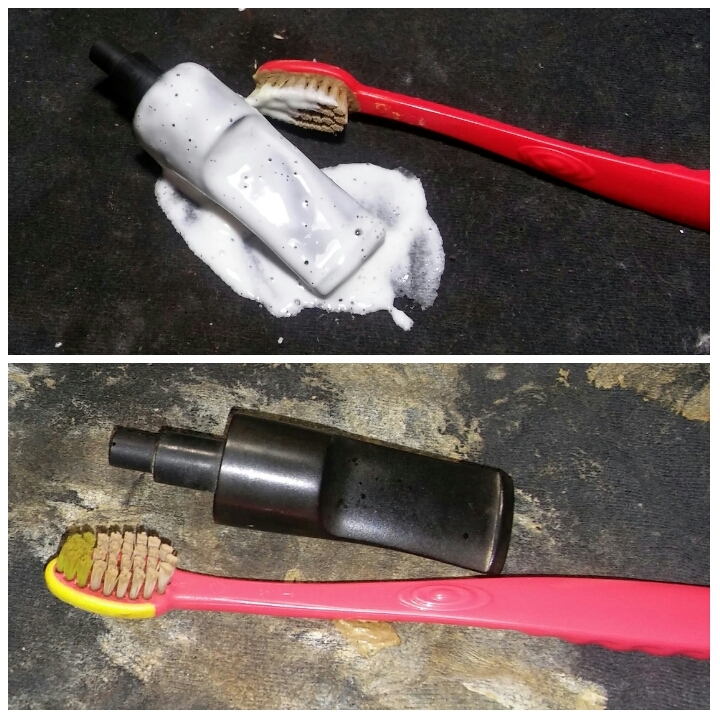 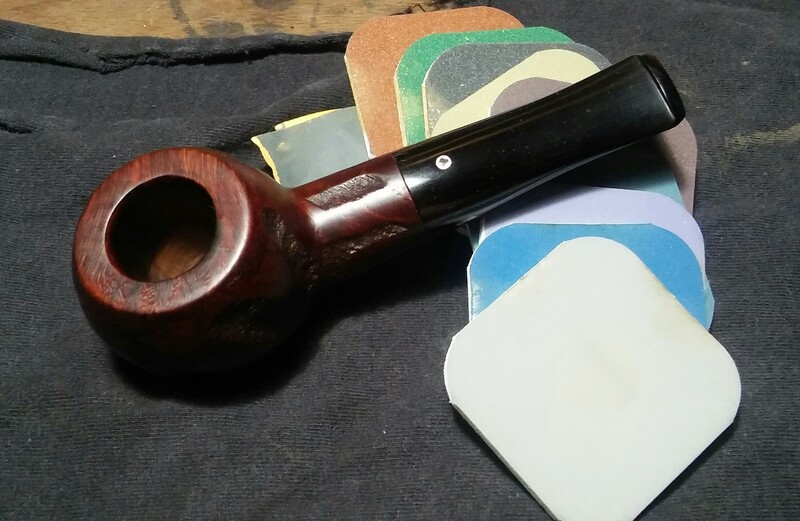 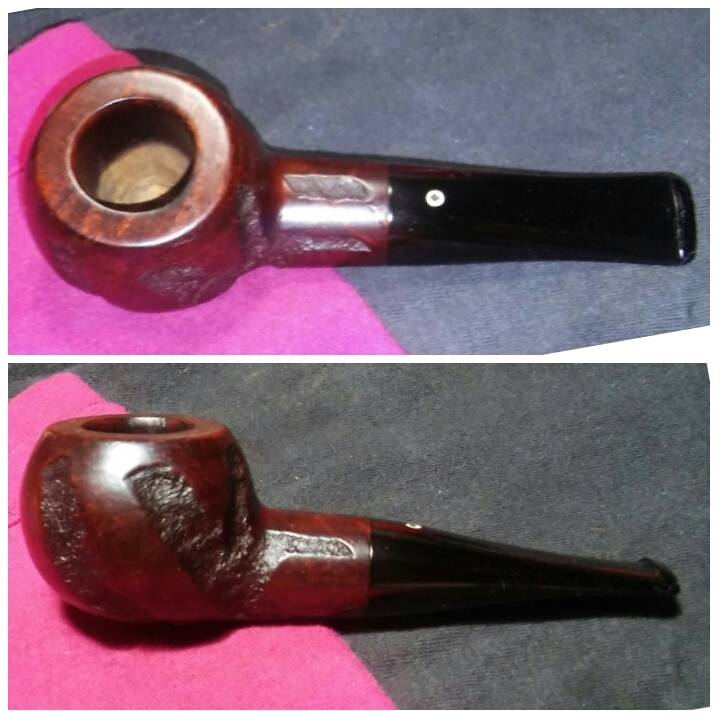 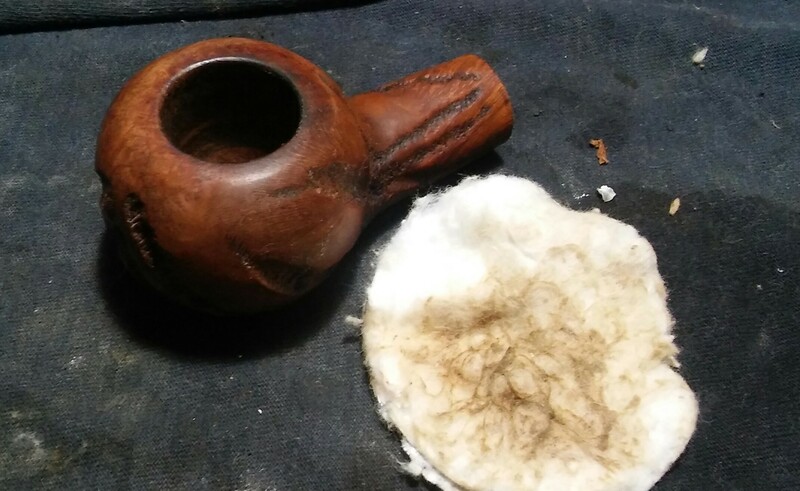 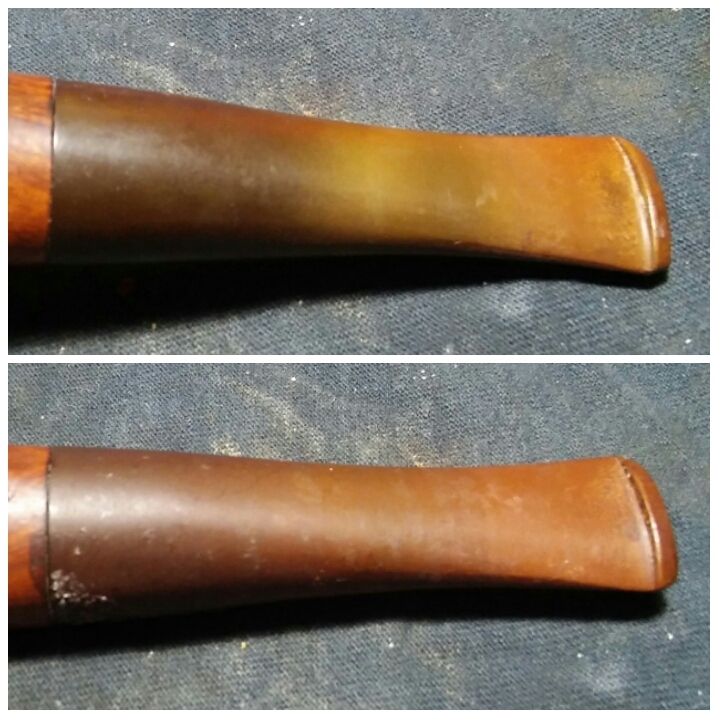 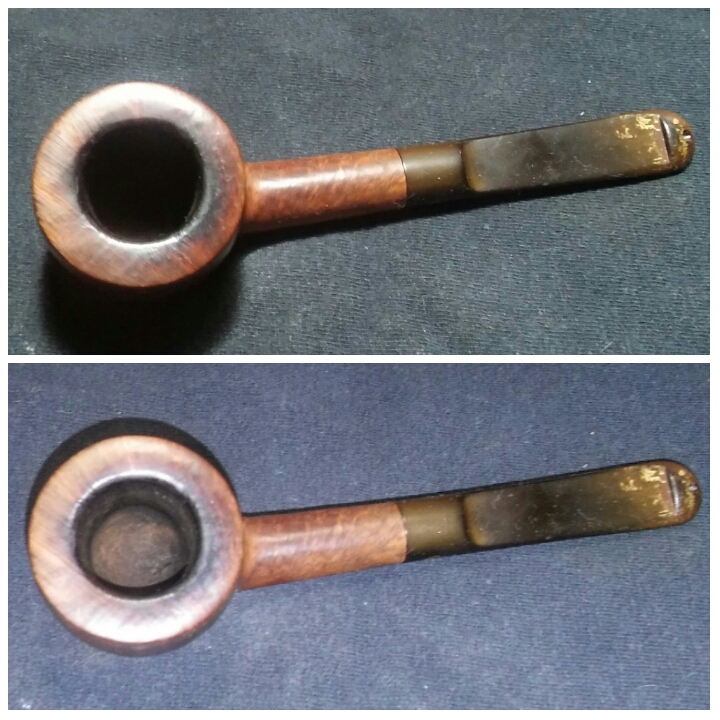 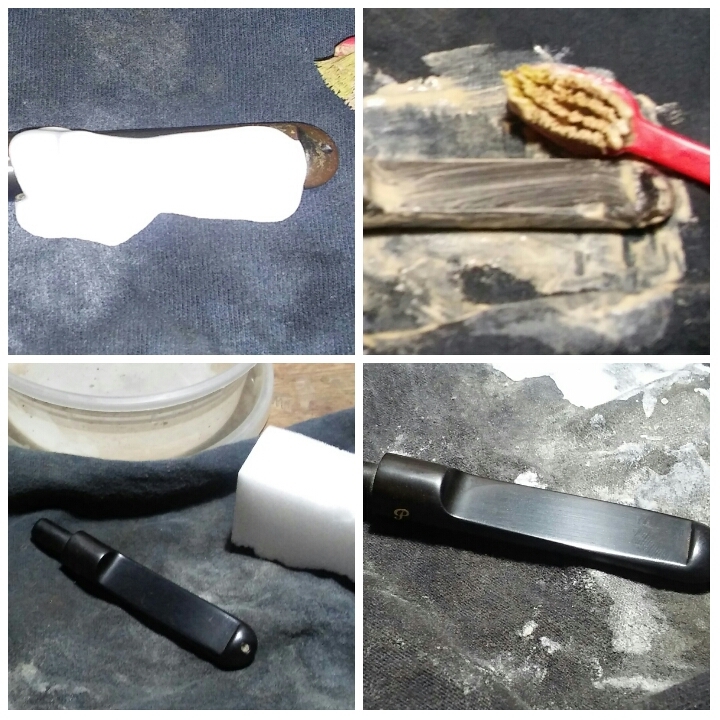 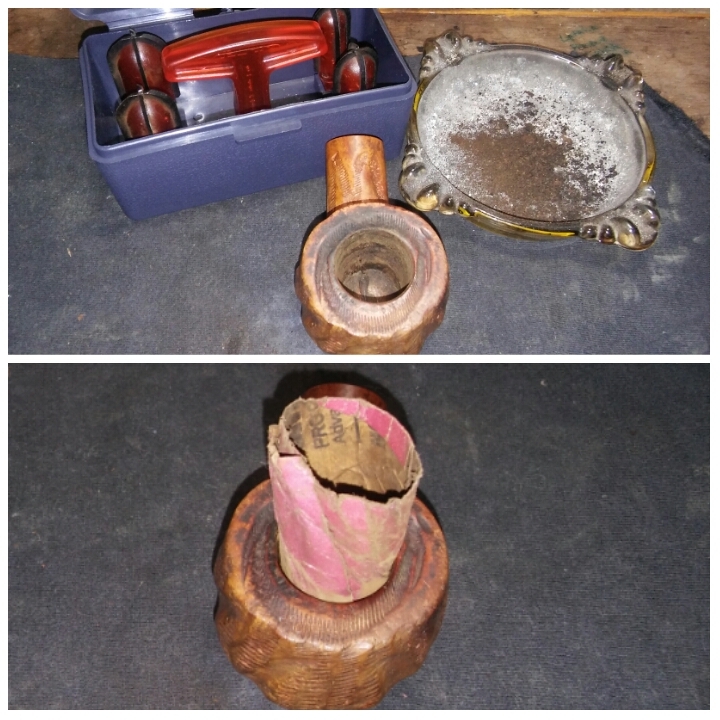 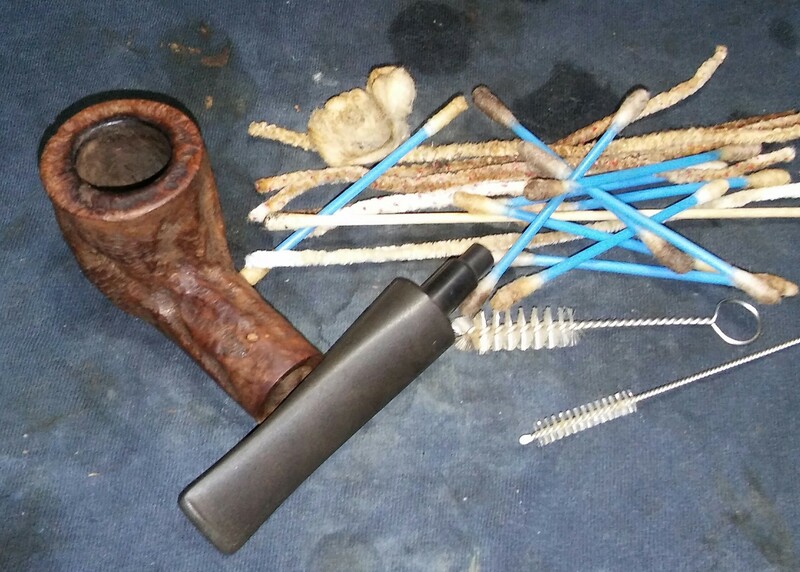 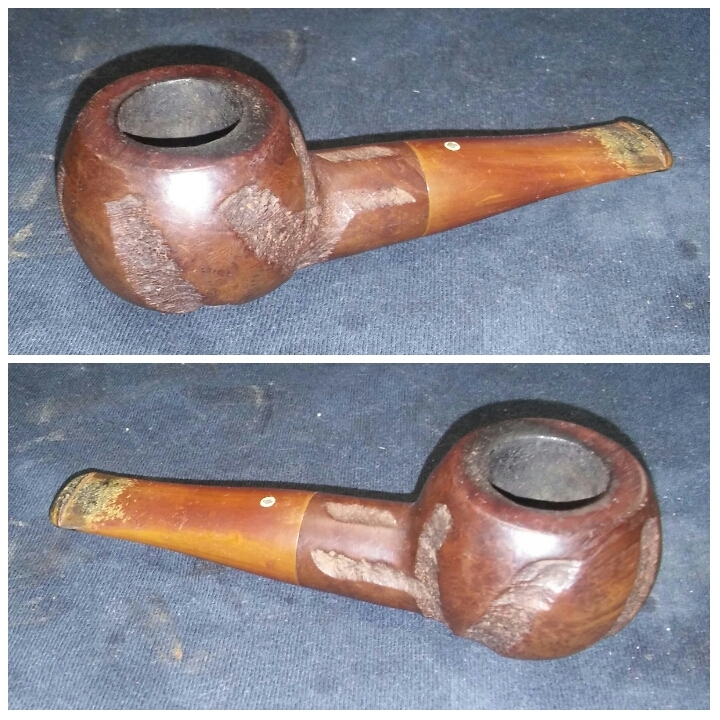 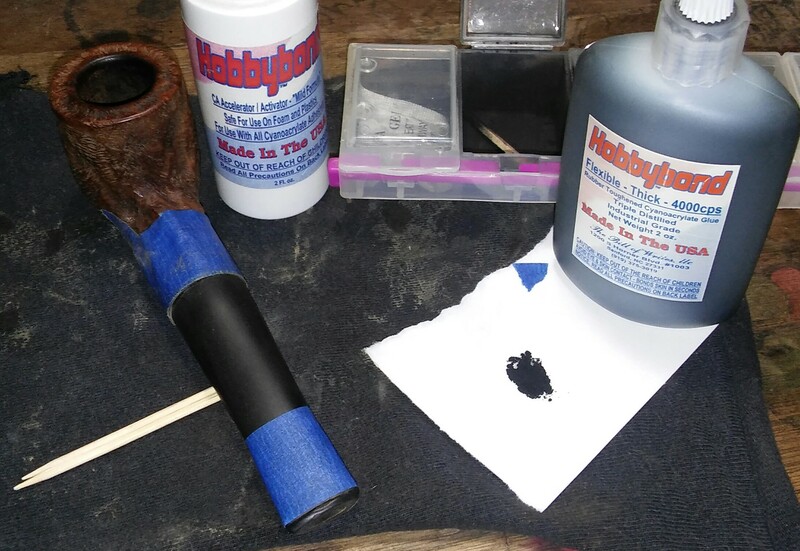 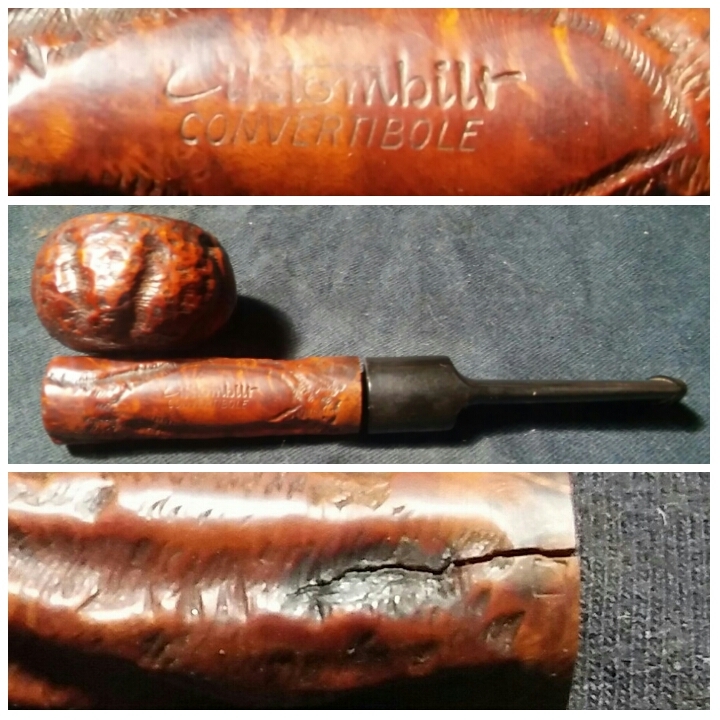 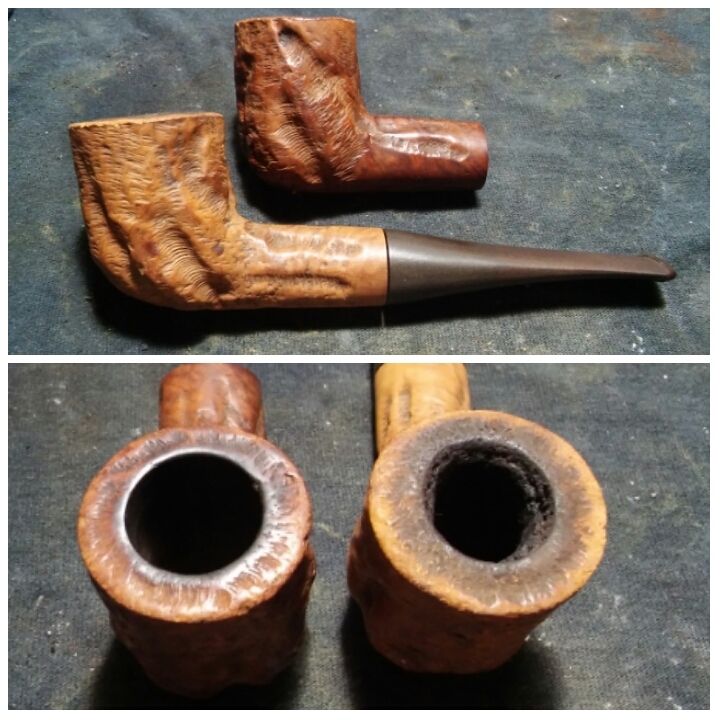 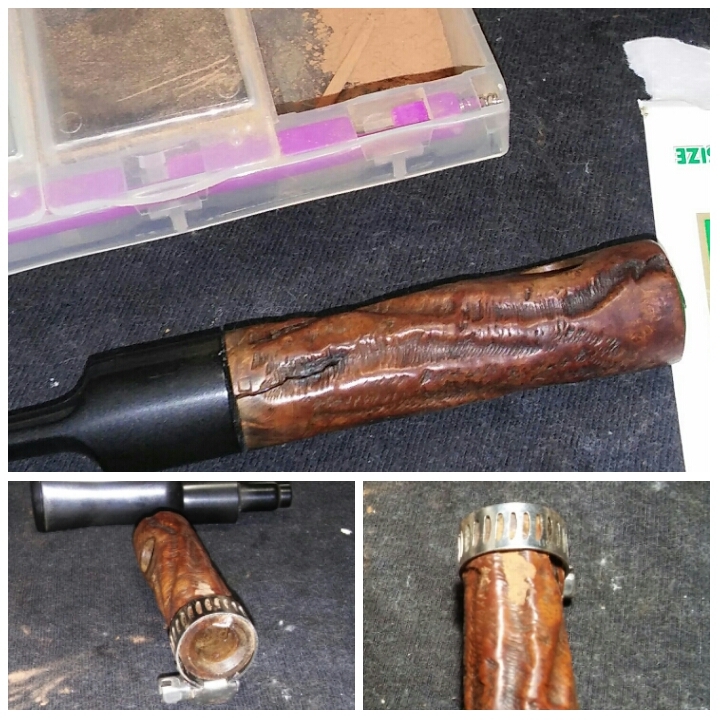 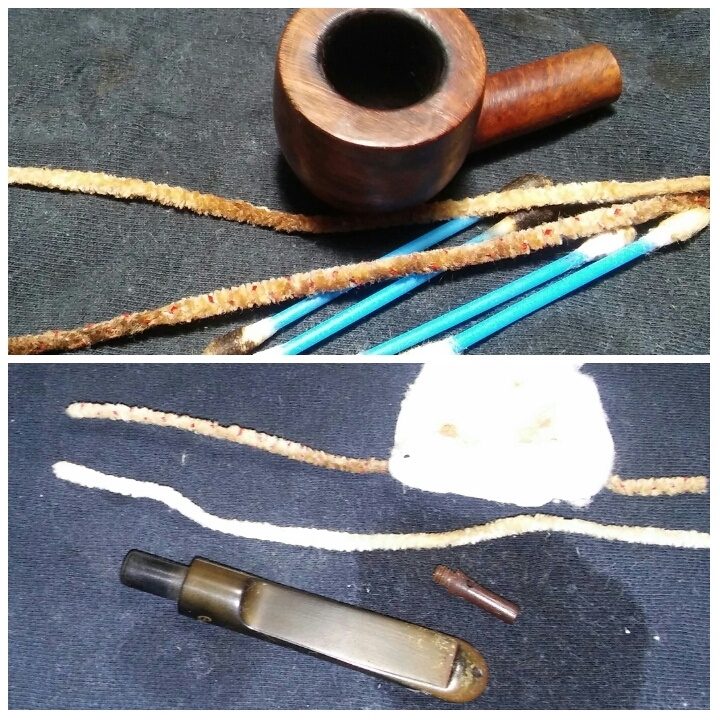 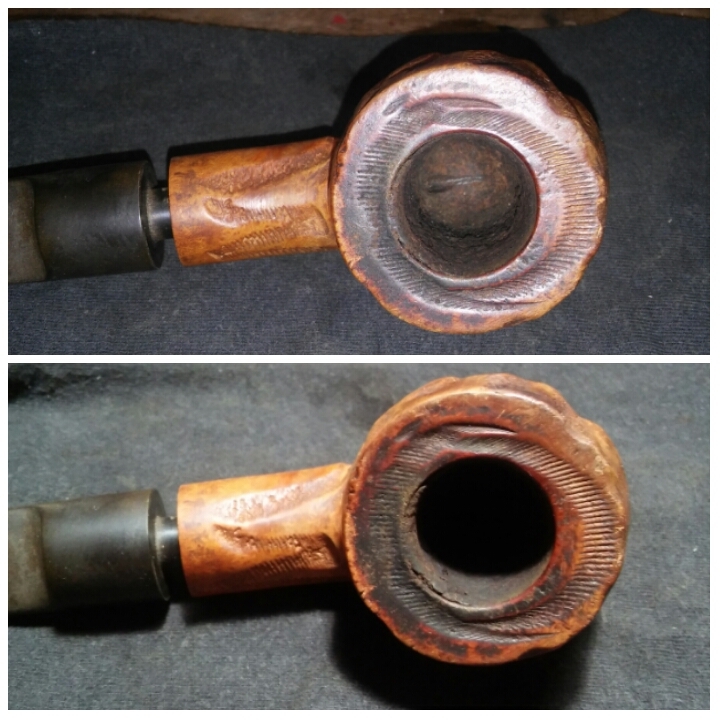 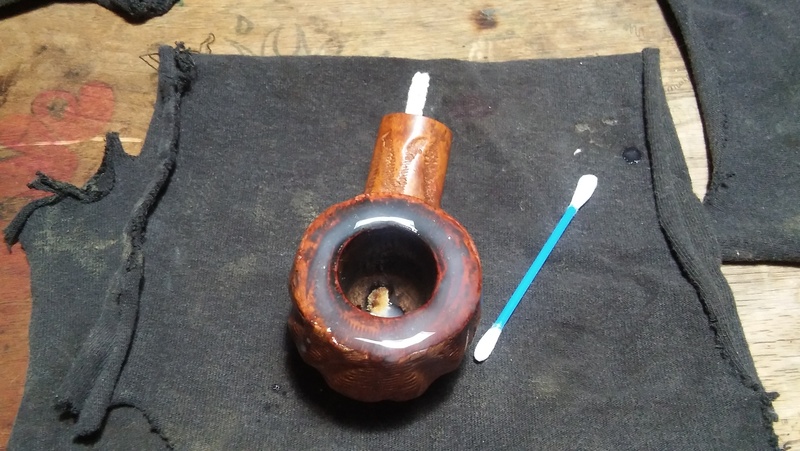 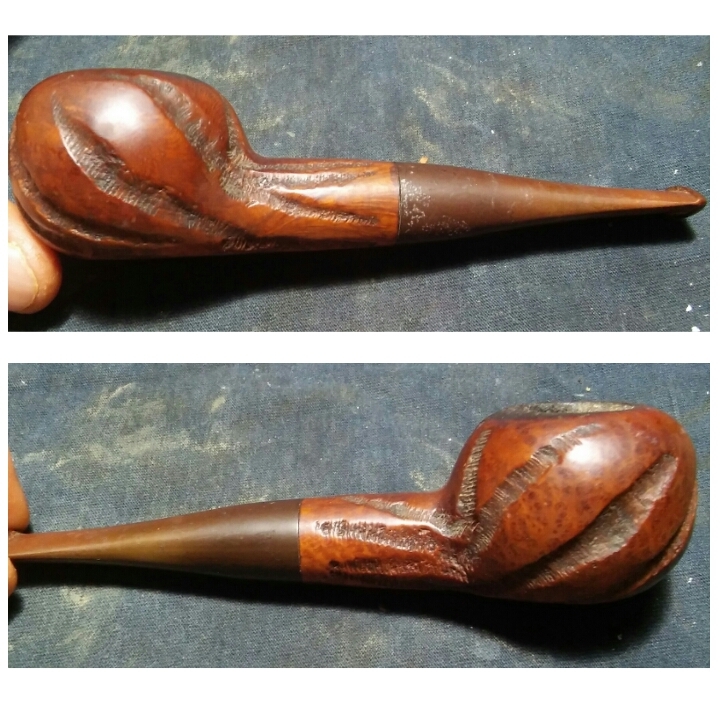 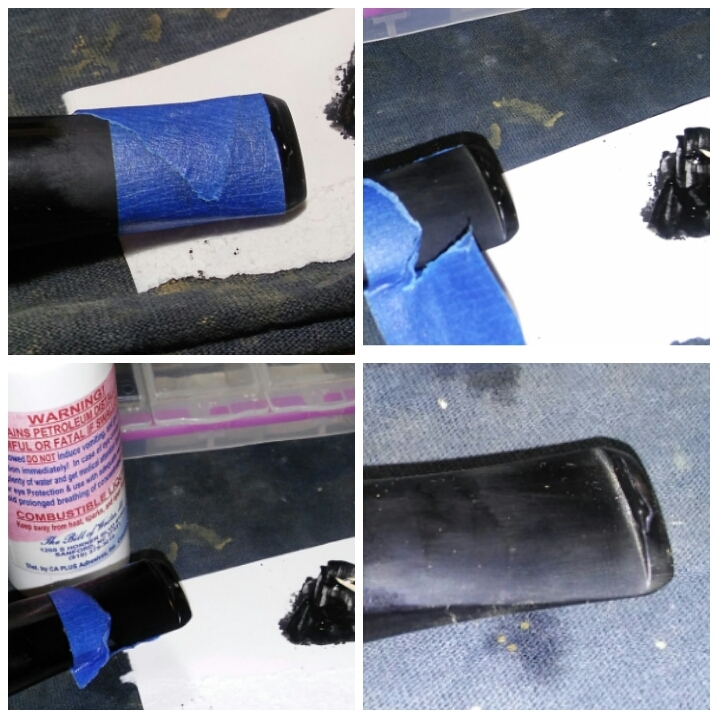 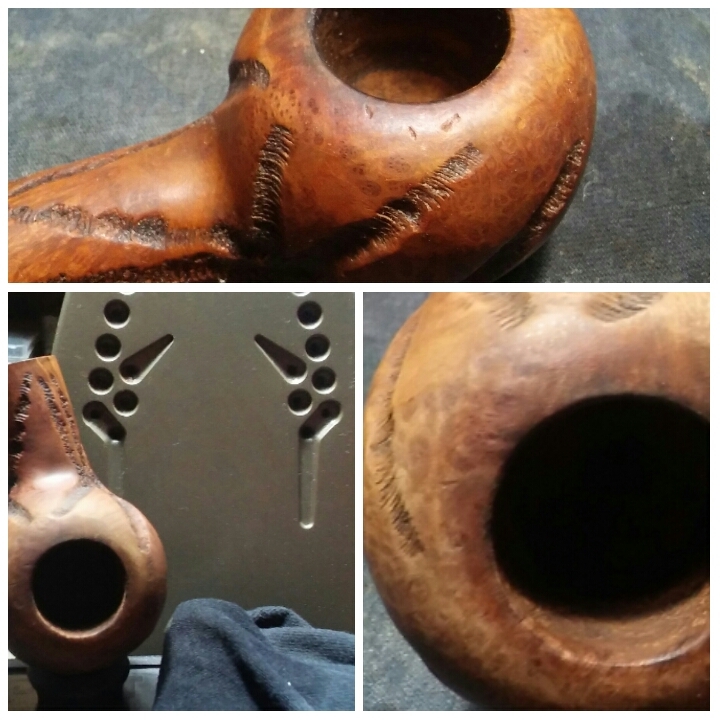 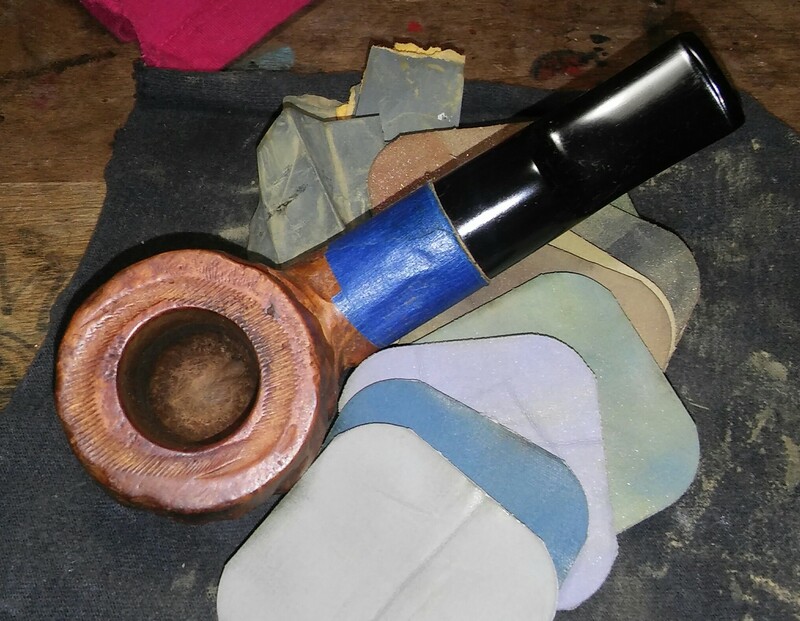 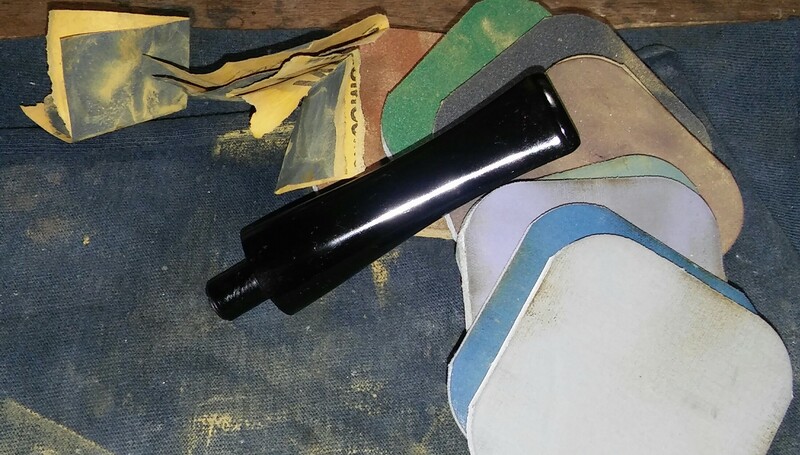 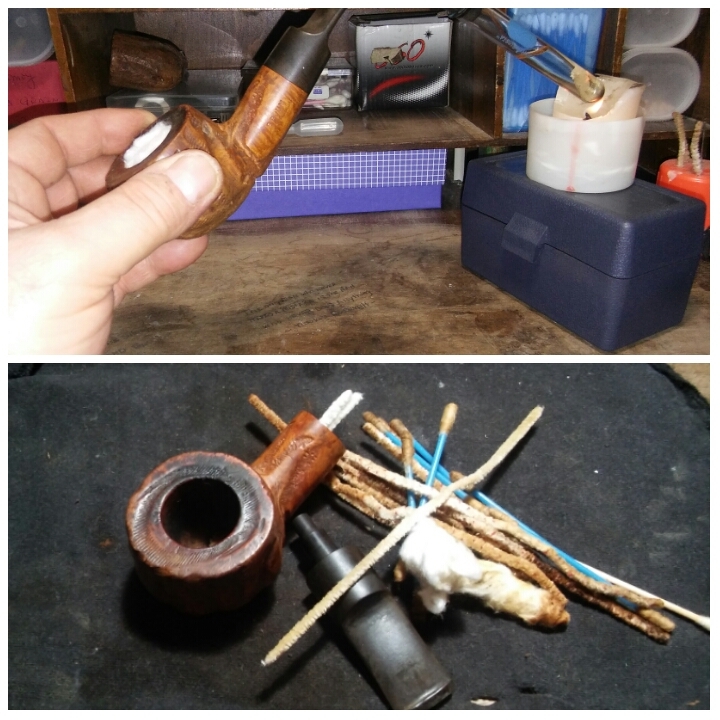 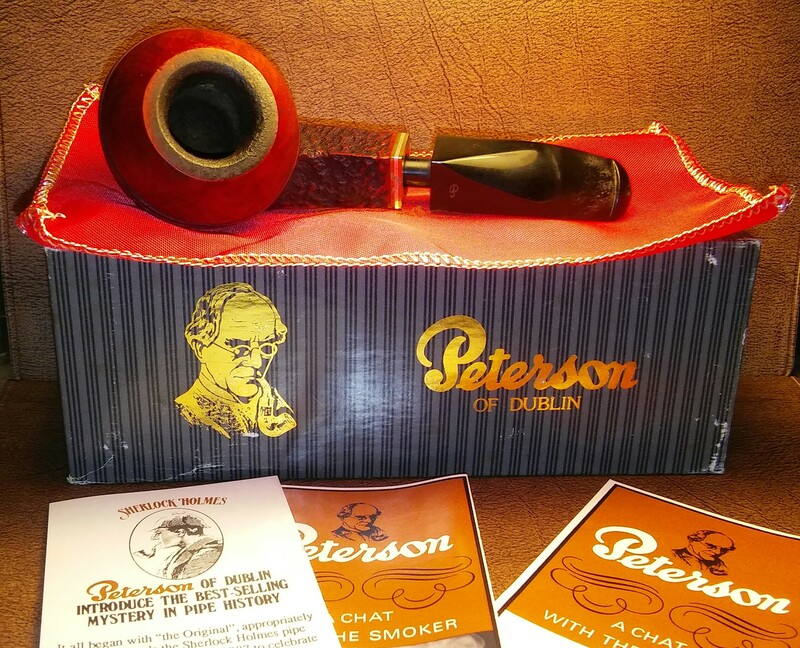 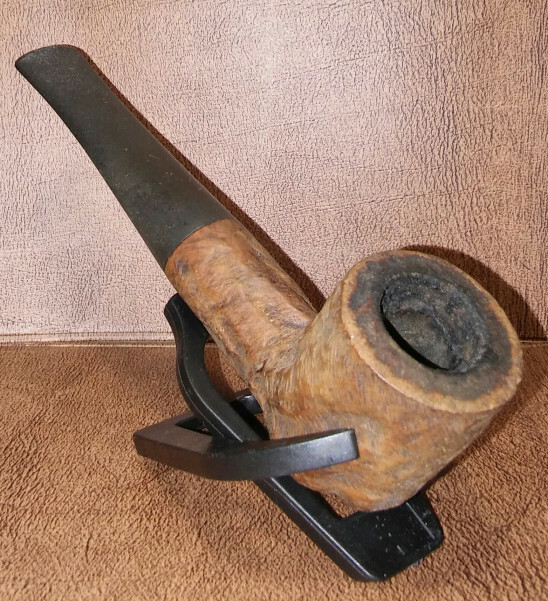 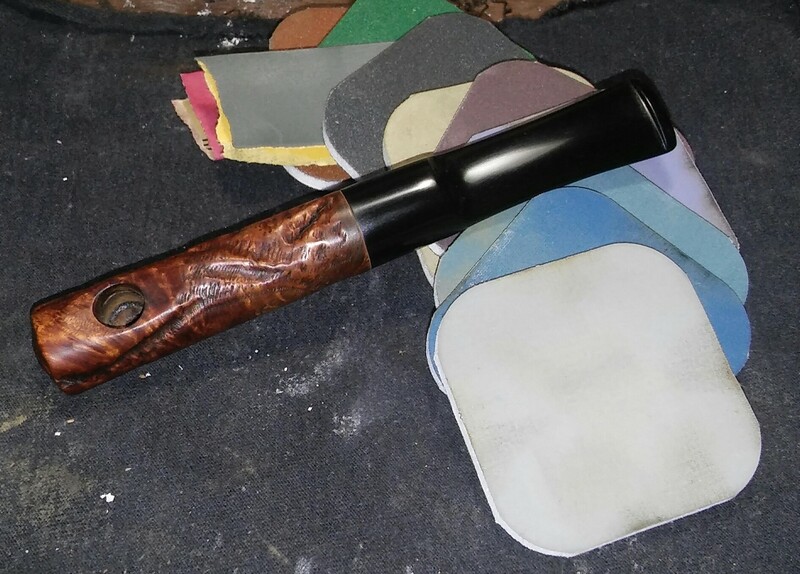 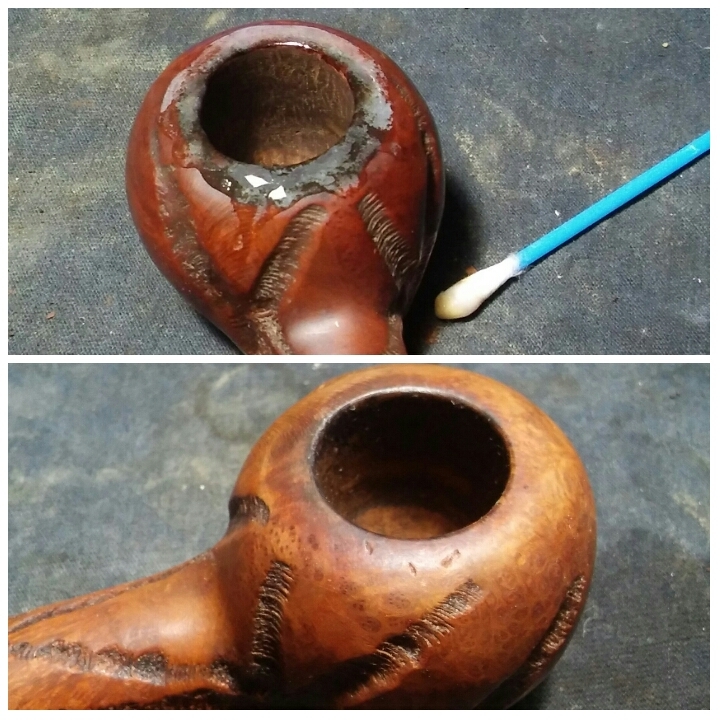 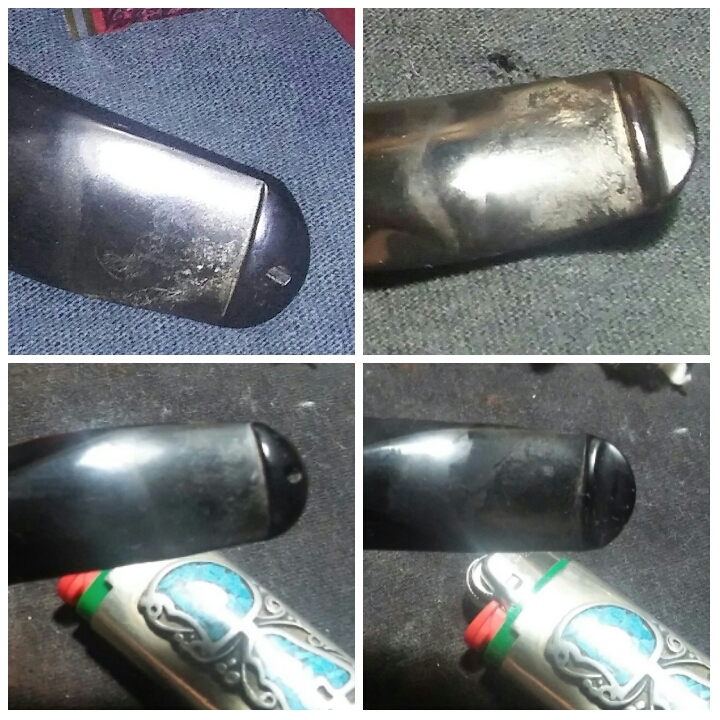 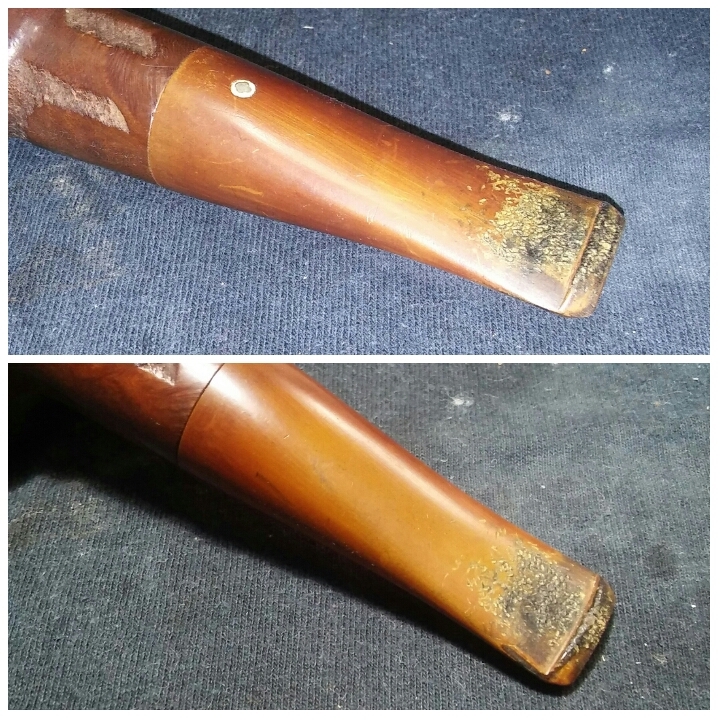 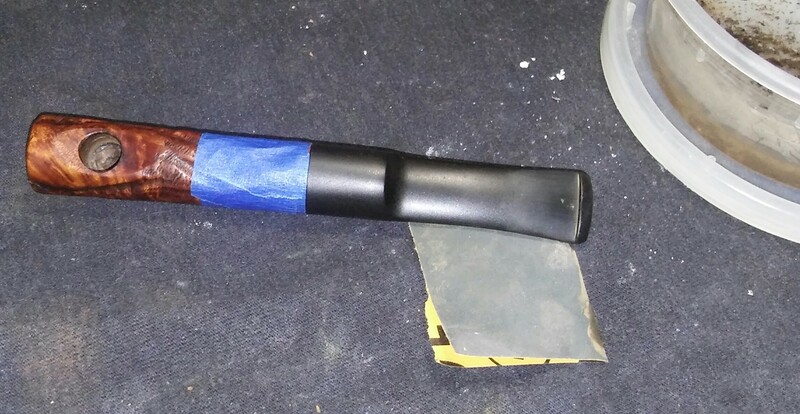 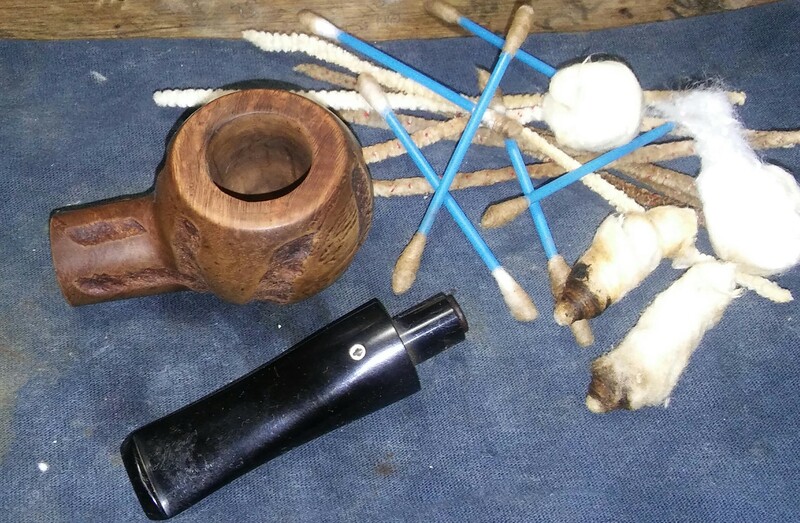 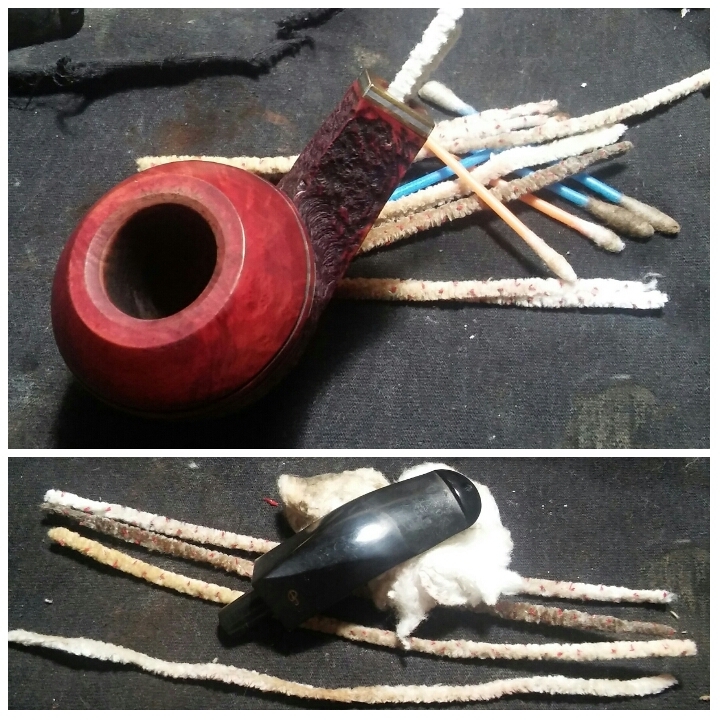 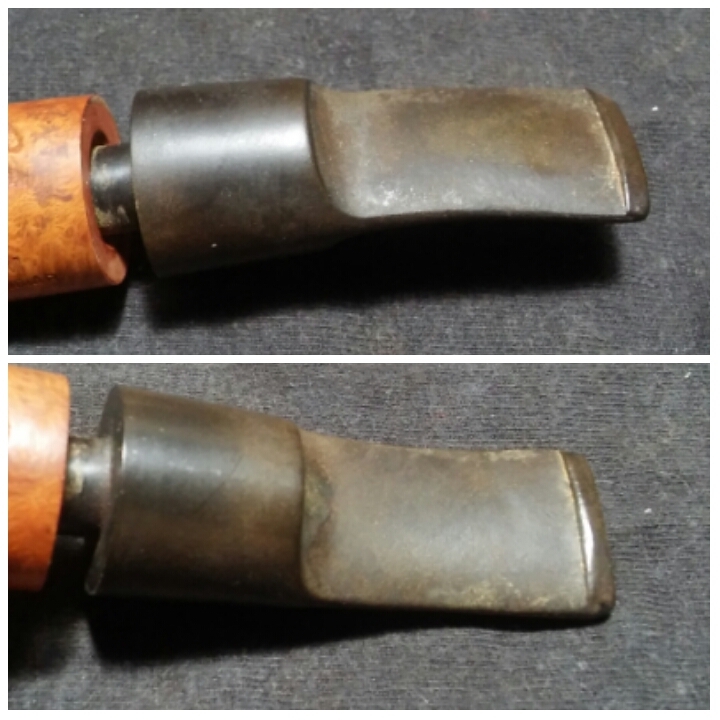 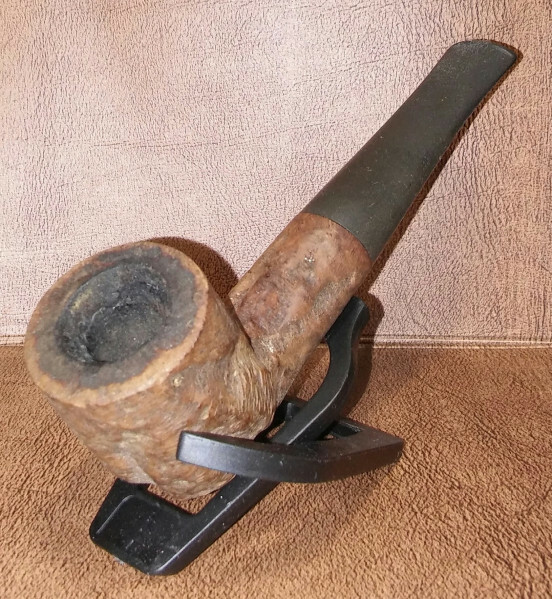 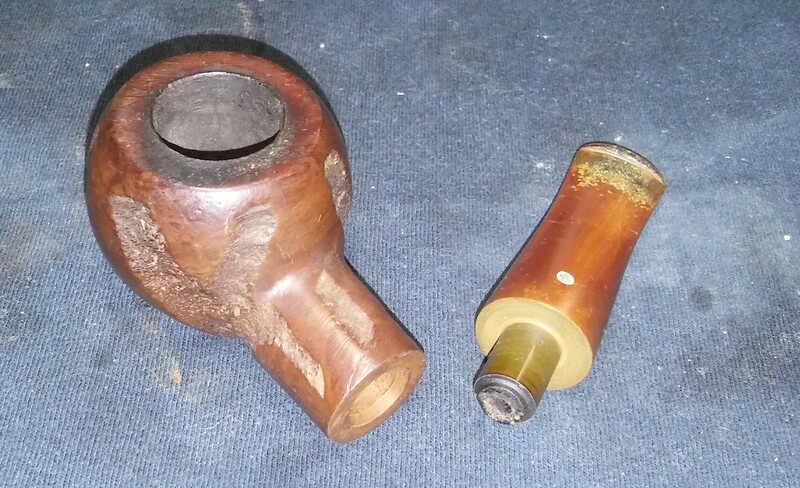 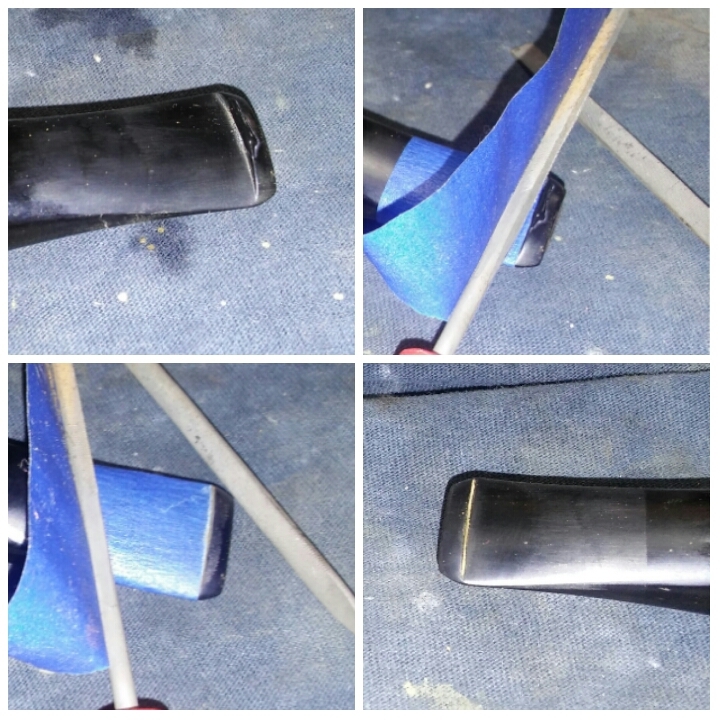 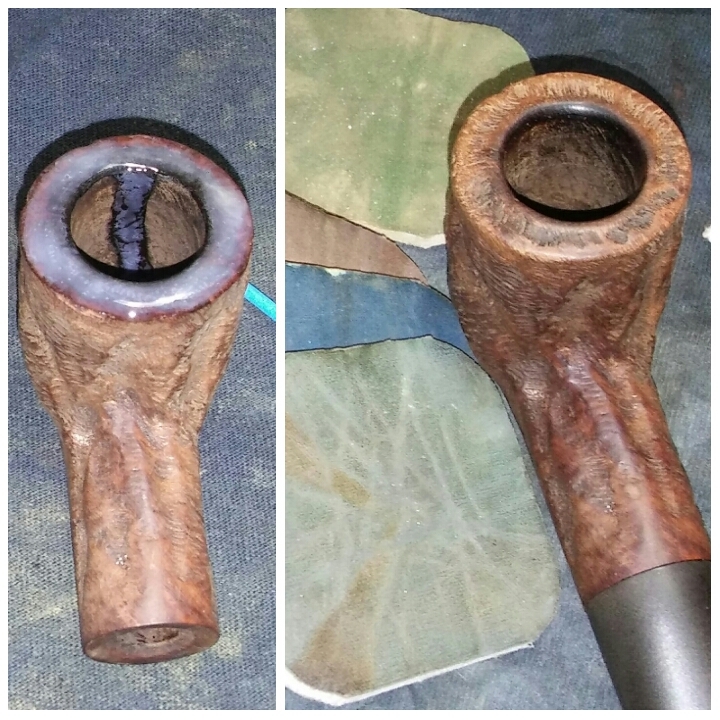 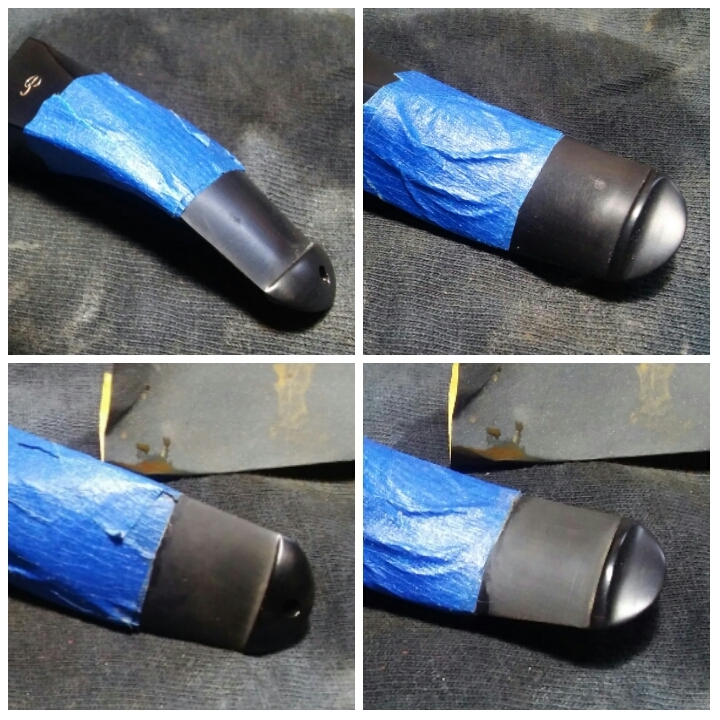 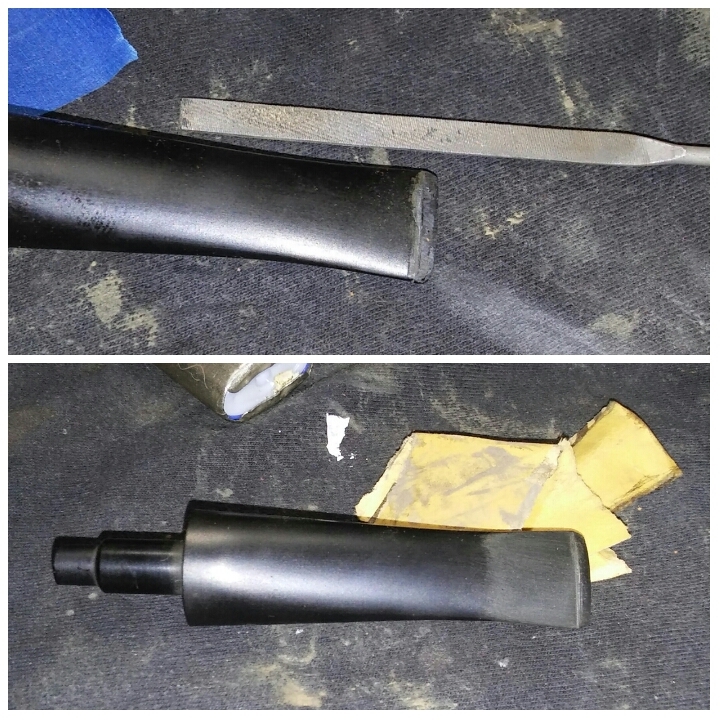 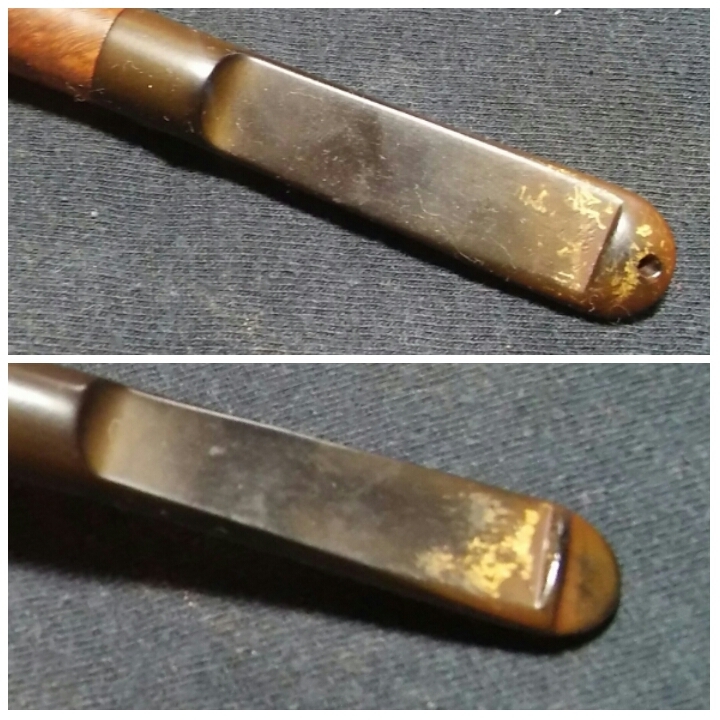 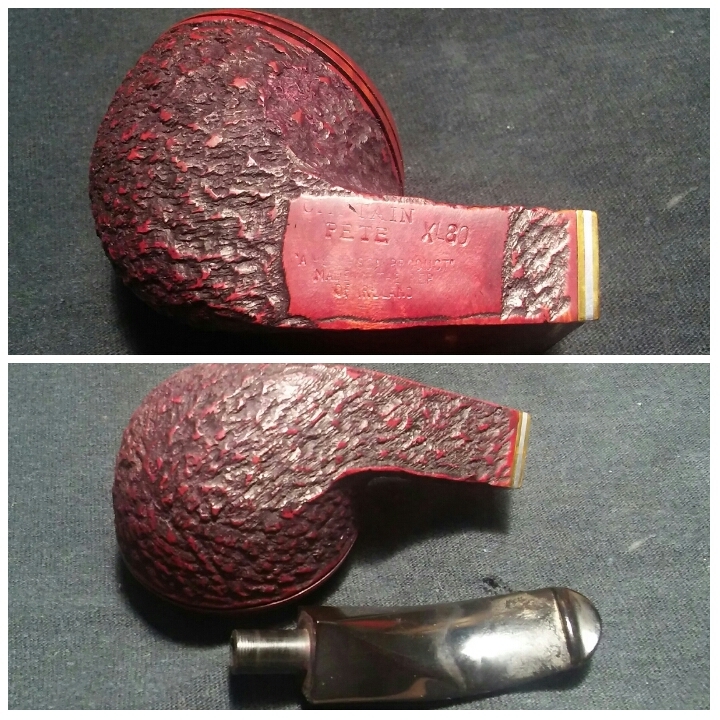 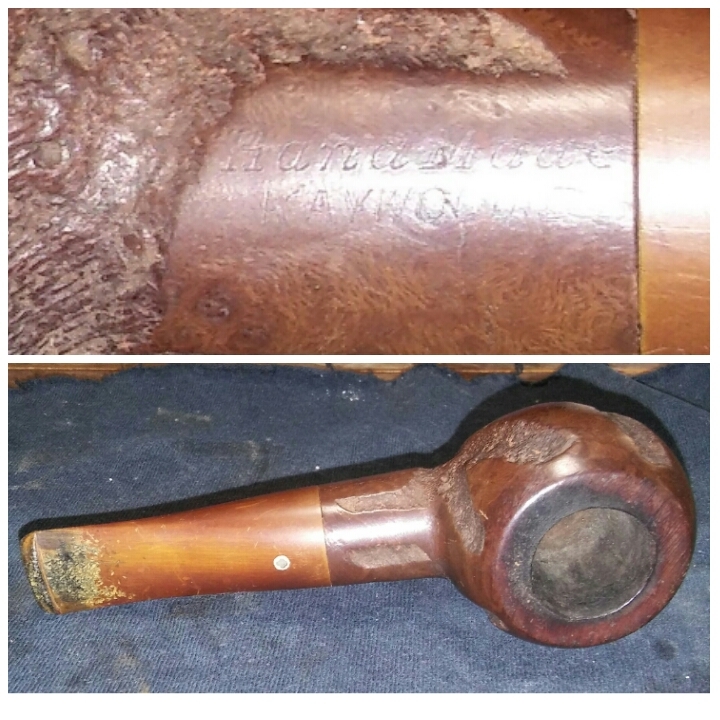 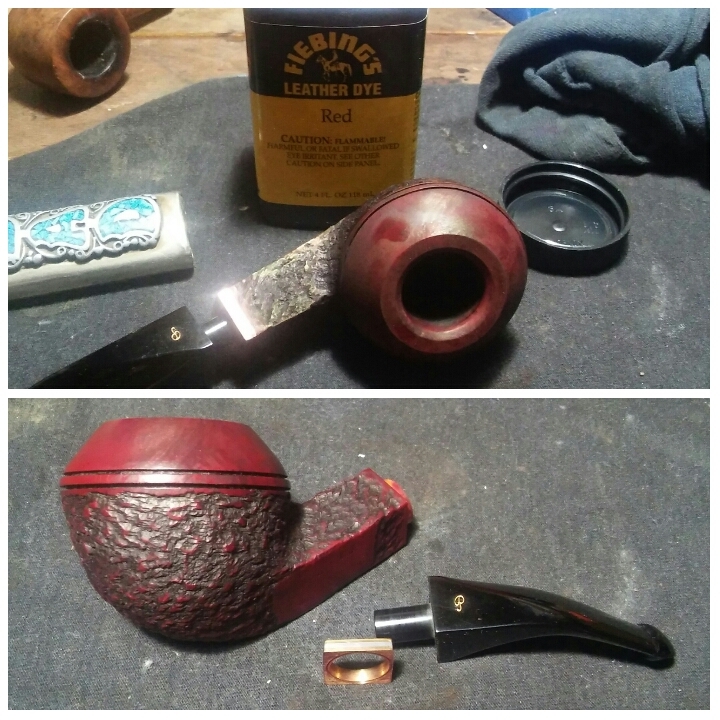 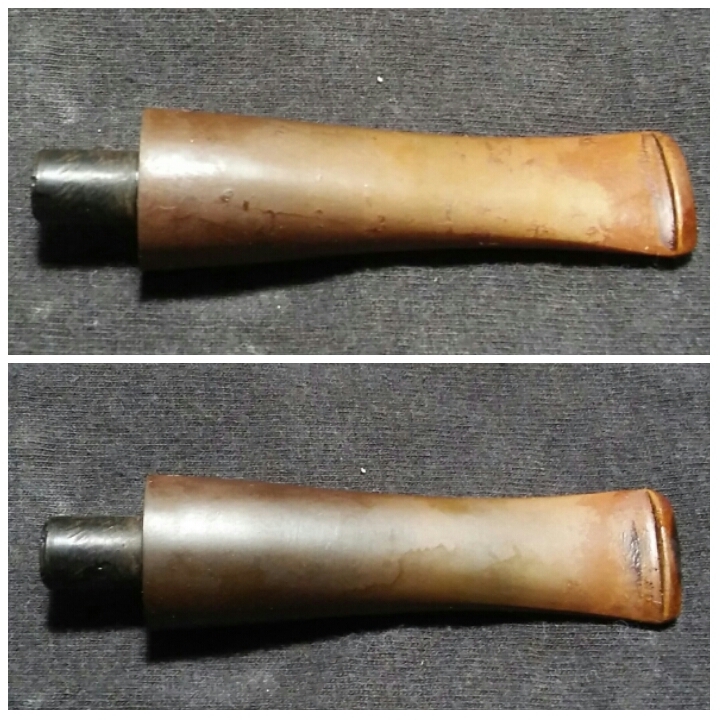 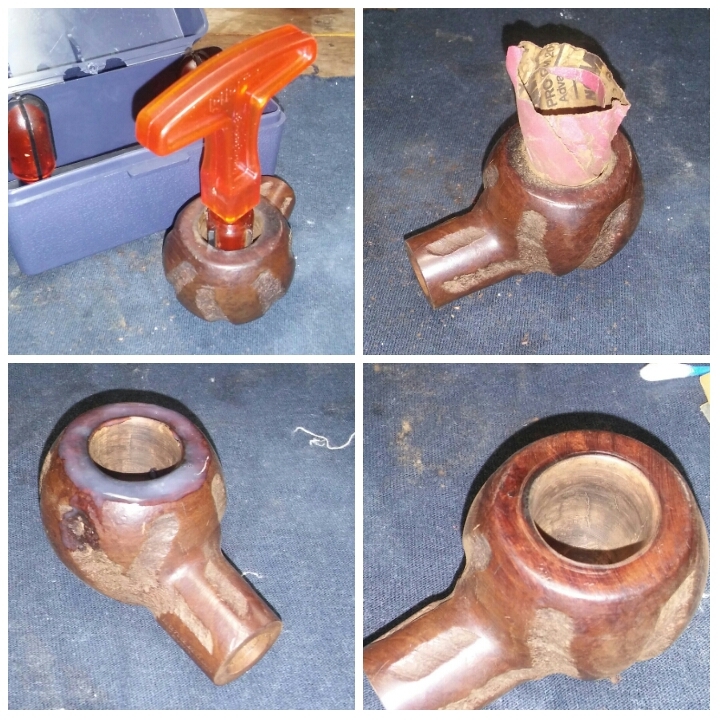 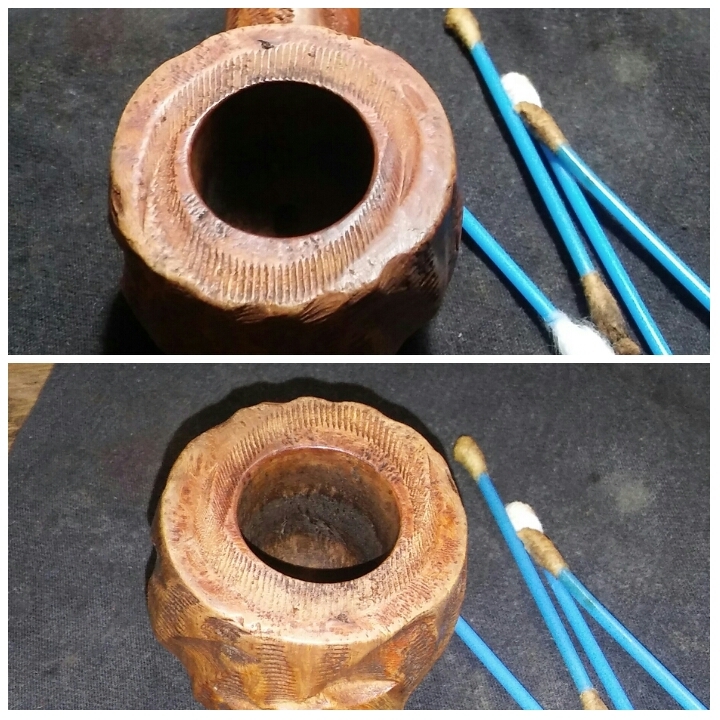 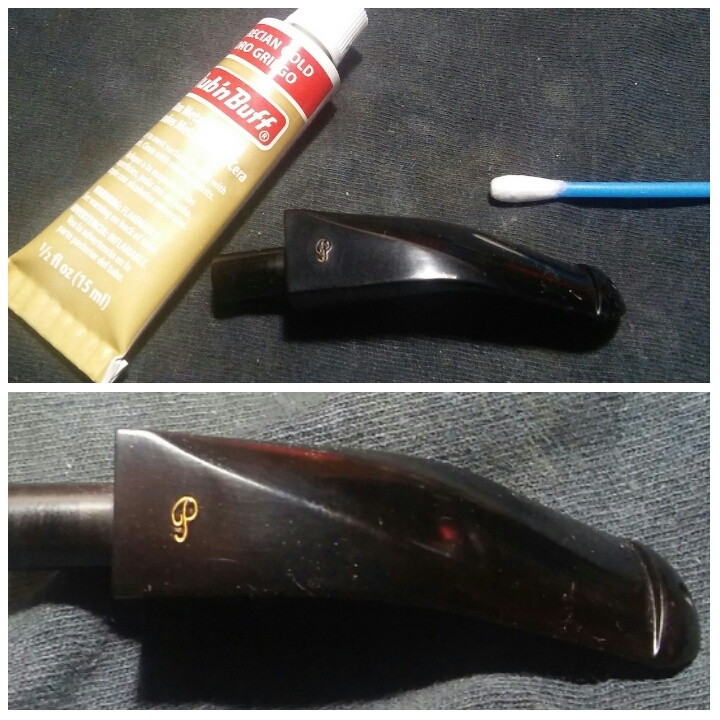 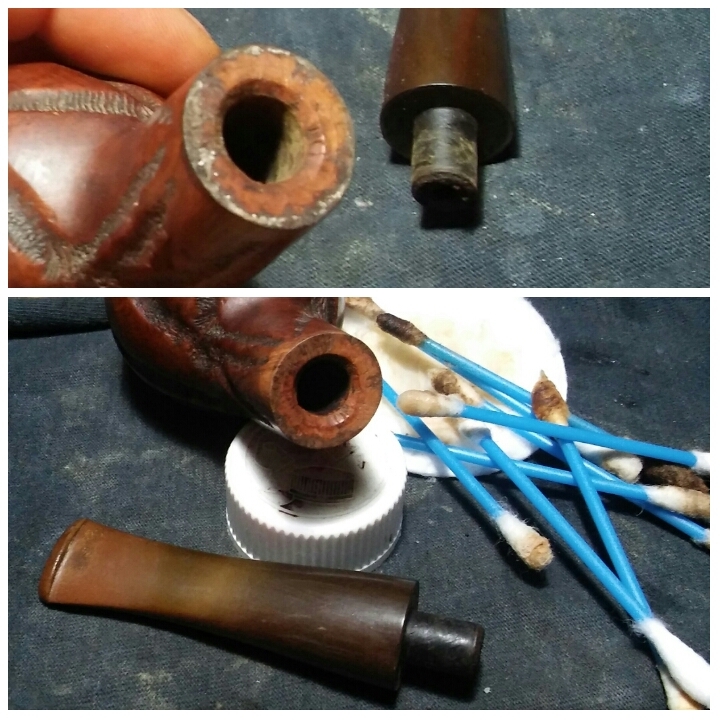 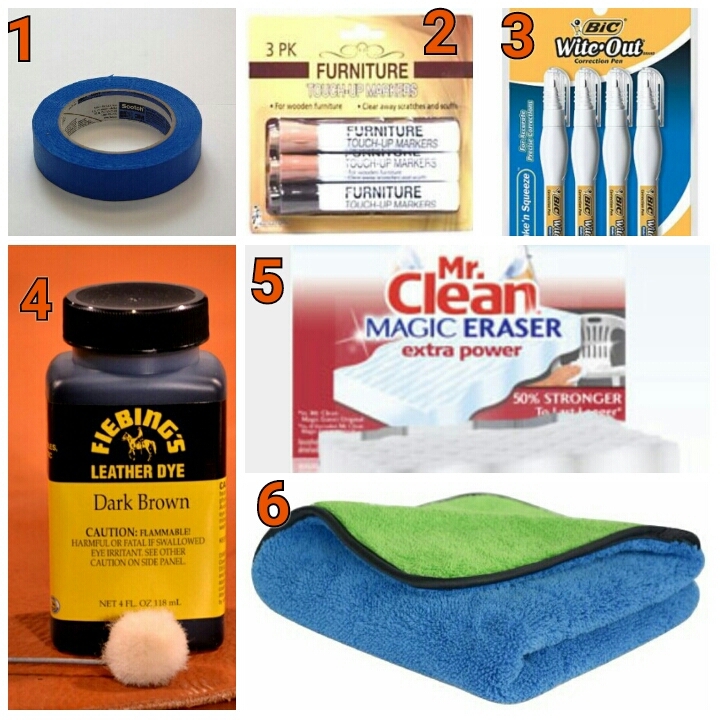 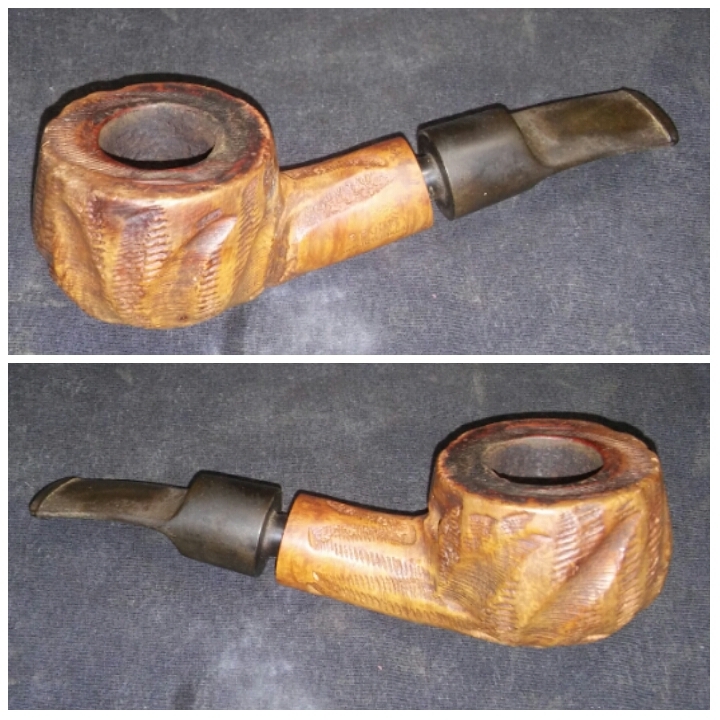 Everyone who’s into estate pipe refurbishing has his or her own list of tools and products ,these are the products and tools I reach for in the restoration of my pipes. 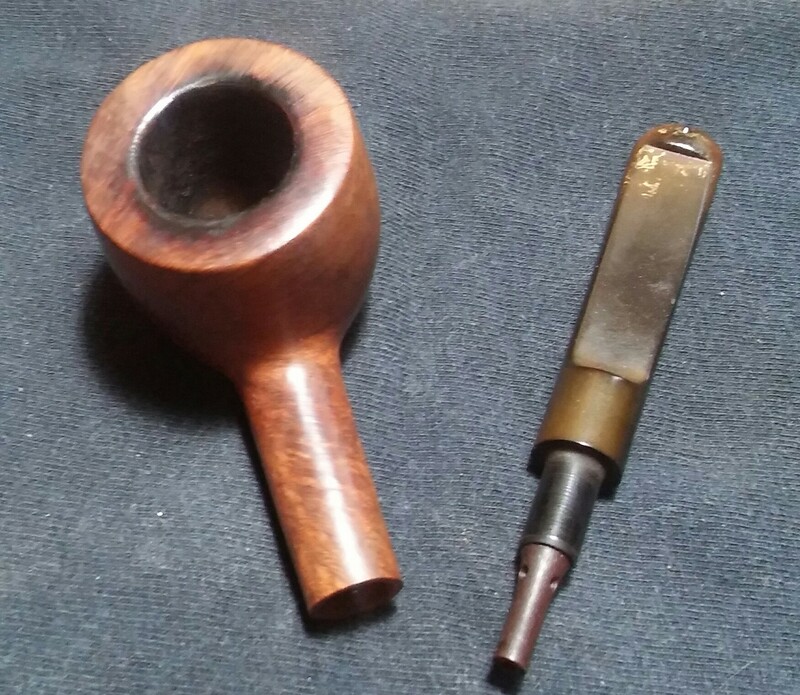 I try to keep things as cheap as possible. 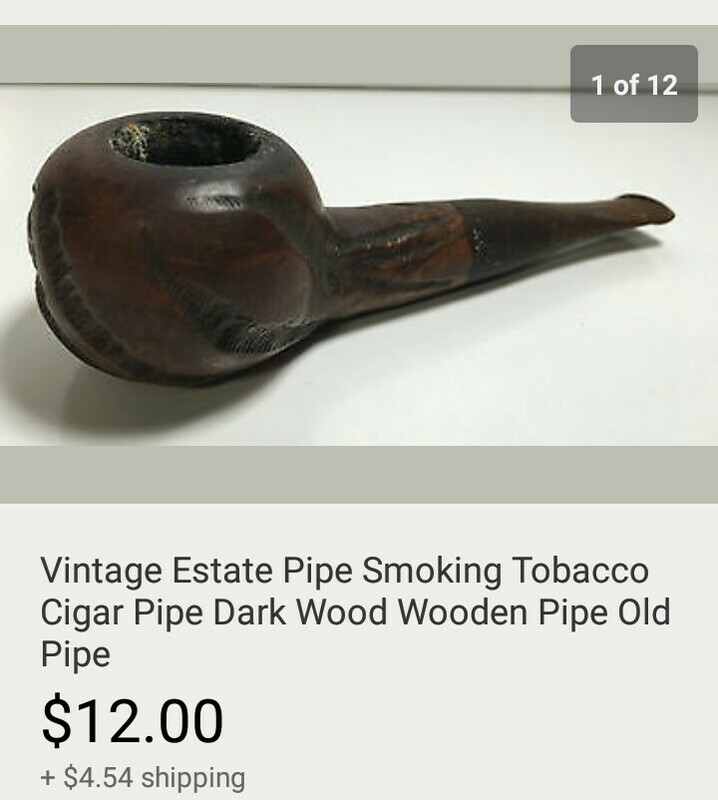 I didn’t list prices as they have changed some since my purchasing them. 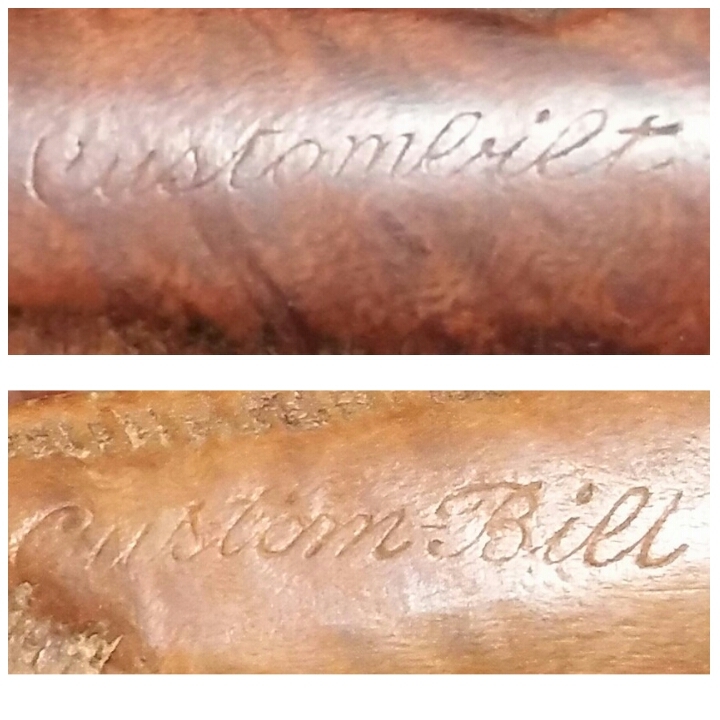 Also my equipment was purchased over a five year period as it was needed it was added. 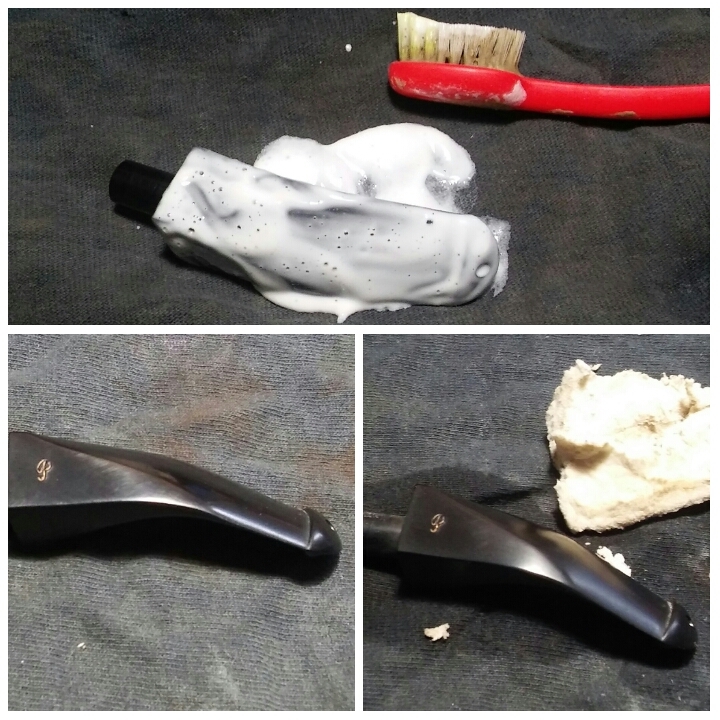 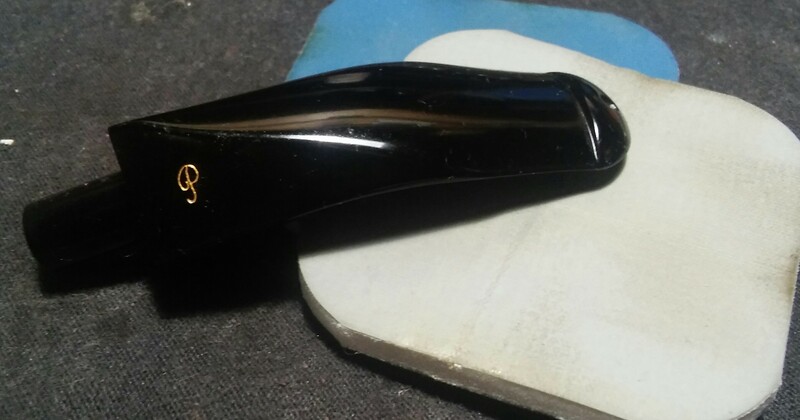 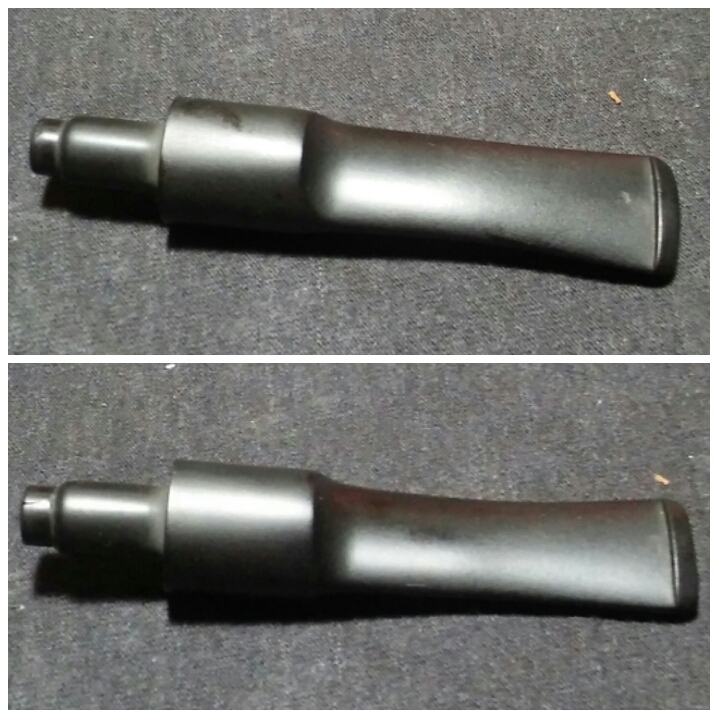 Castleford Reamer(EBAY)– I started out with this reamer, was on my second when I switched to a Pipnet. 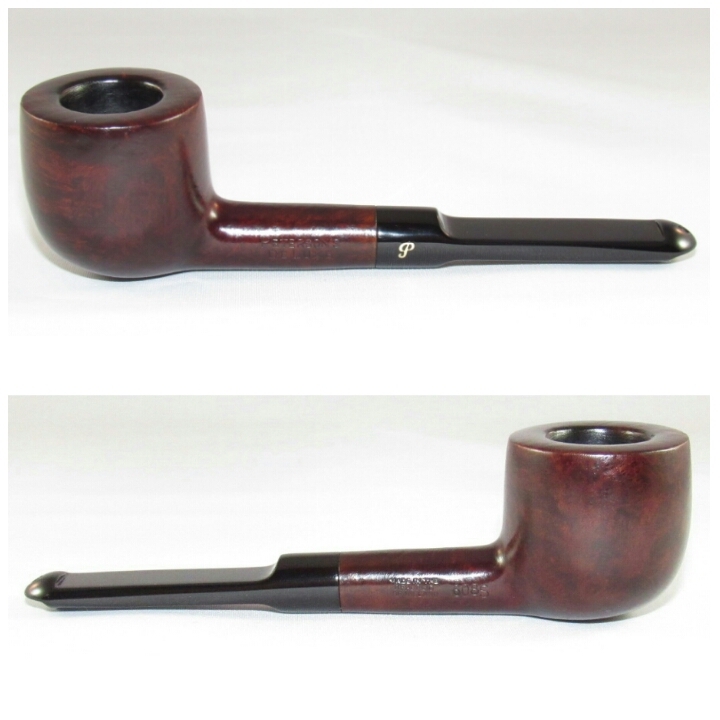 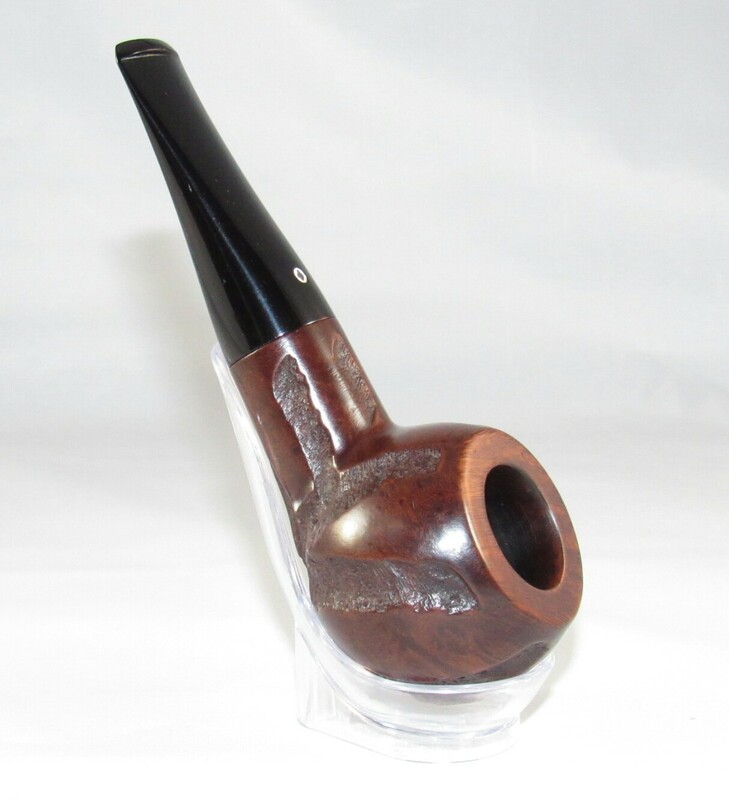 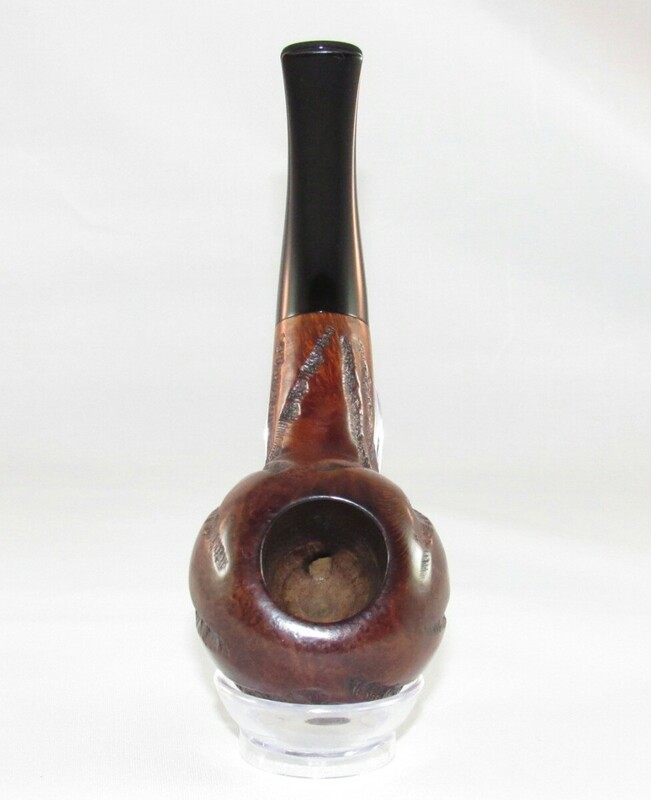 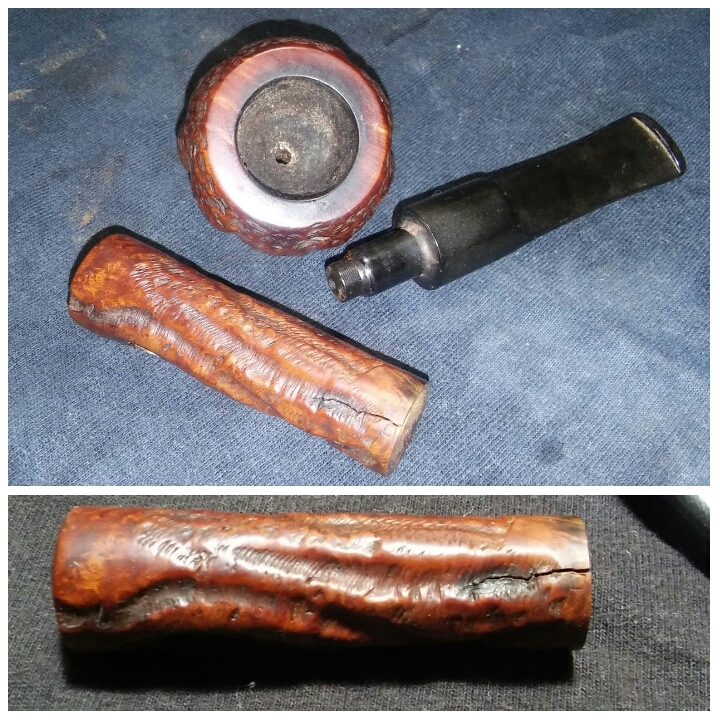 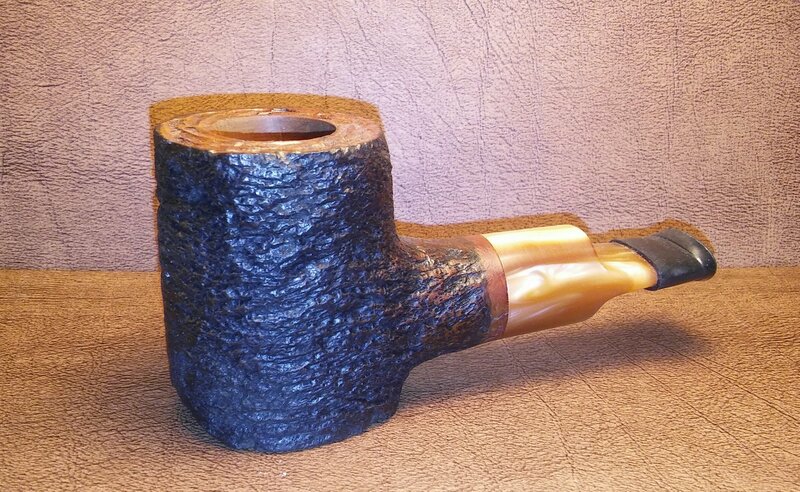 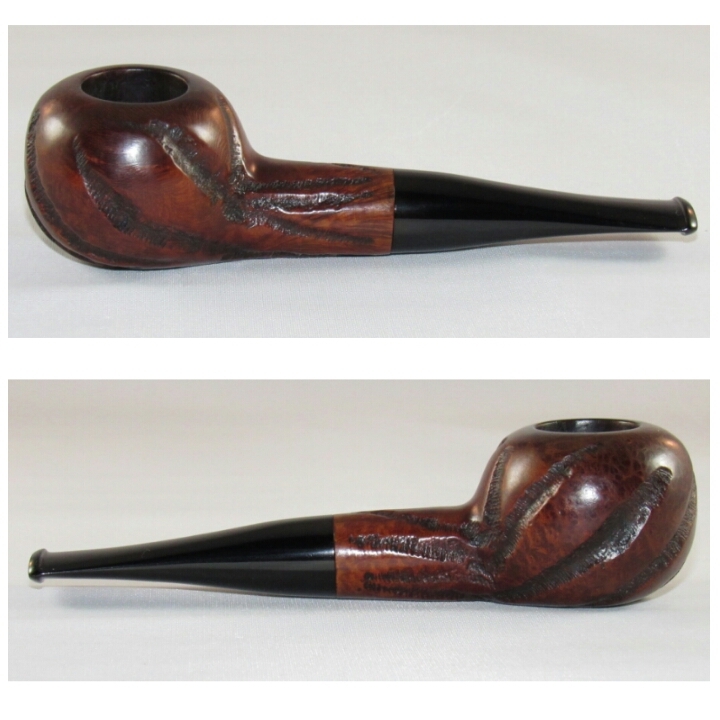 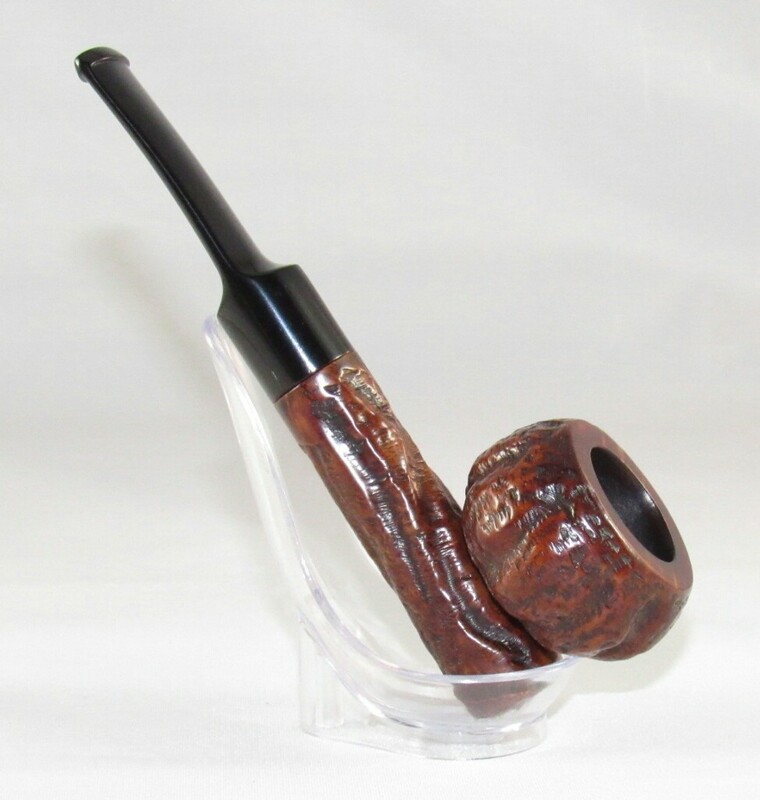 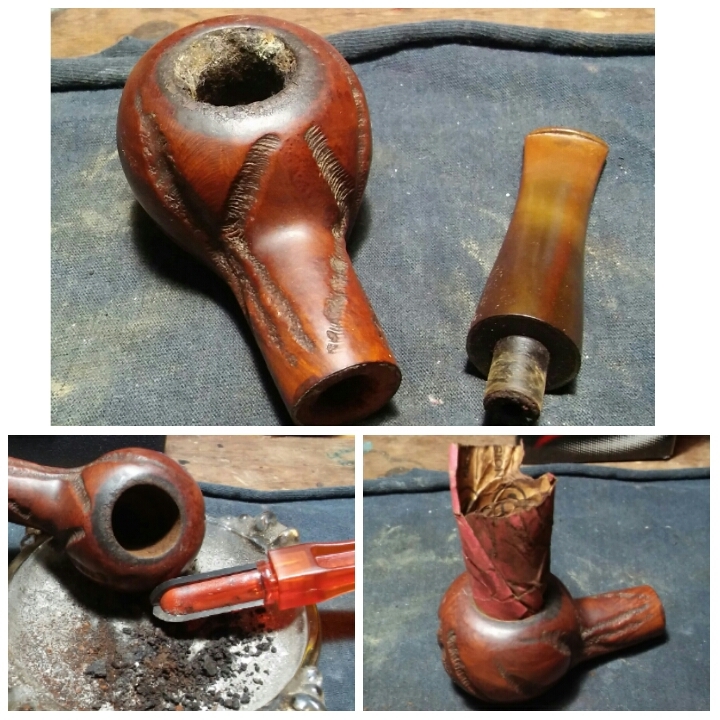 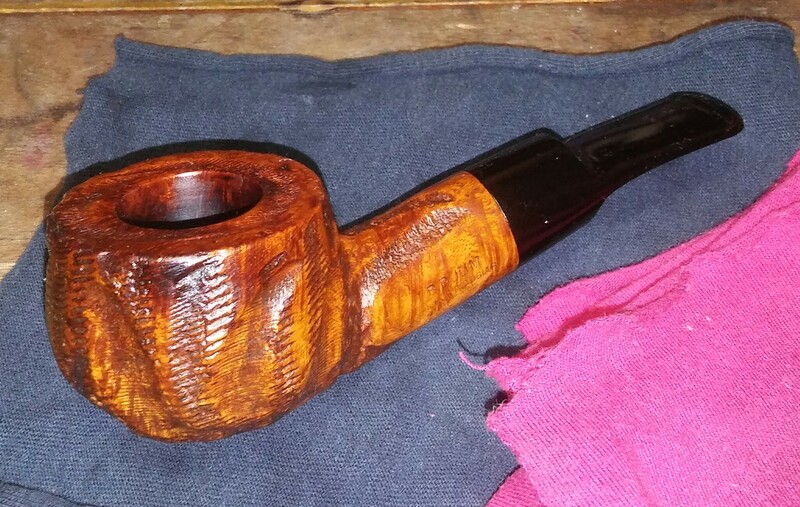 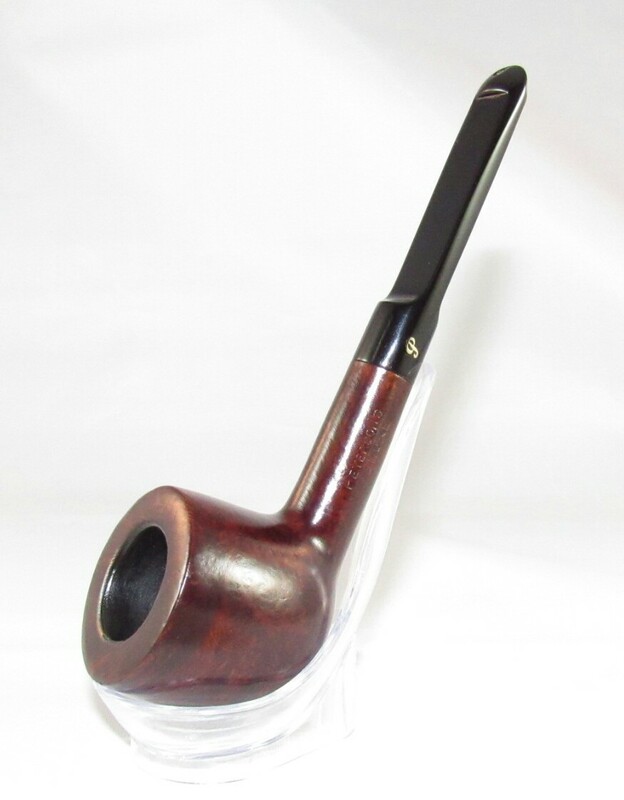 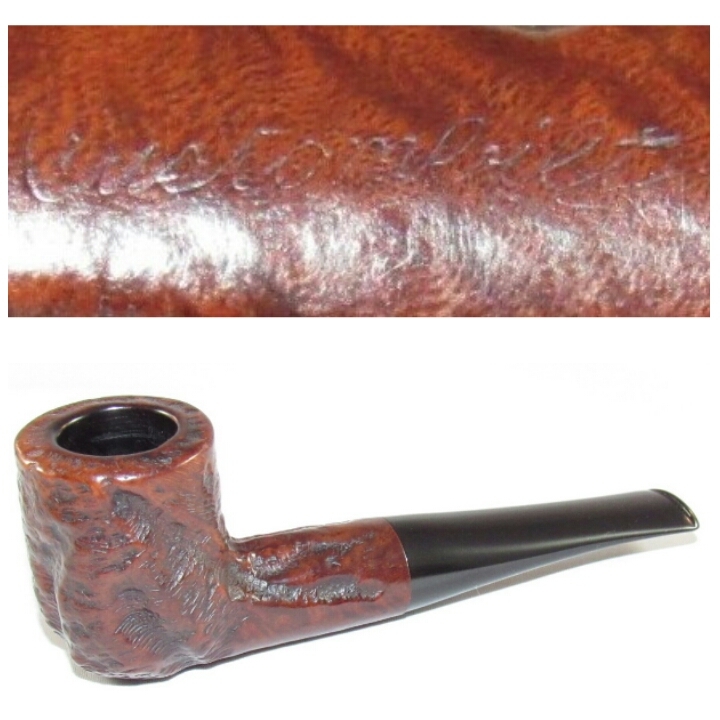 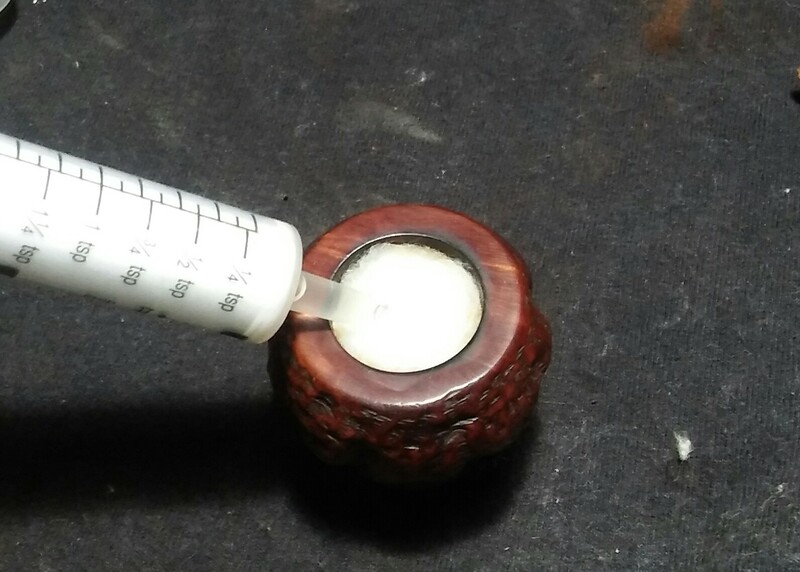 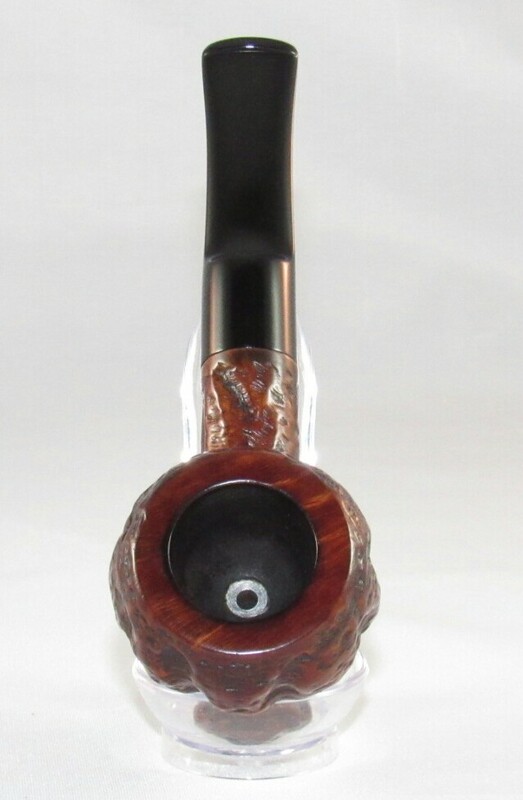 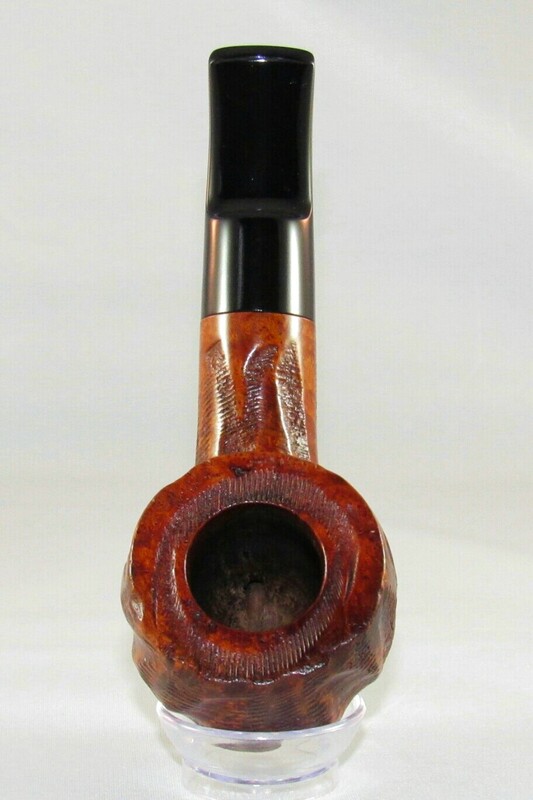 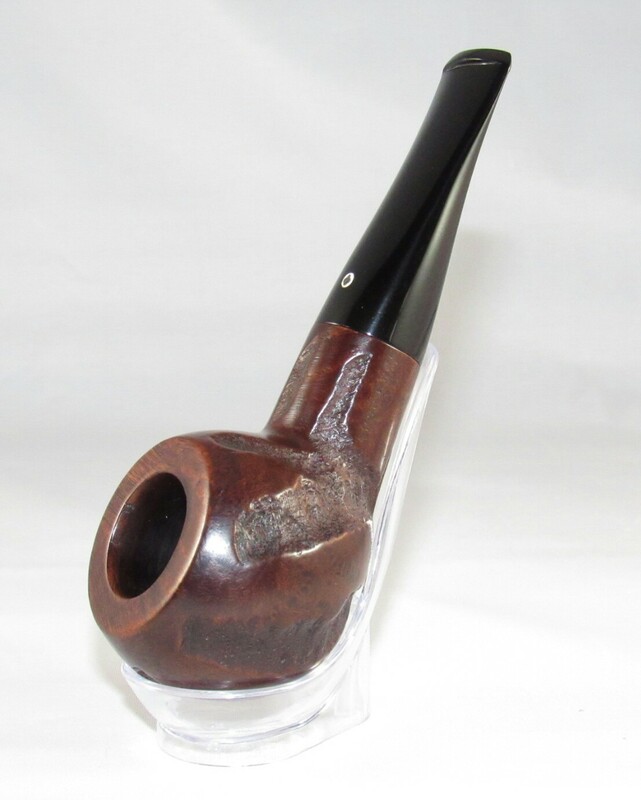 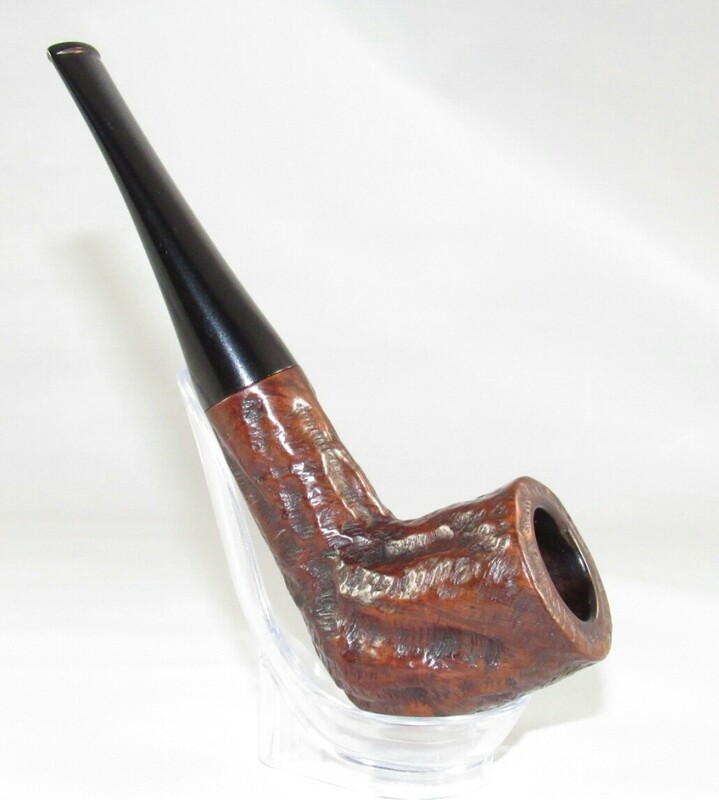 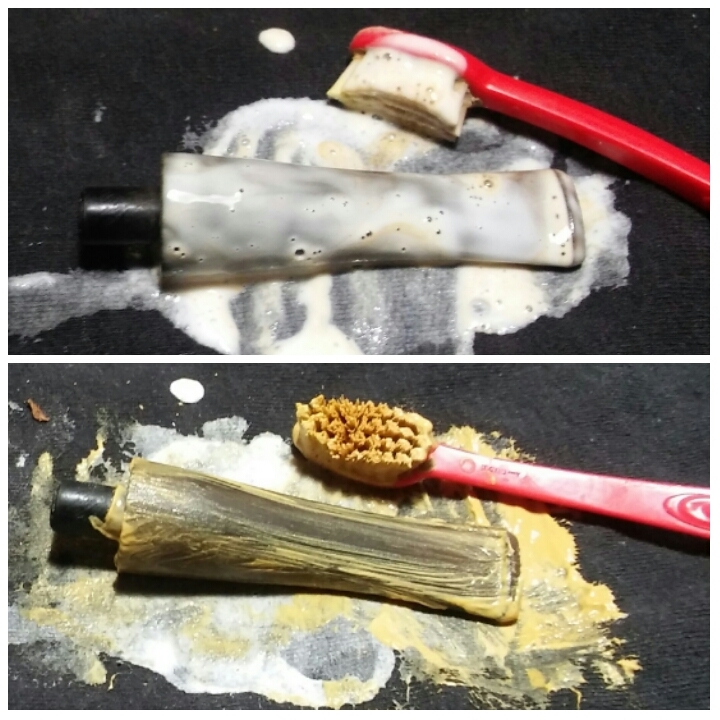 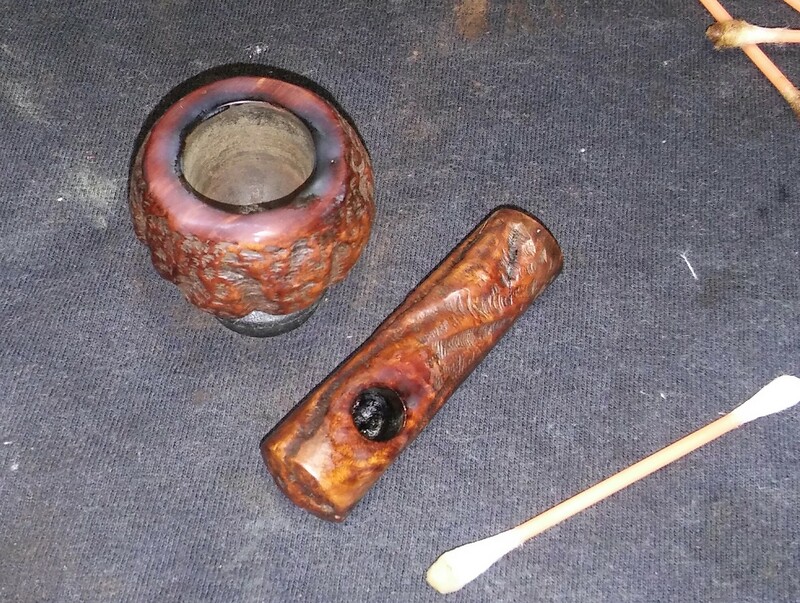 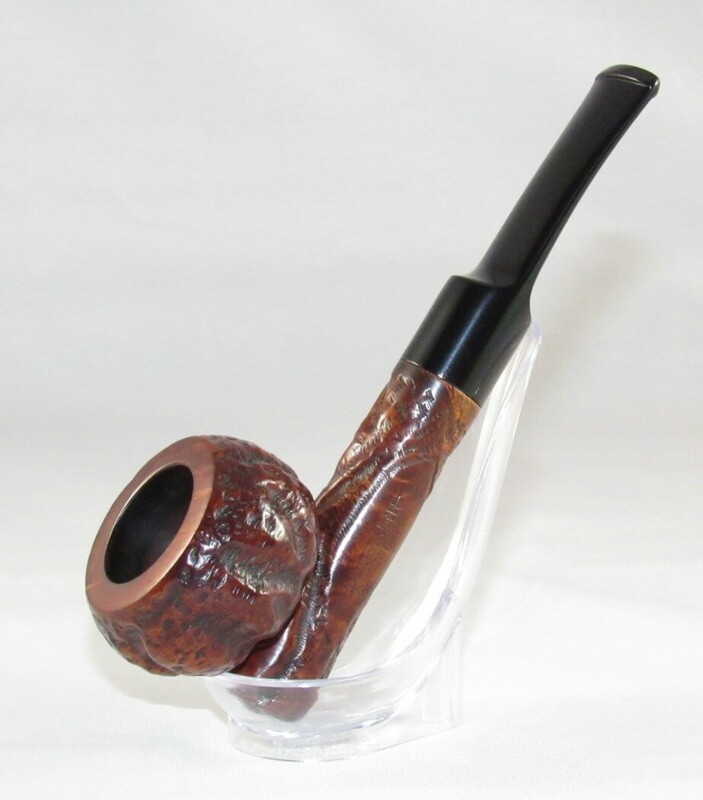 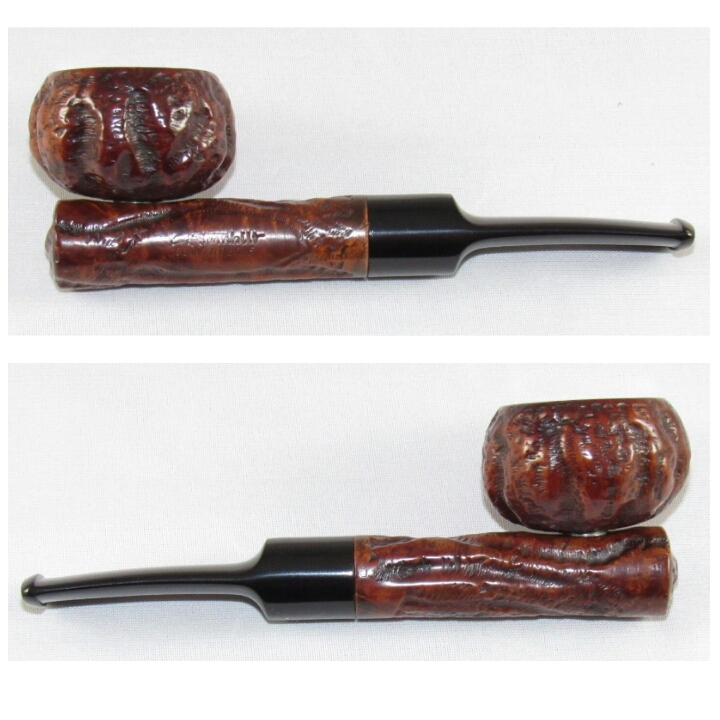 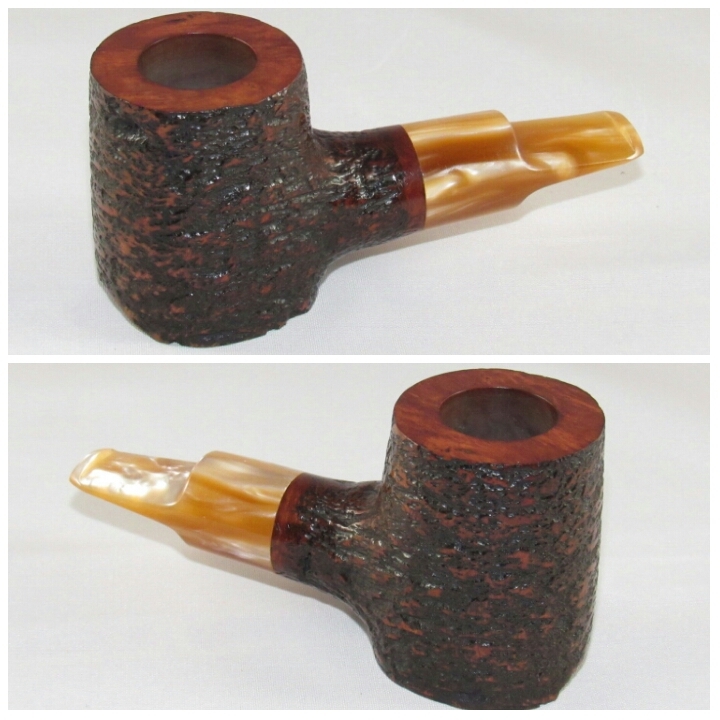 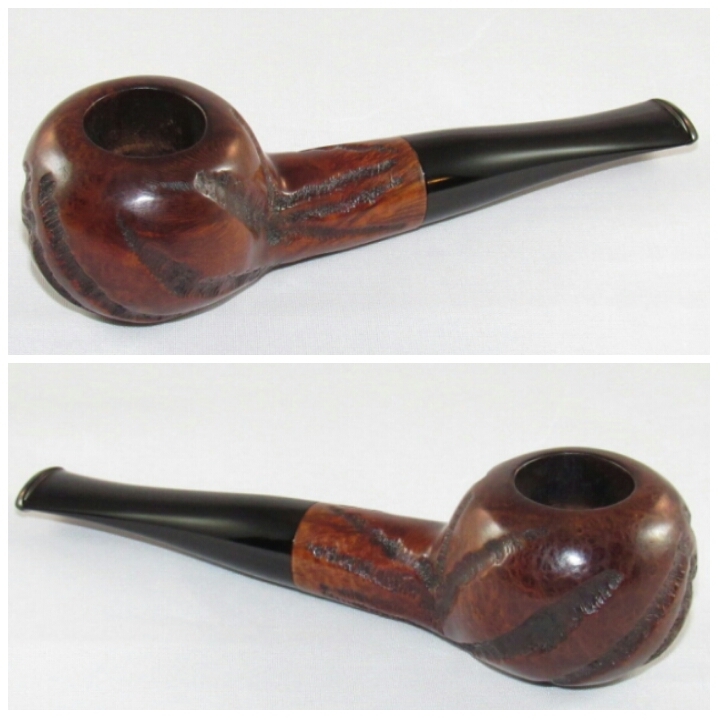 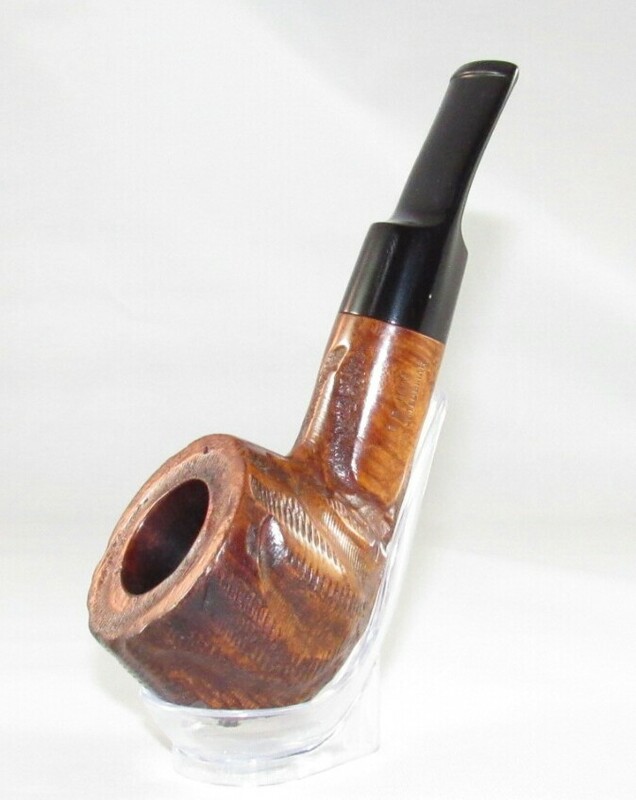 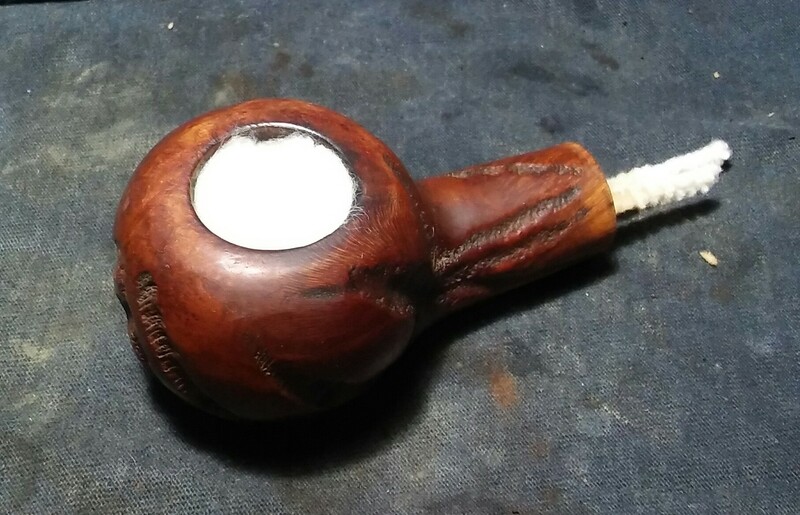 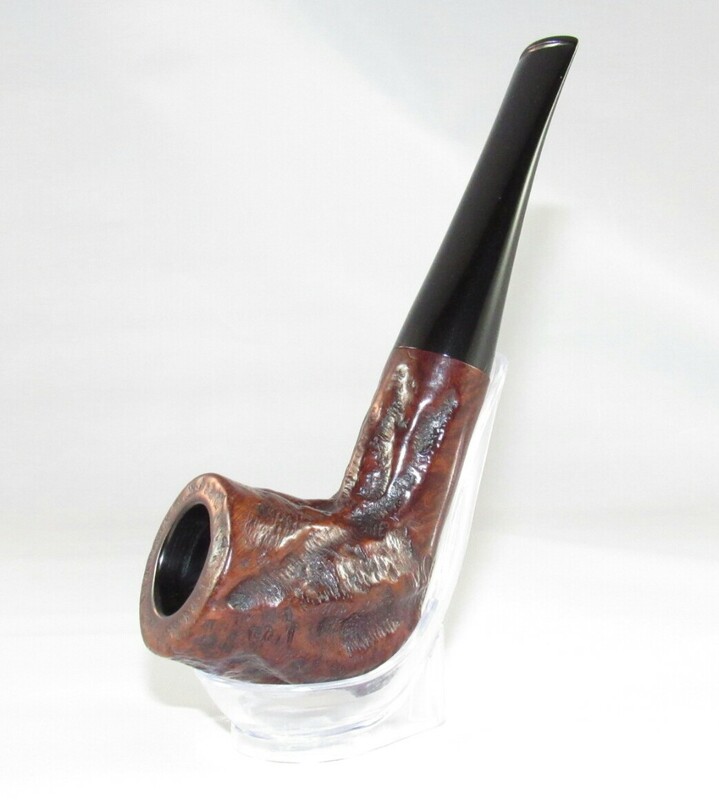 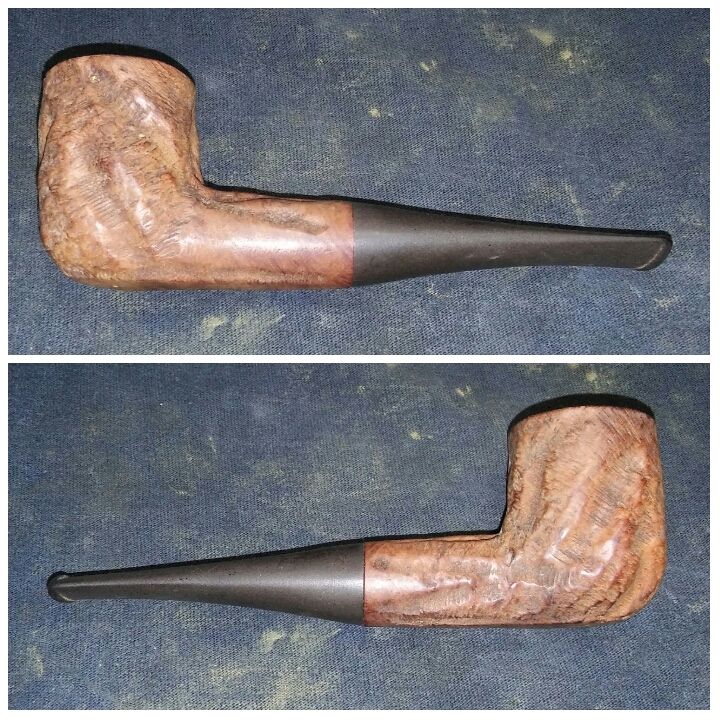 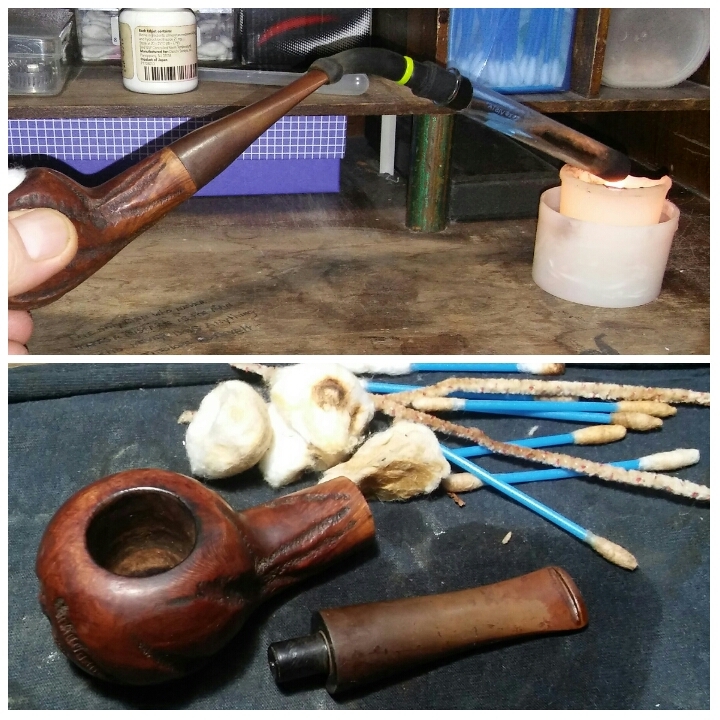 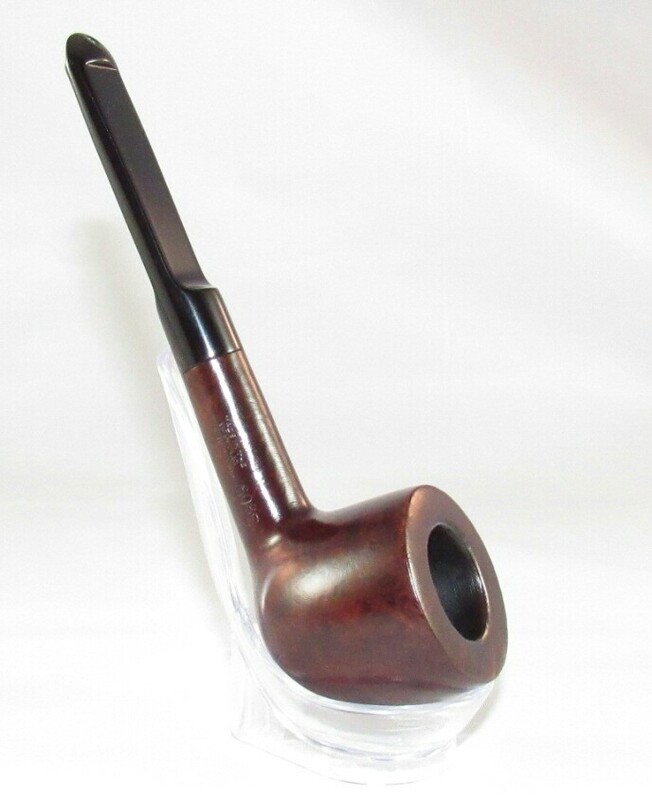 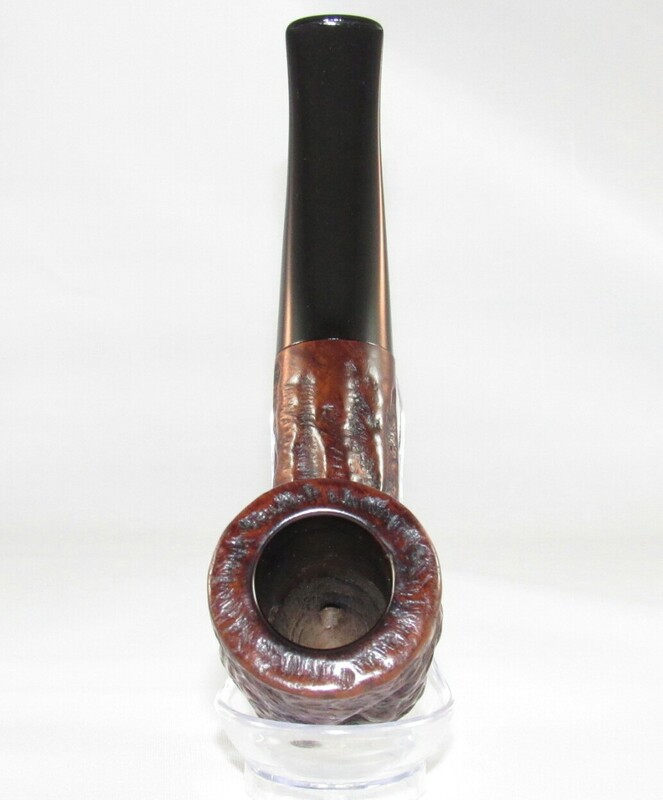 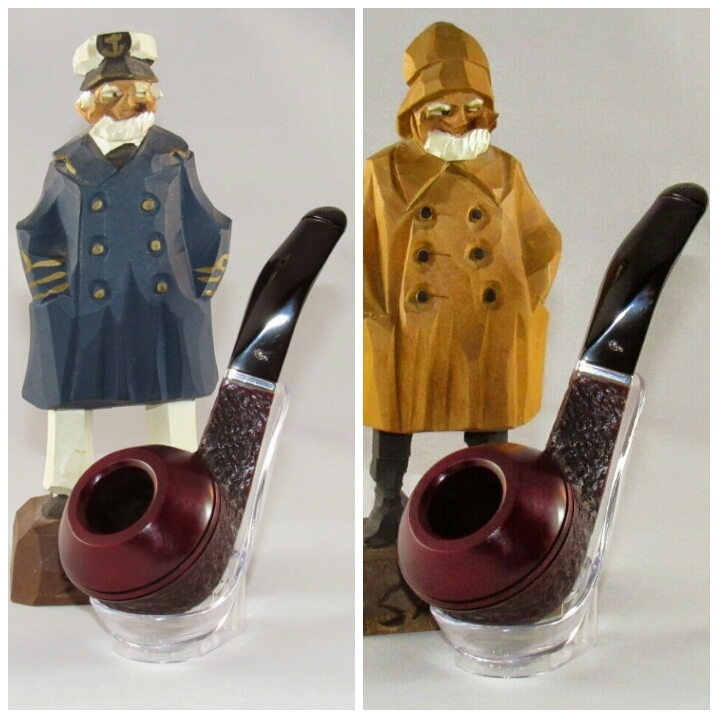 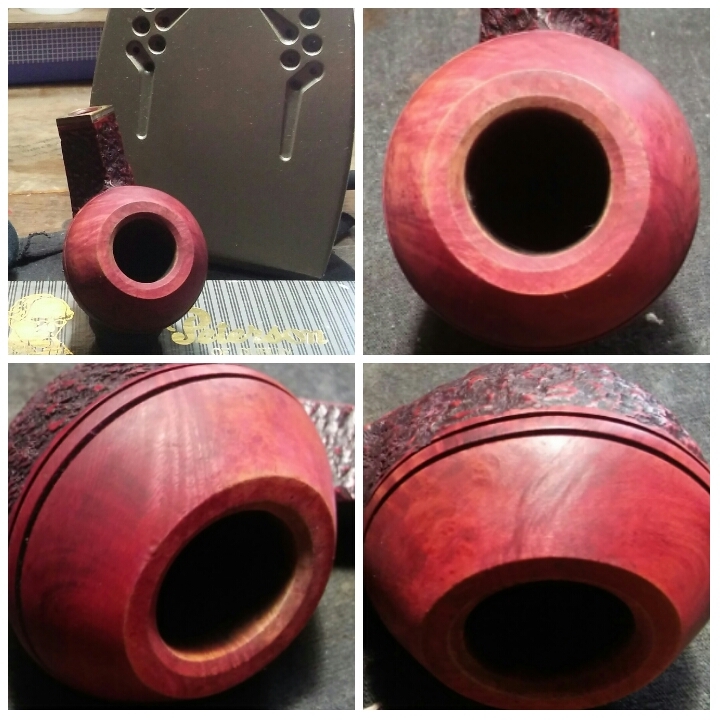 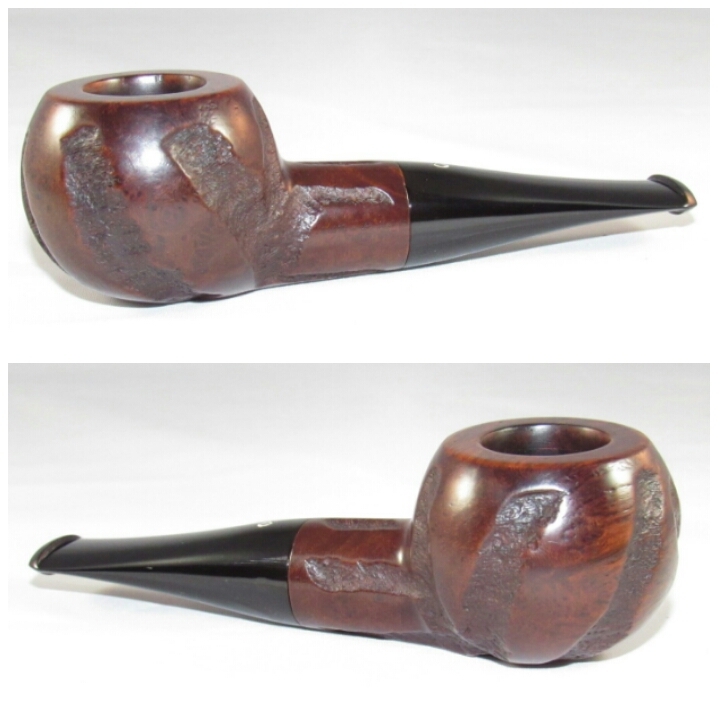 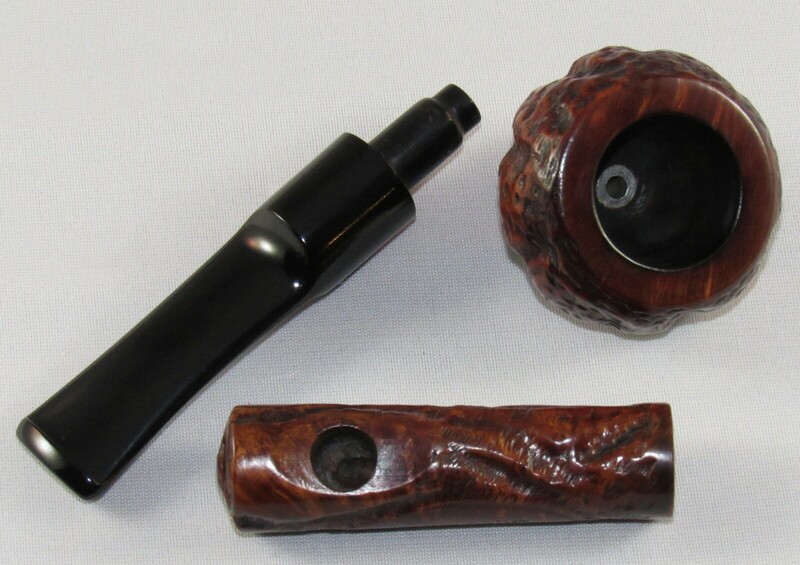 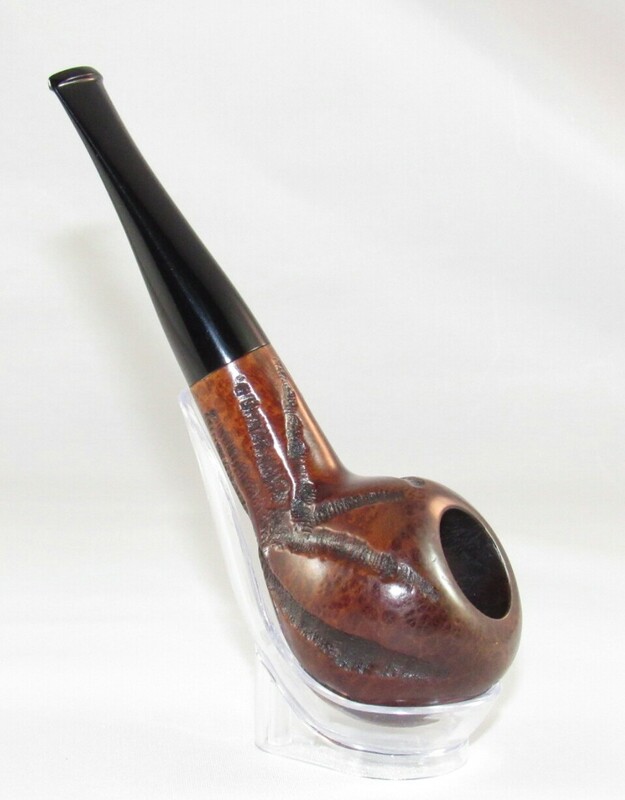 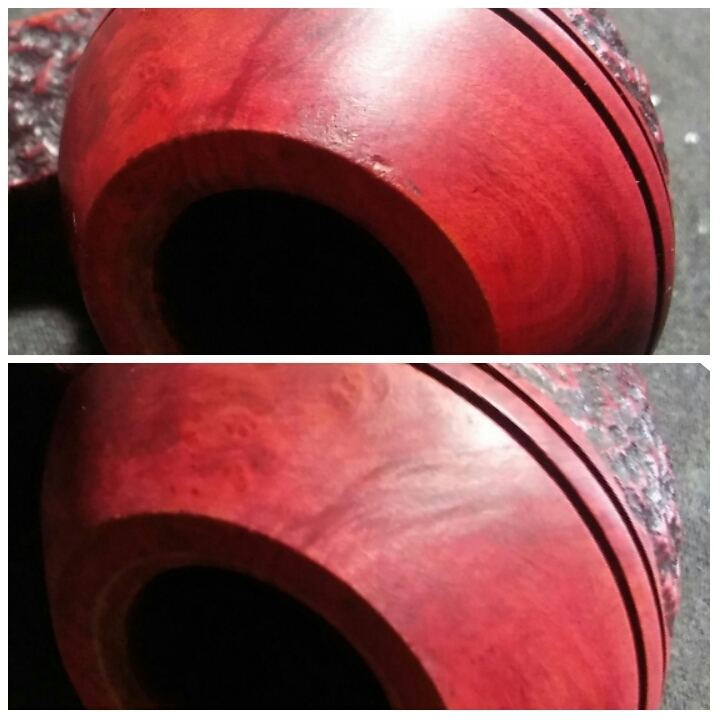 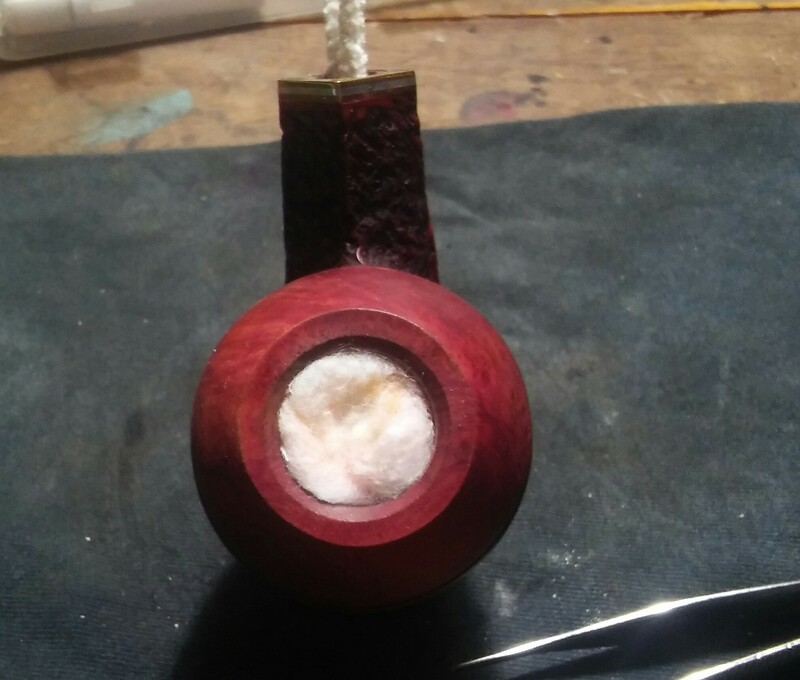 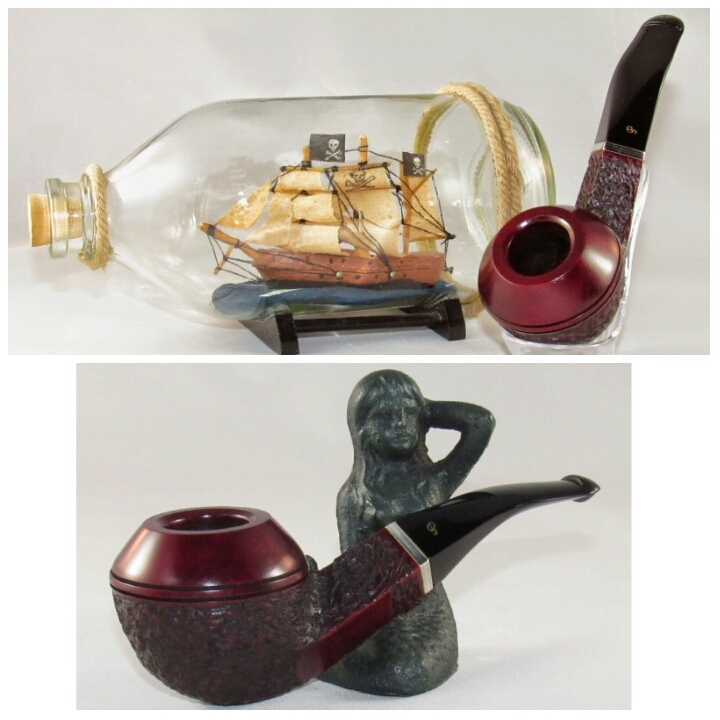 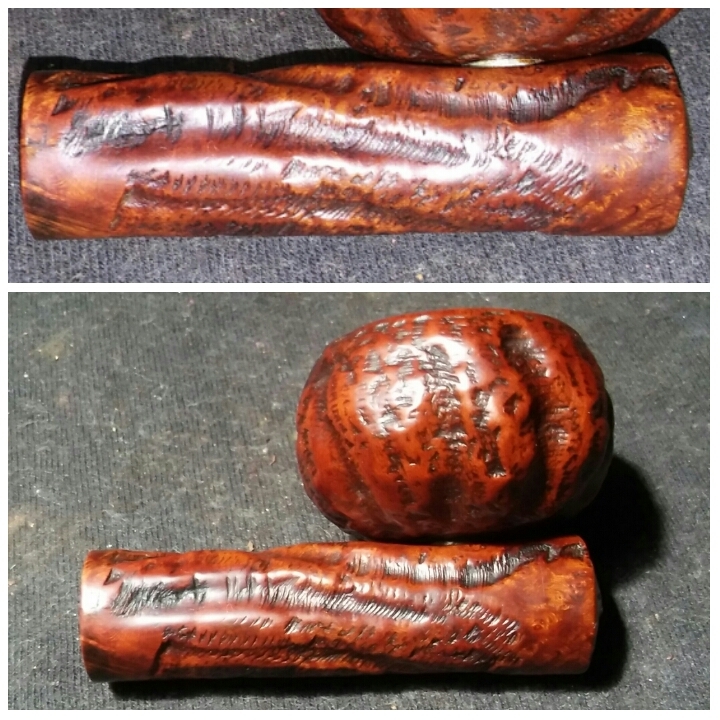 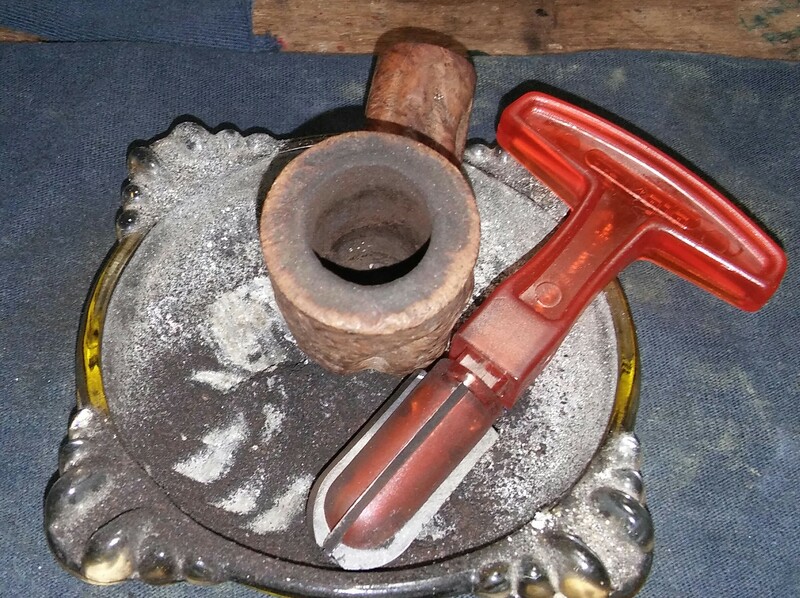 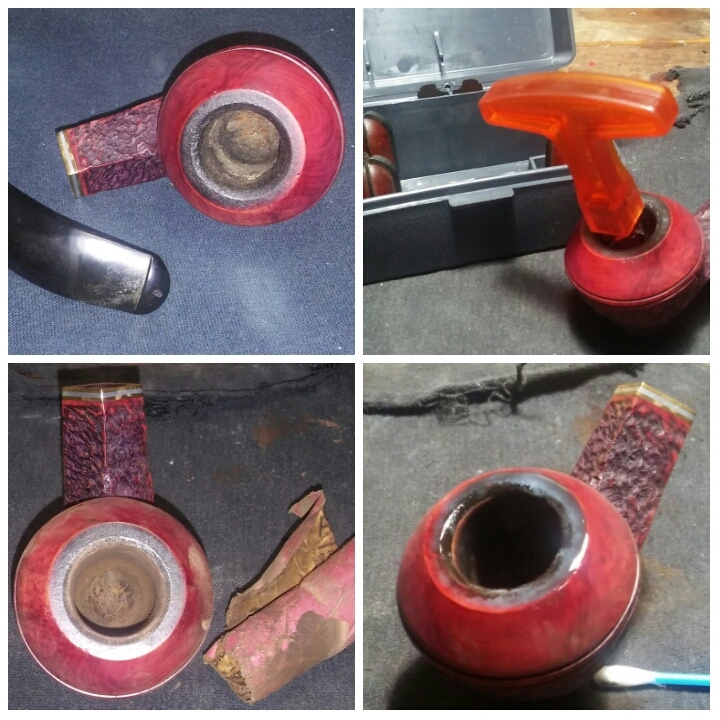 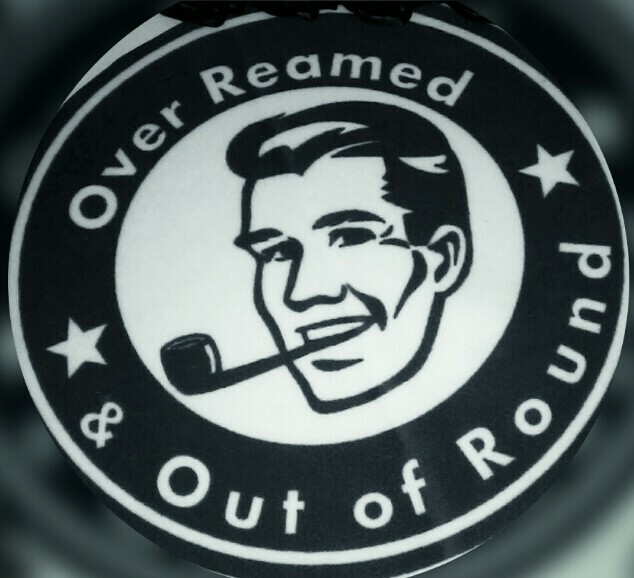 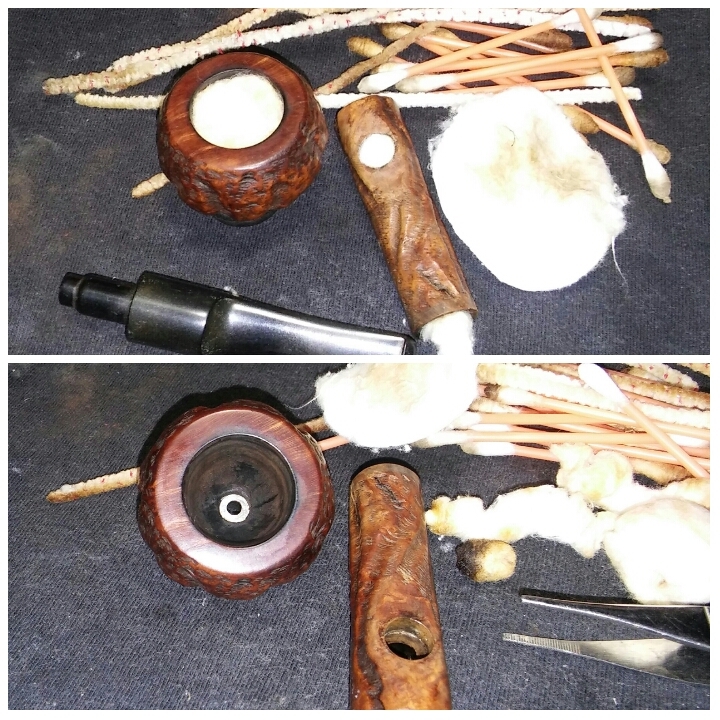 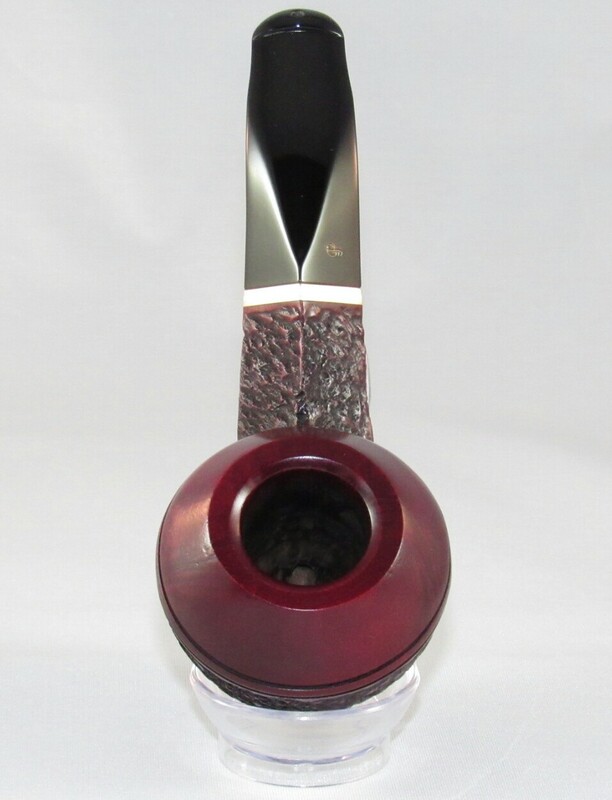 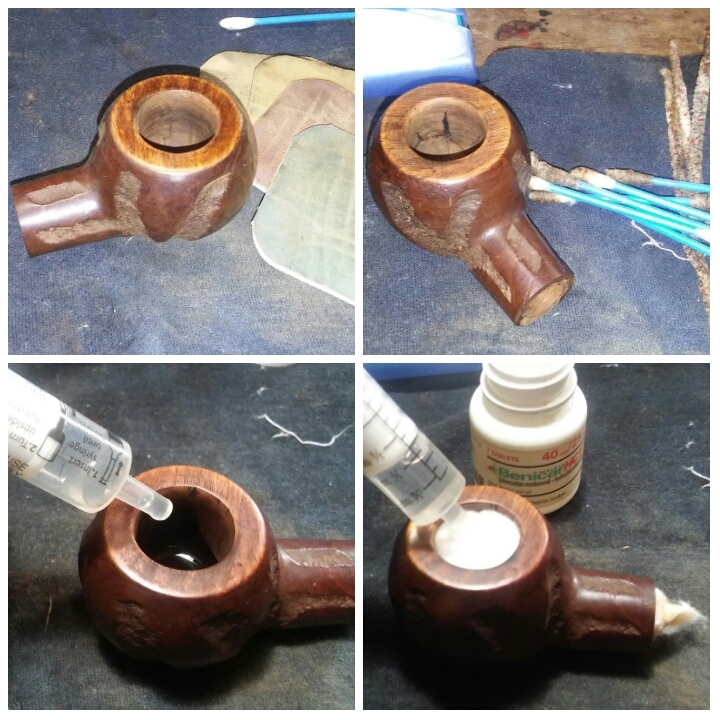 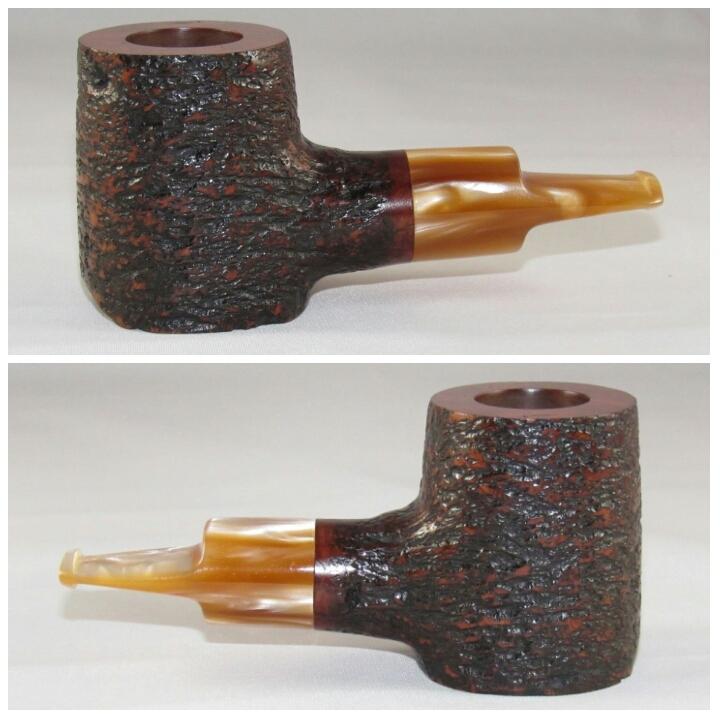 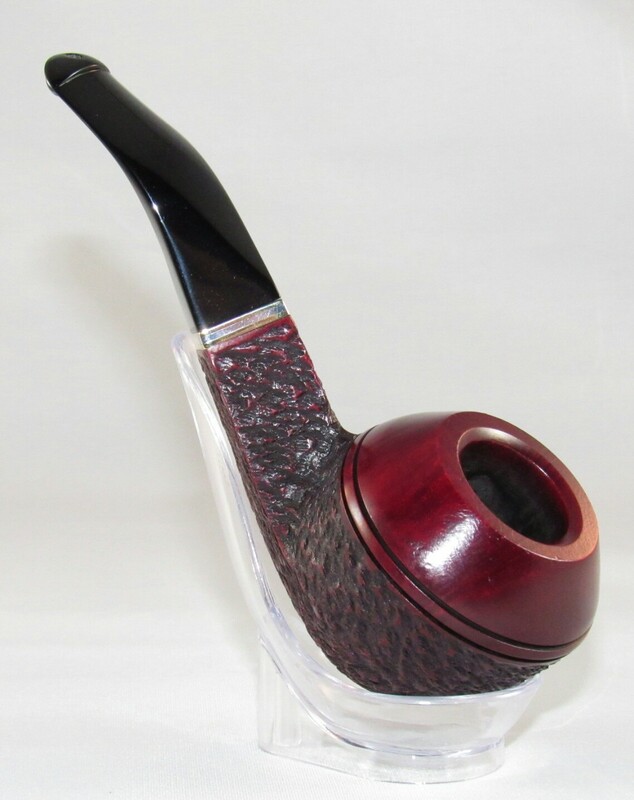 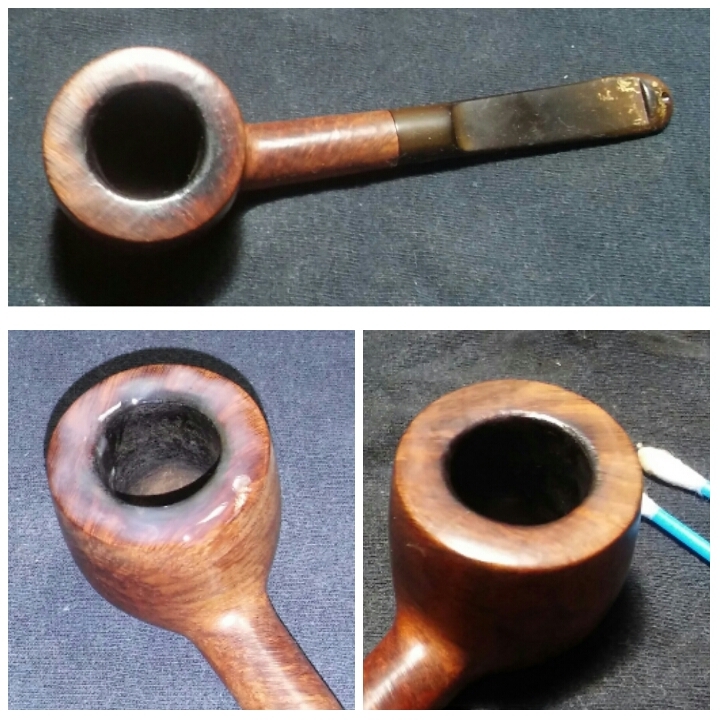 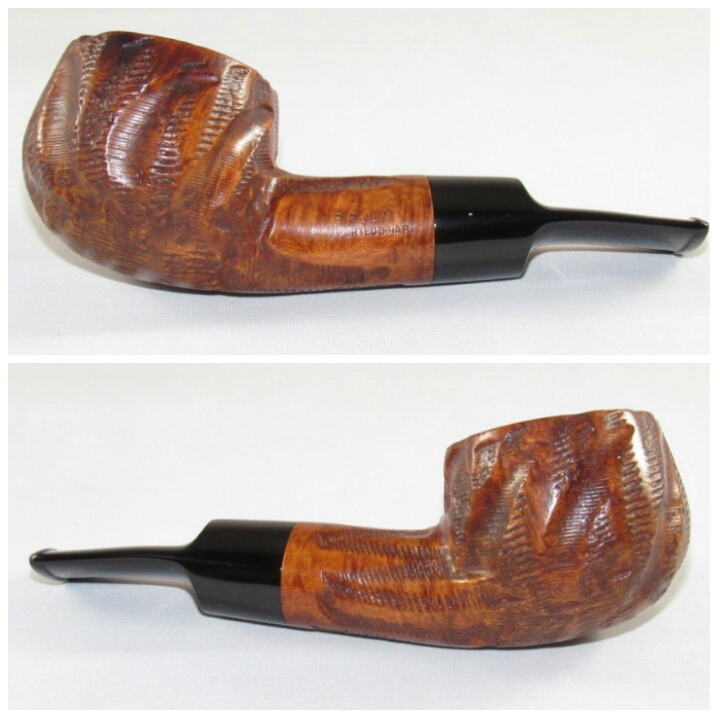 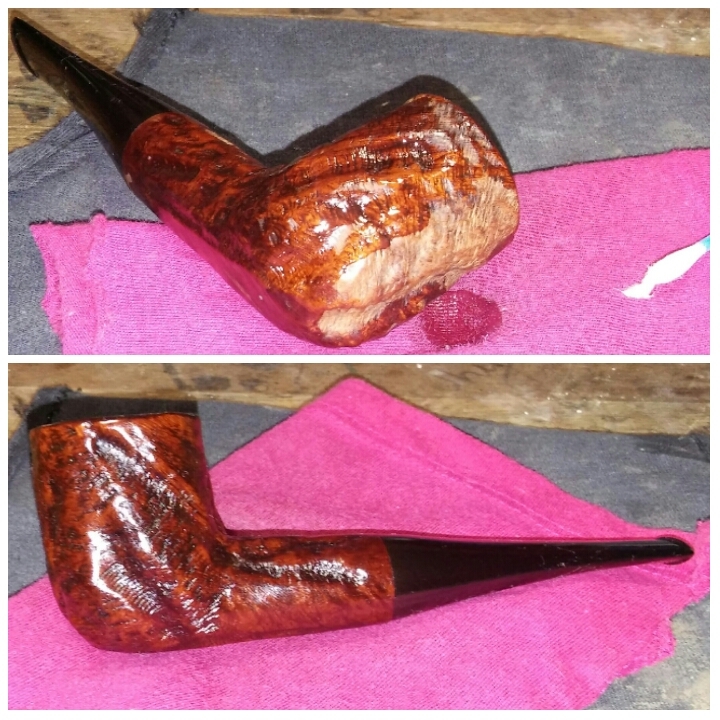 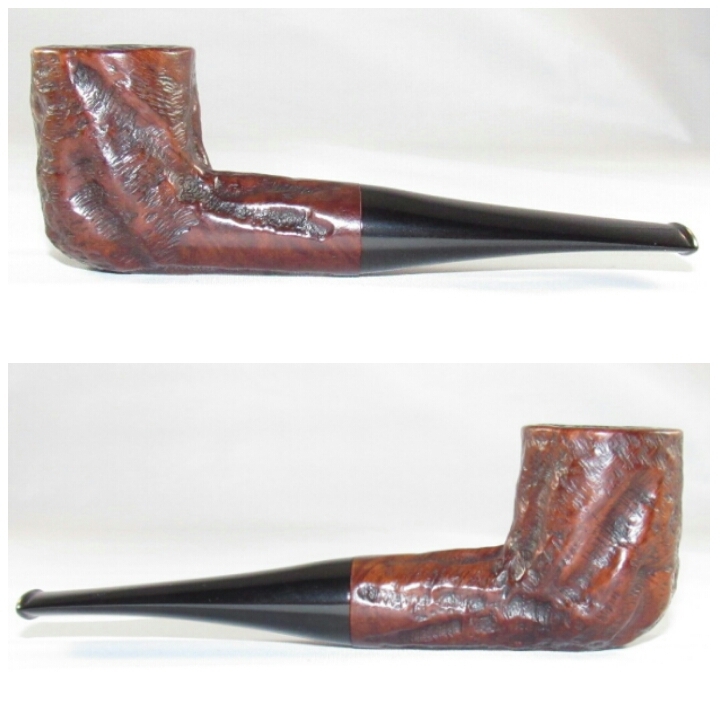 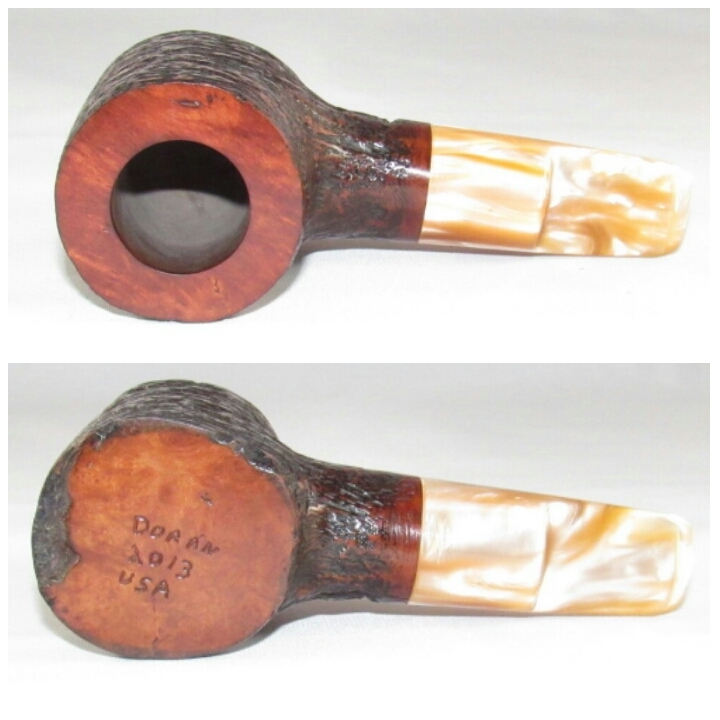 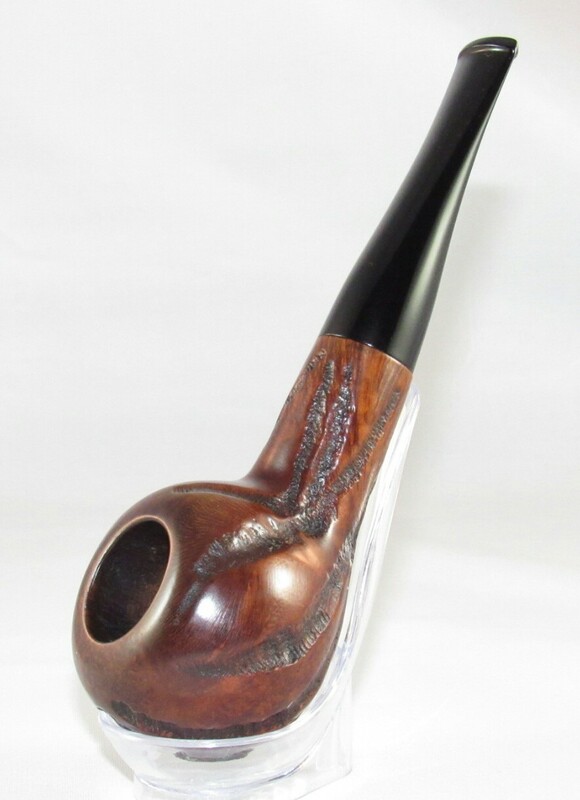 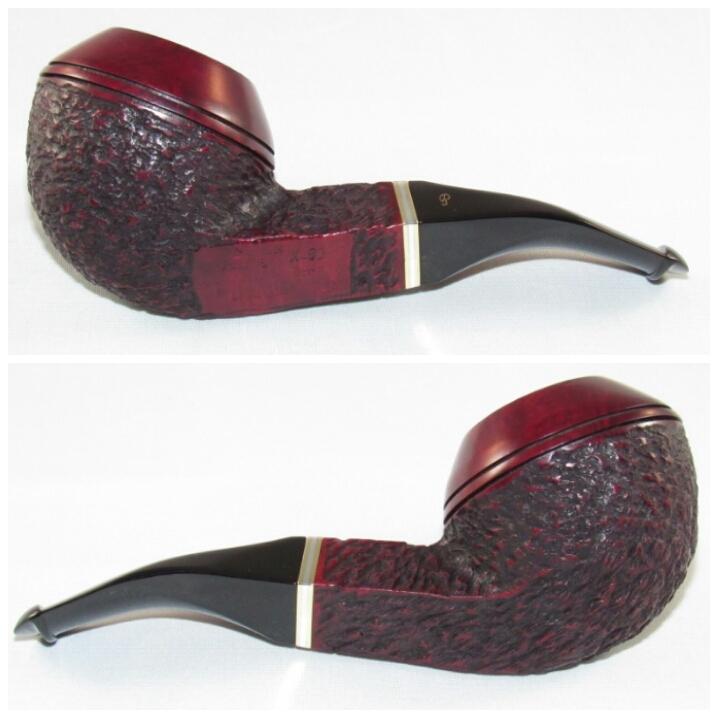 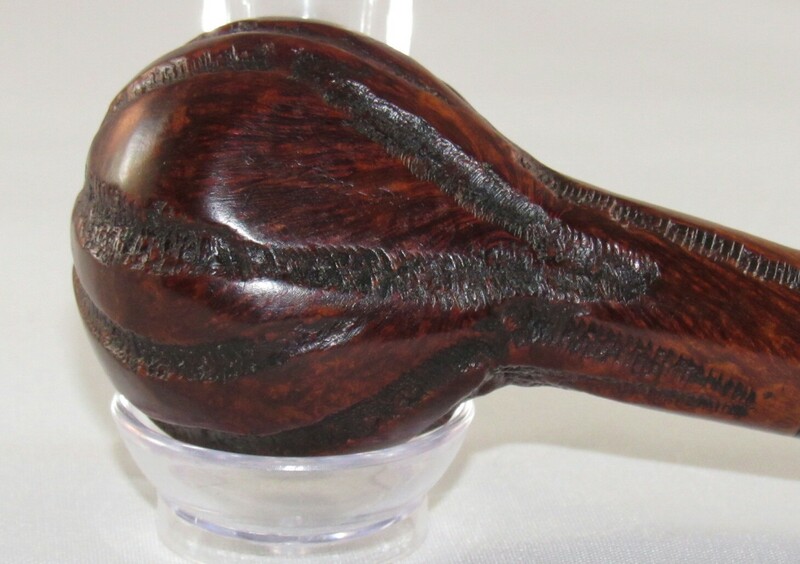 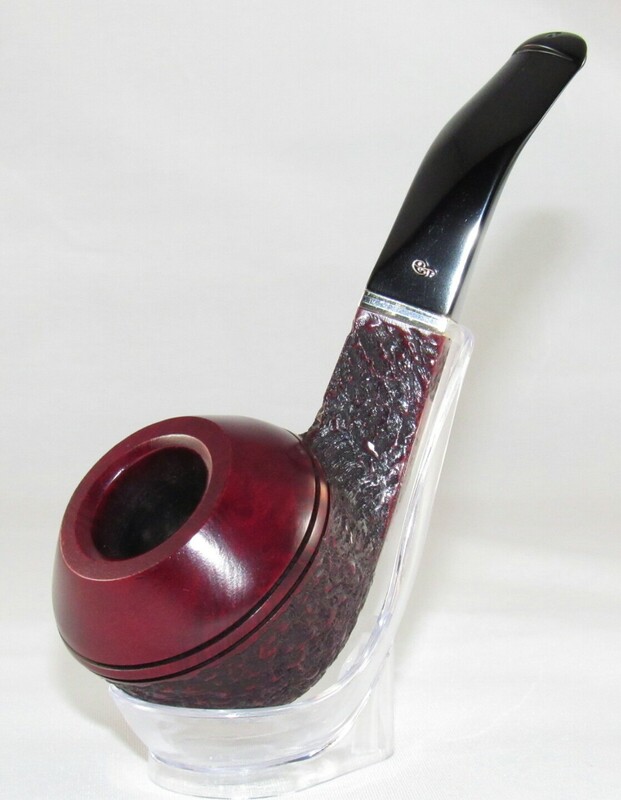 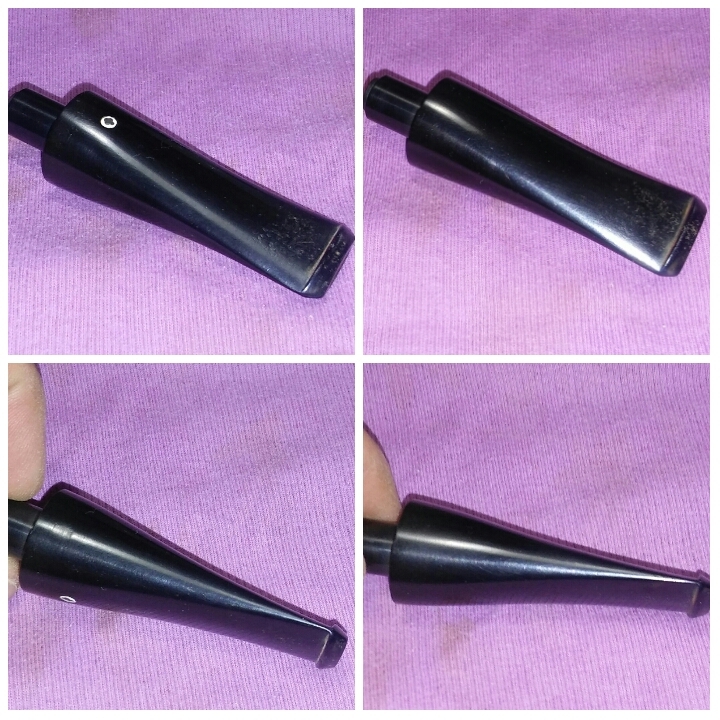 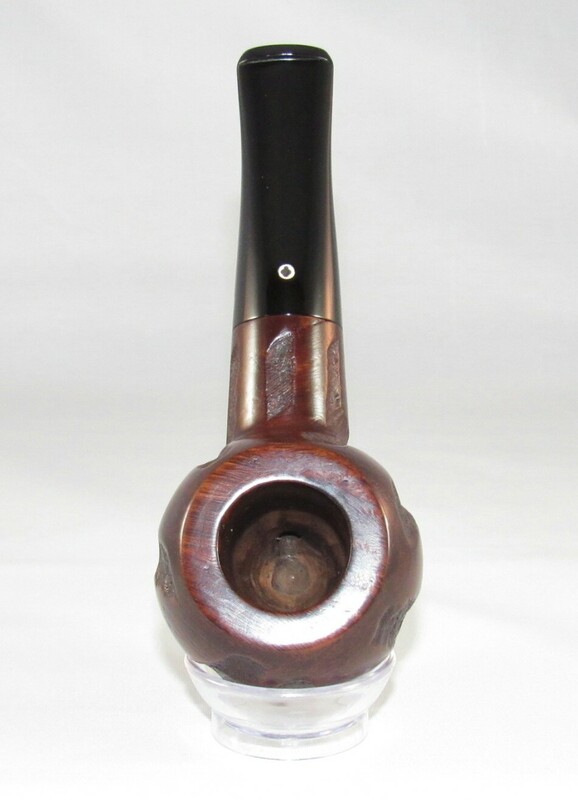 Pipnet Reamer– Smokingpipes.com I as well as many others recommend this reamer. 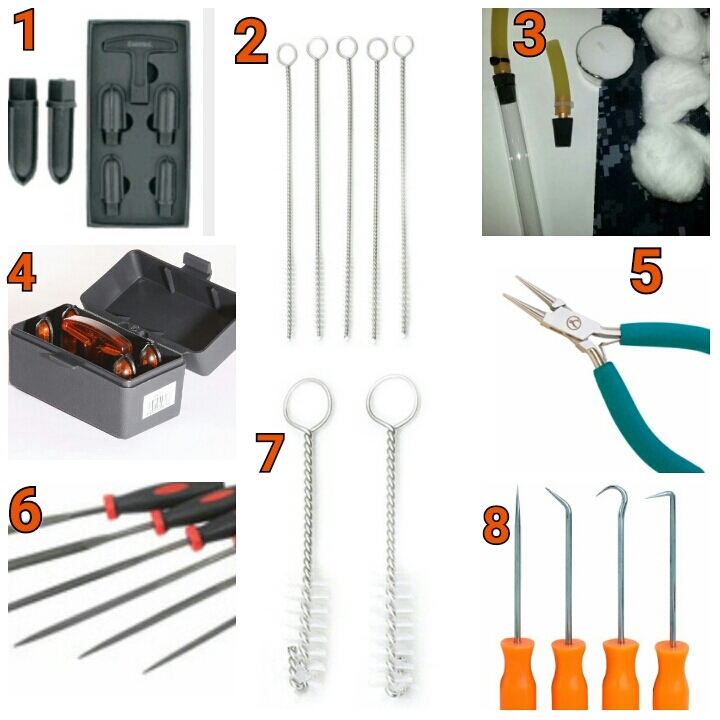 Round Tip Jewelry Pliers– Big box store. 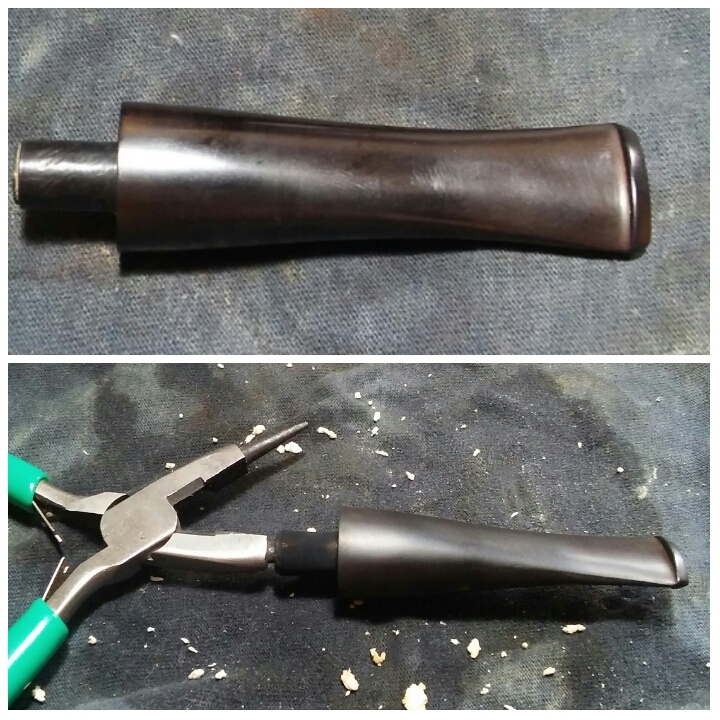 I use the round tip pliers to expand the tennon on a loose stem. 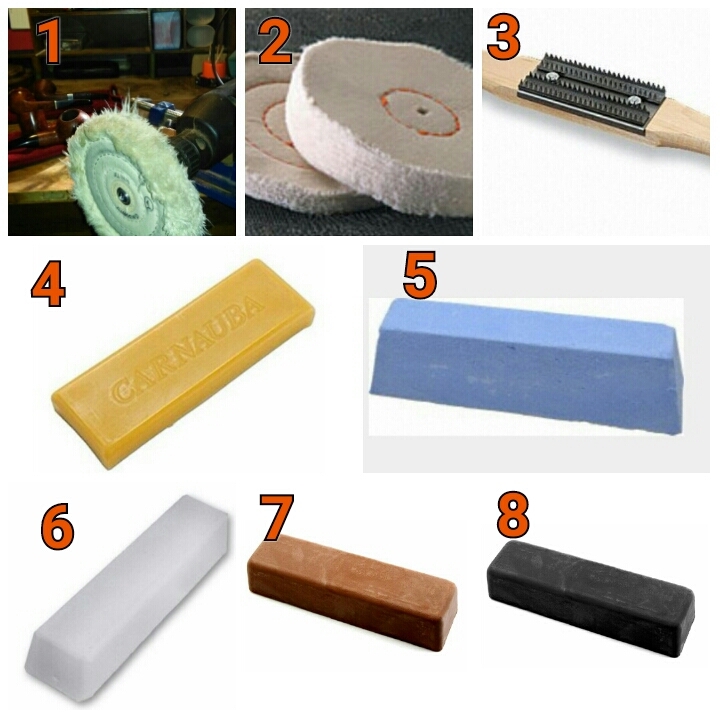 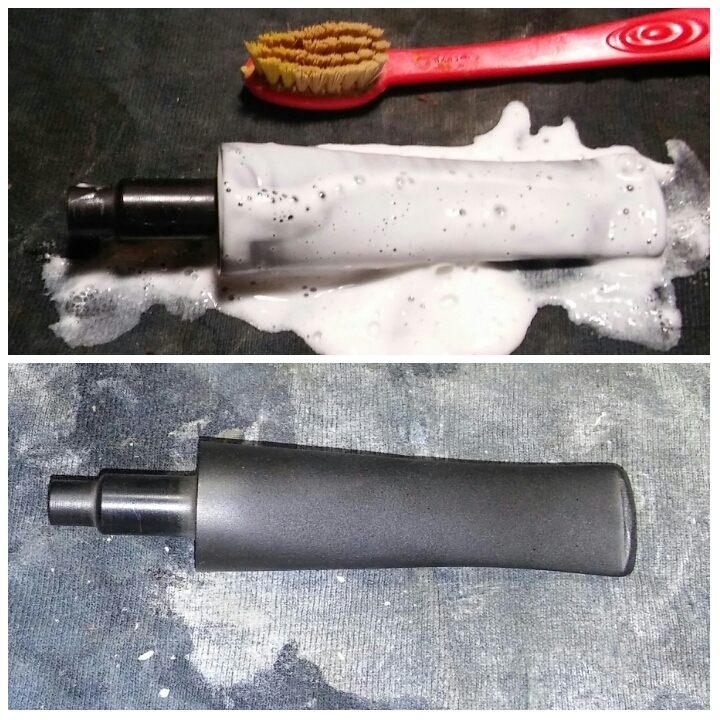 1300 RPM Hand Drill and Drill mounted buffing kit– Amazon.com . 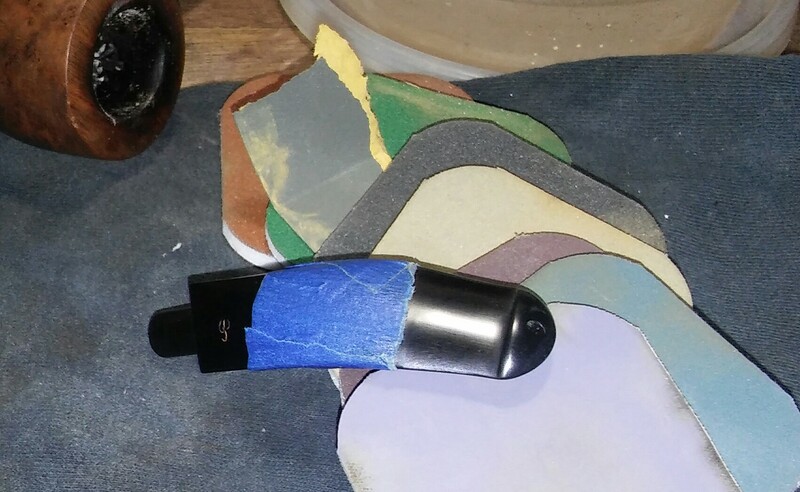 I have my drill mounted to an adjustable hobby vice also from Amazon.com I started out with this drill five years ago and up graded to a veritable speed bench buffer that has since burnt out so I’m back to old reliable. 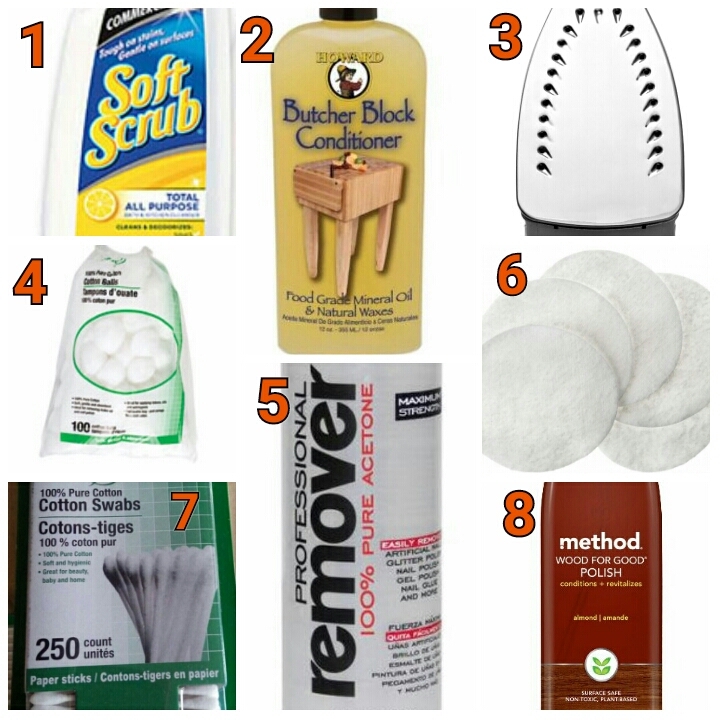 Howard’s Butcher Block Conditioner– Home Depot. 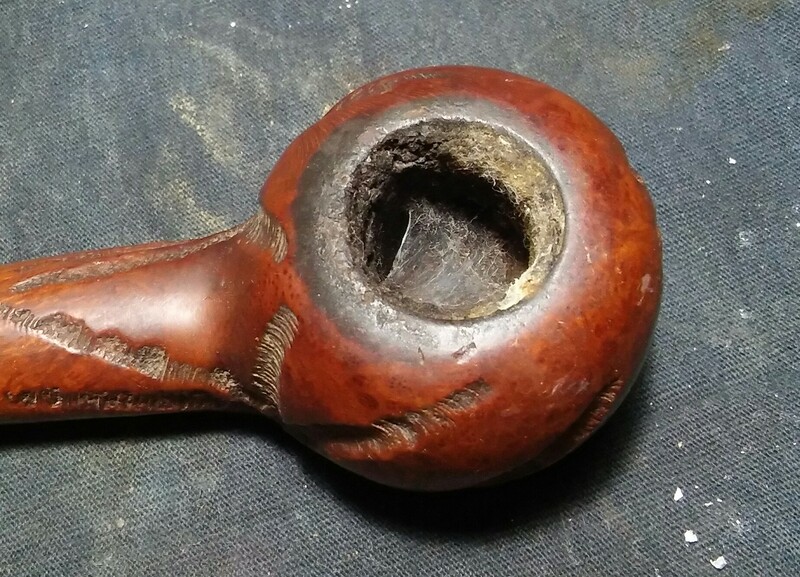 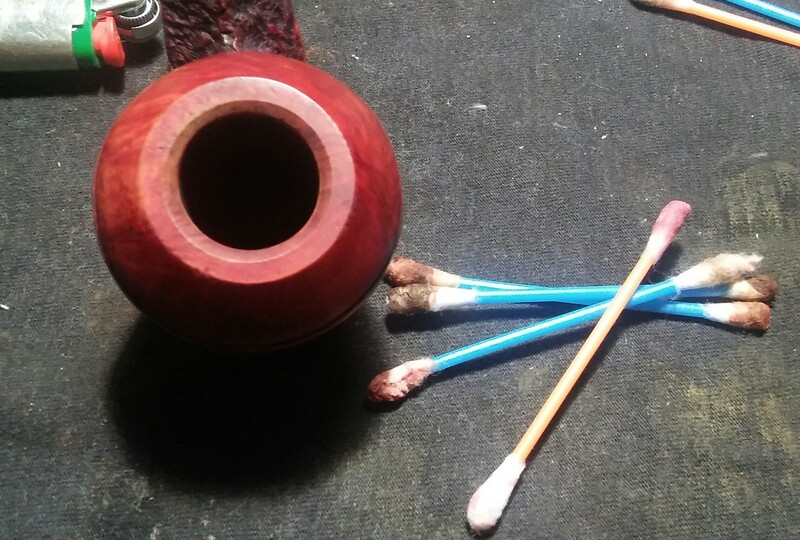 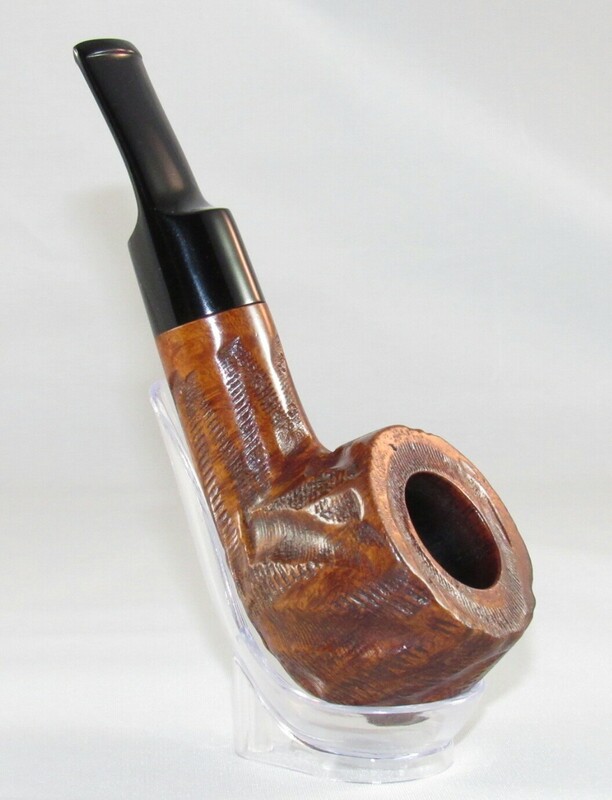 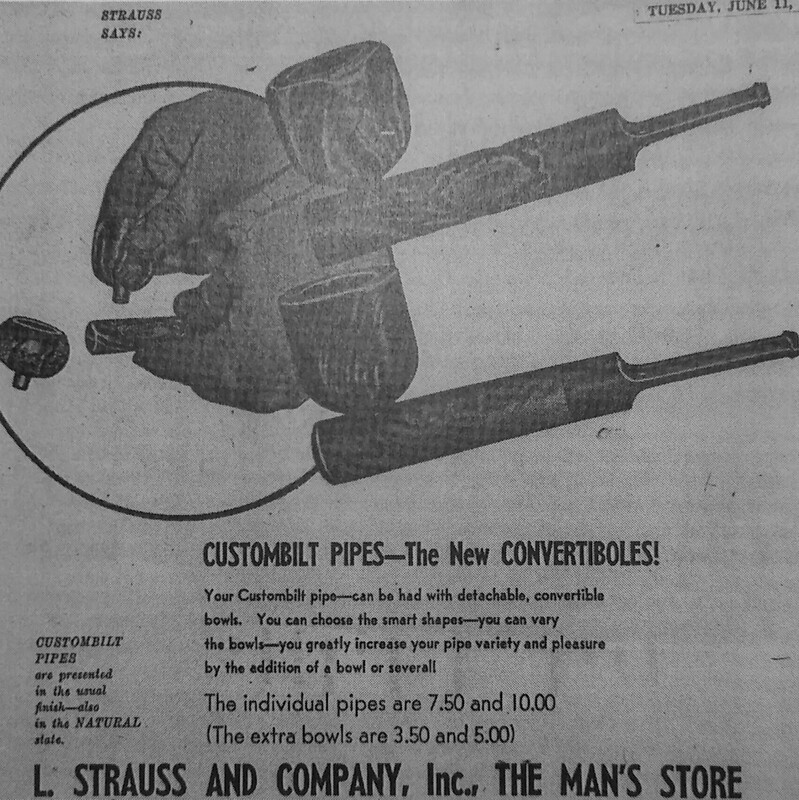 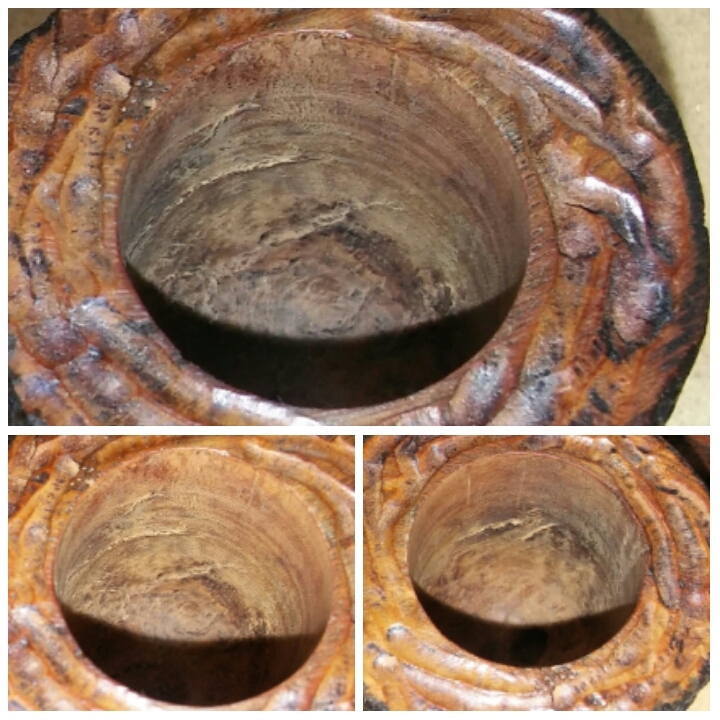 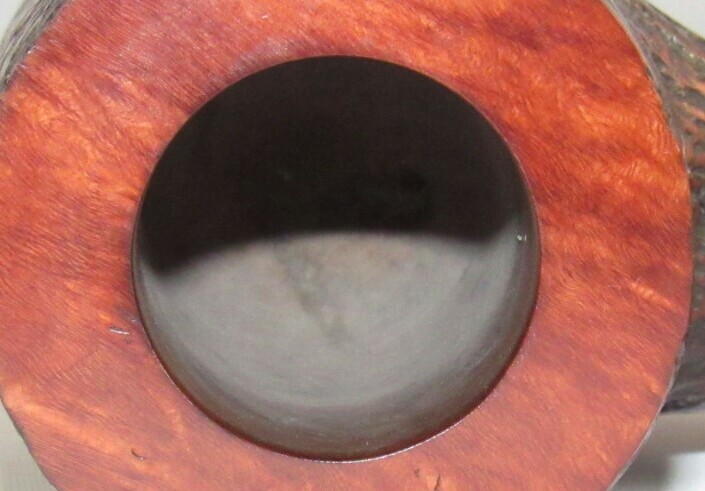 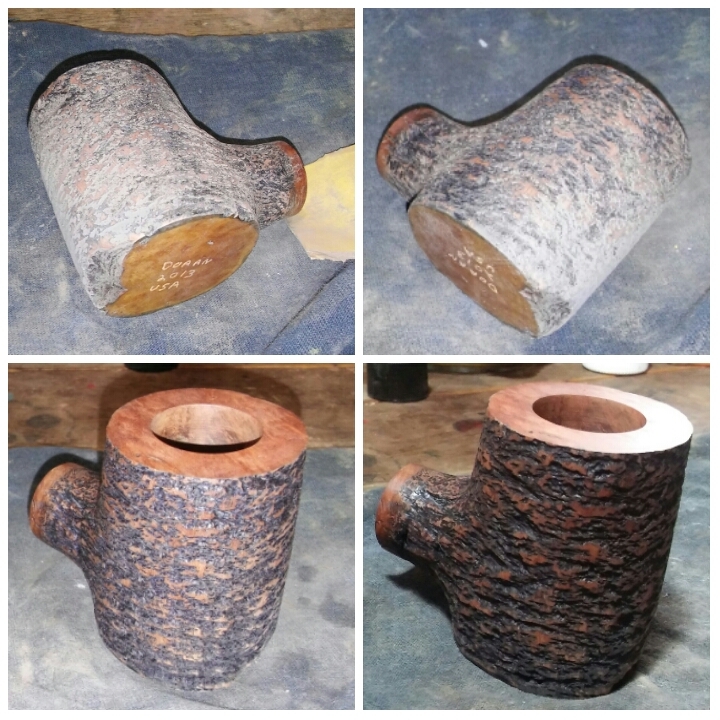 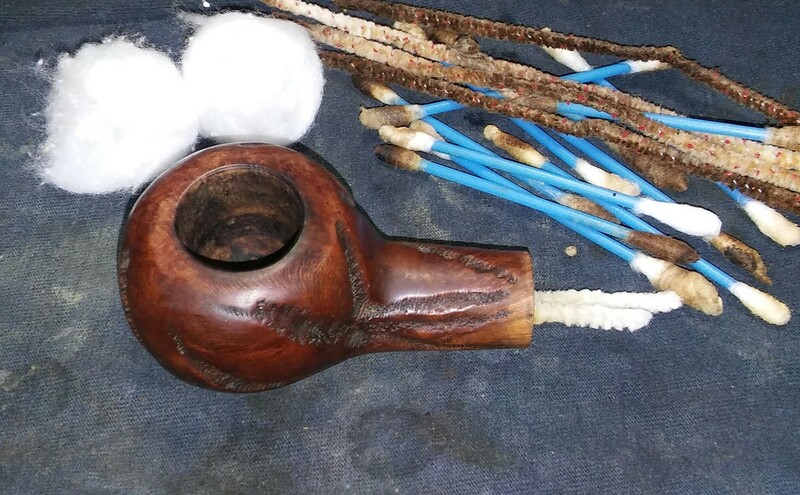 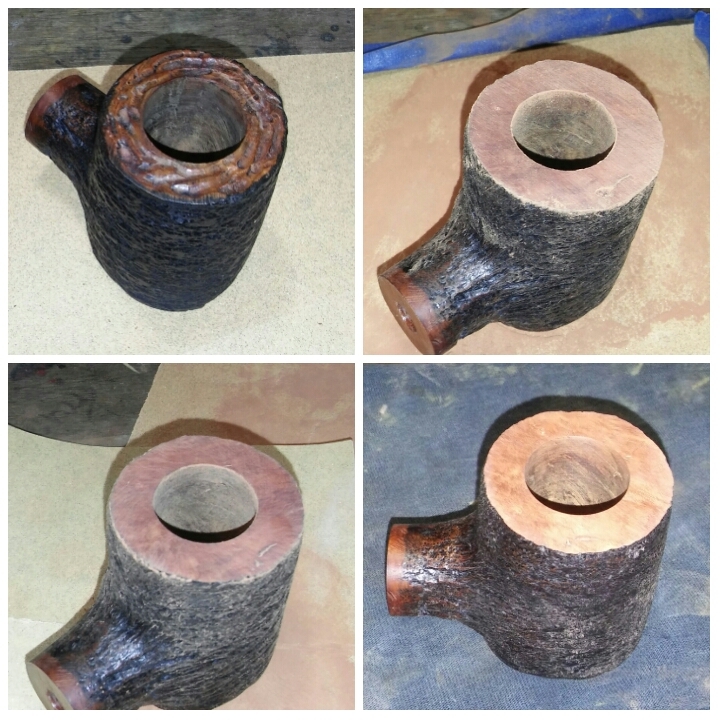 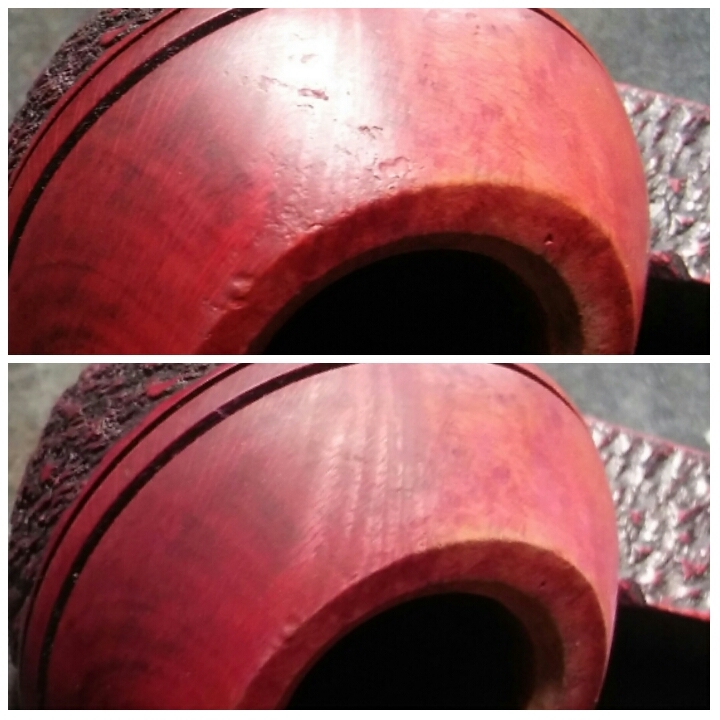 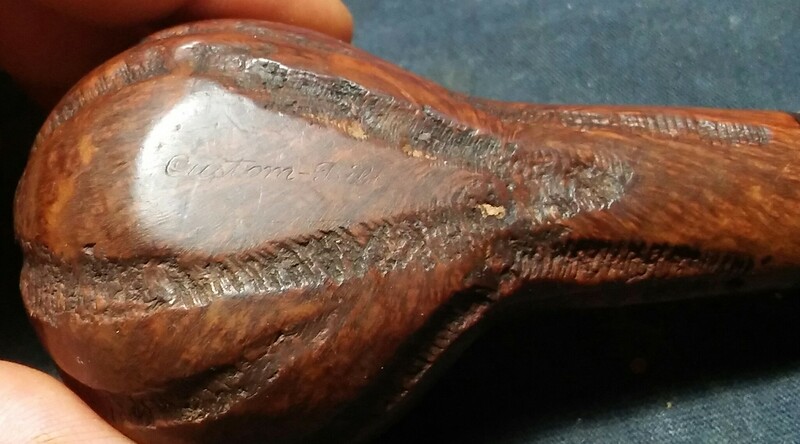 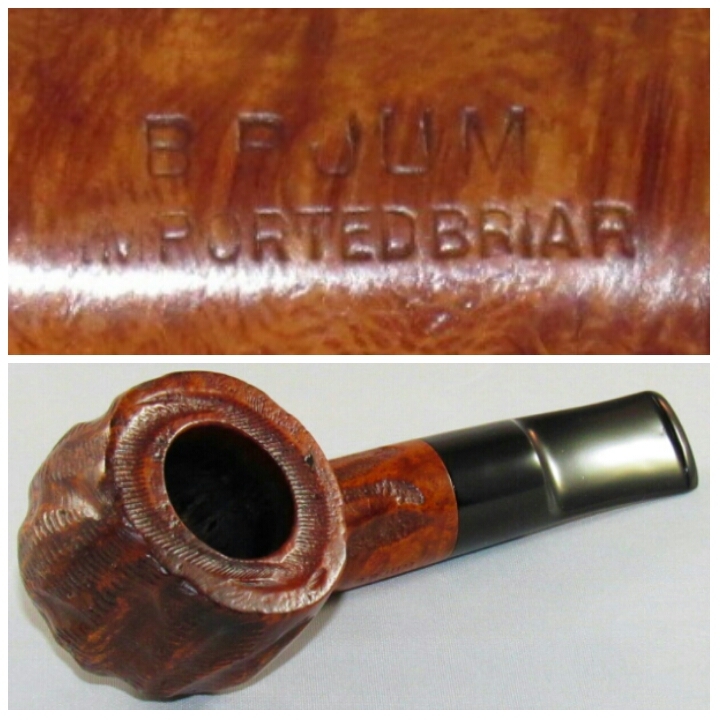 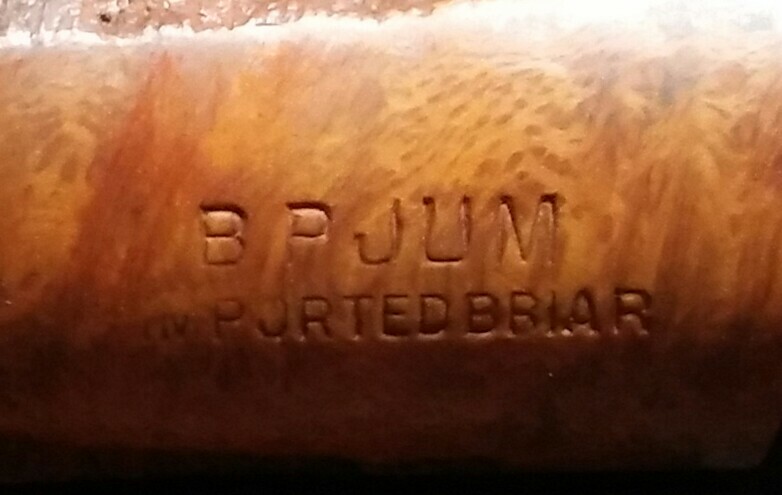 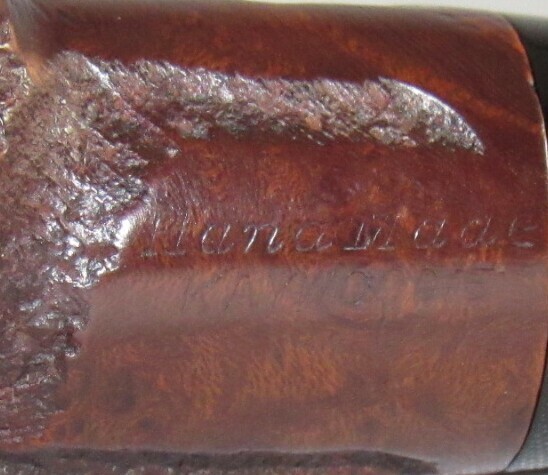 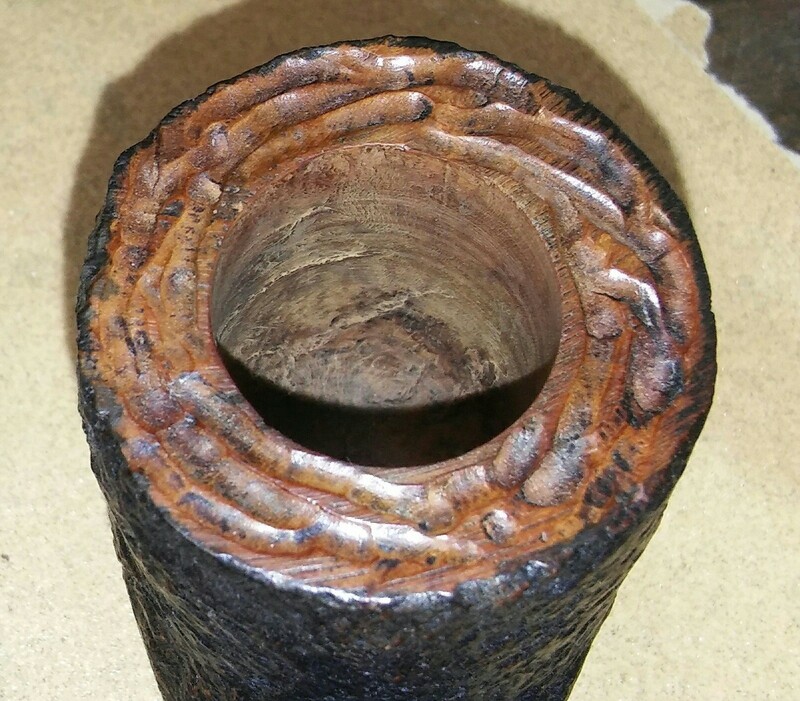 Used on natural or deeply rusticated pipes. 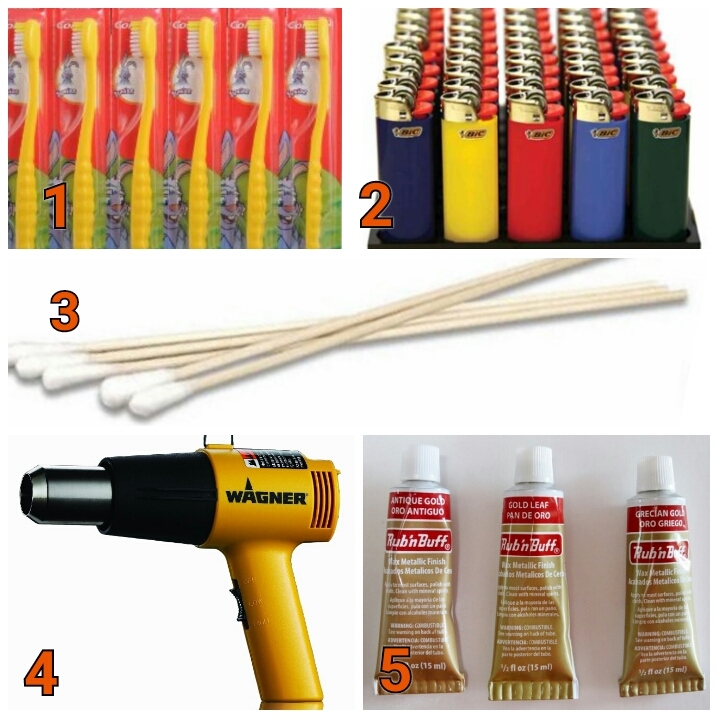 Bic Lighter– Big Box Store. 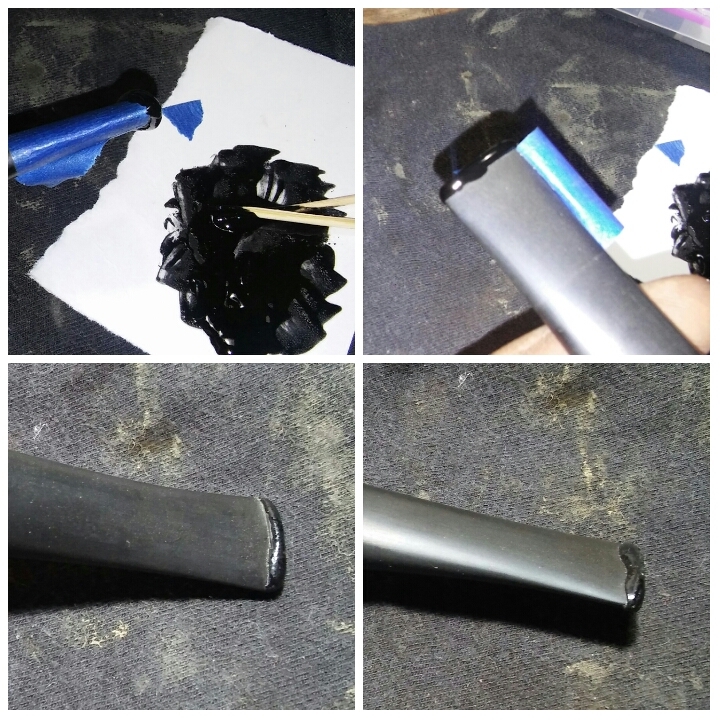 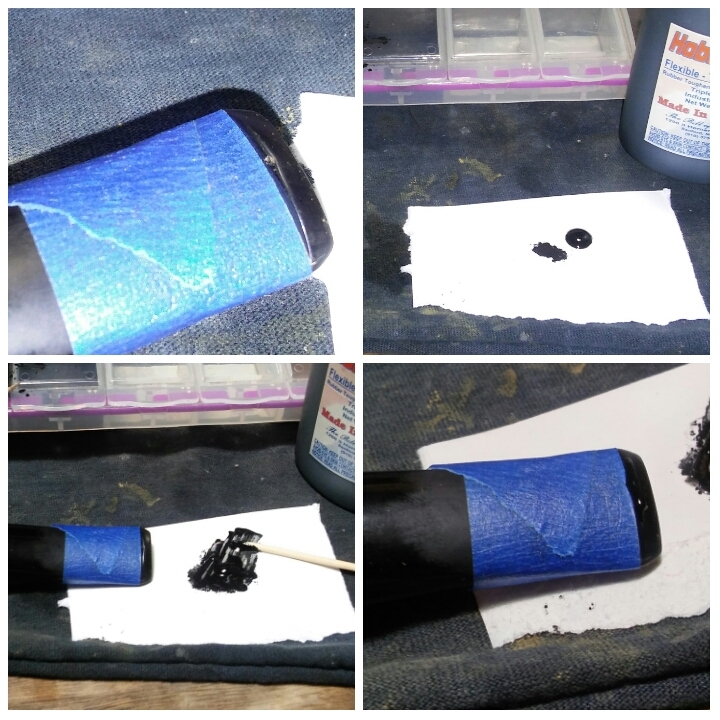 Heat Gun– Home Depot. 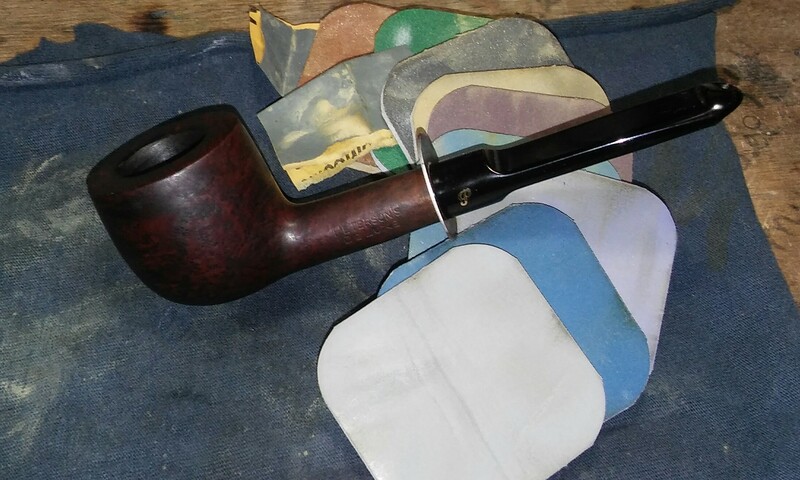 Stem bending. 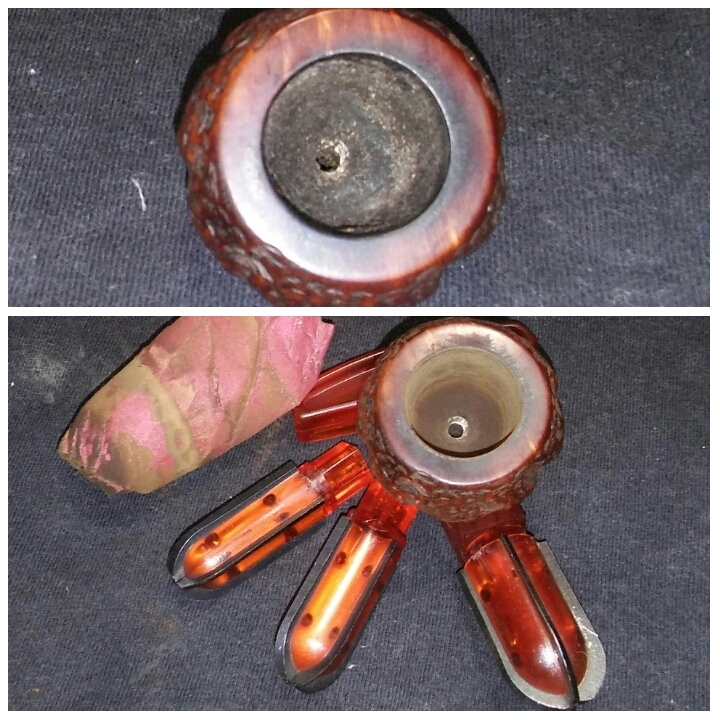 I also hold on to every spare container ,old tee-shirt and medicine dropper that I can get my hands on. 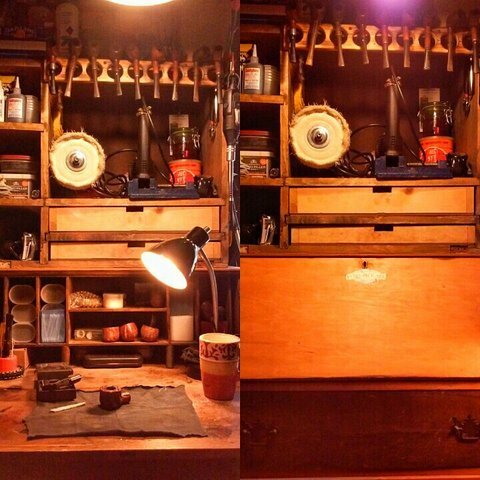 My small work area in the corner of our bedroom its changed a little since this photo was taken. 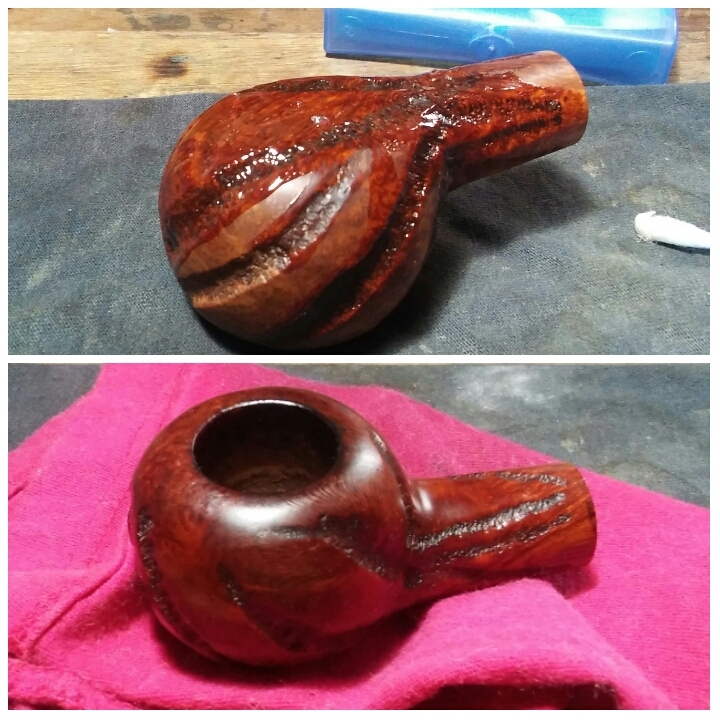 My wifes pretty cool and supportive of my hobby.